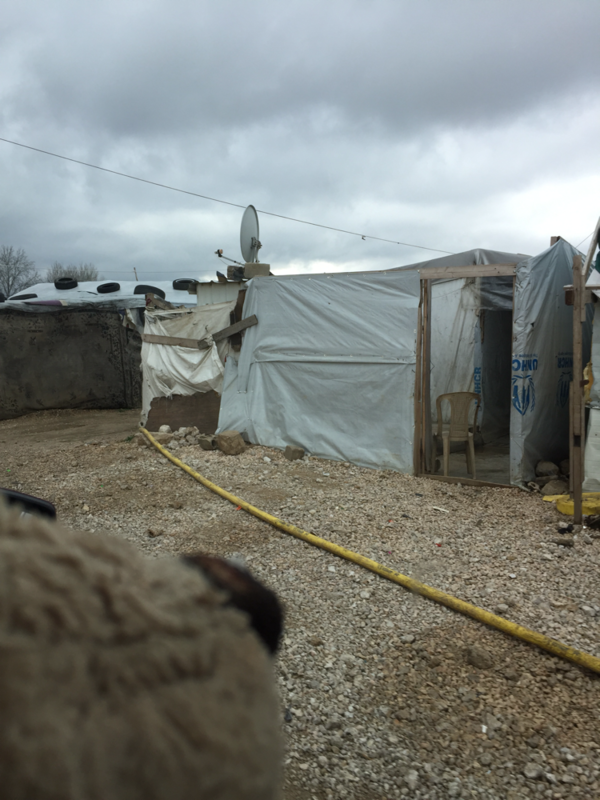 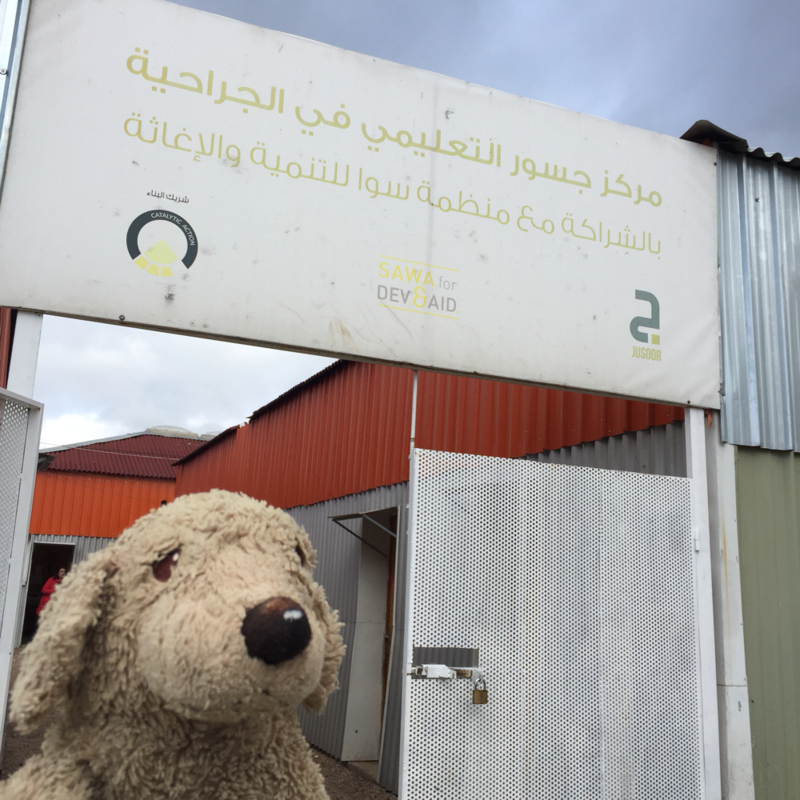 AKKAR BEKAA MARCH 2019 - lobilats Webseite! 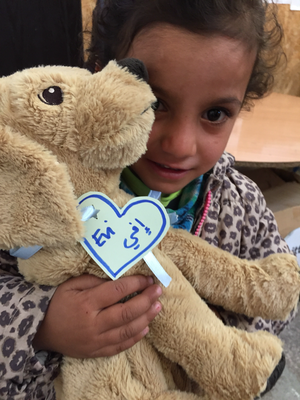 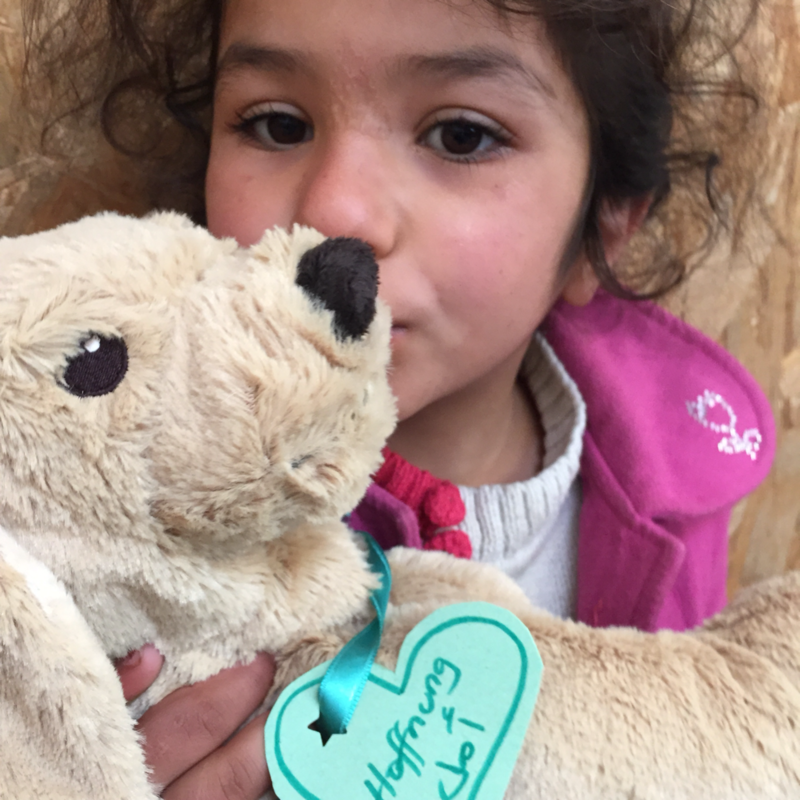 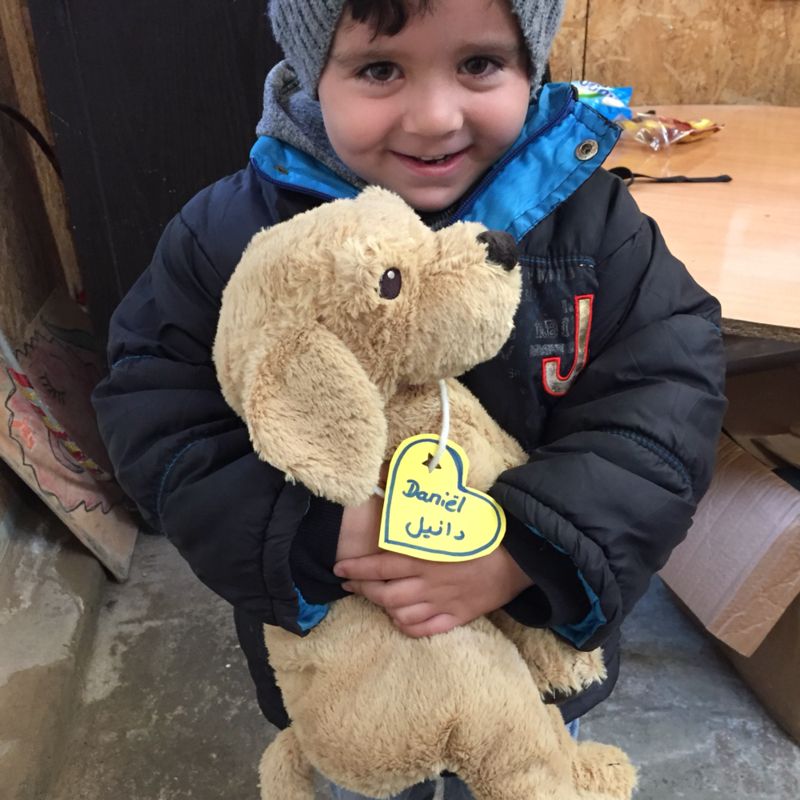 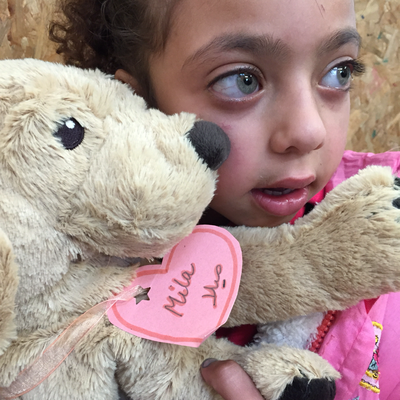 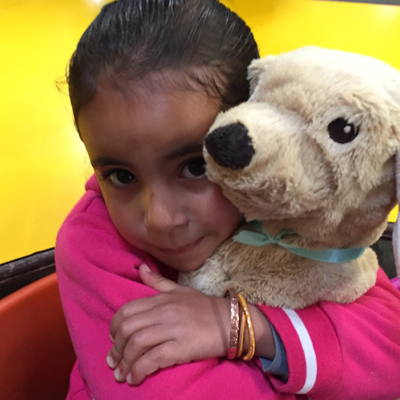 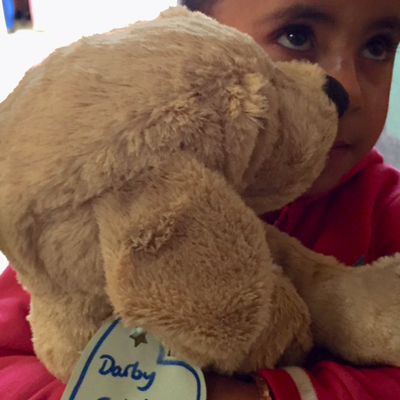 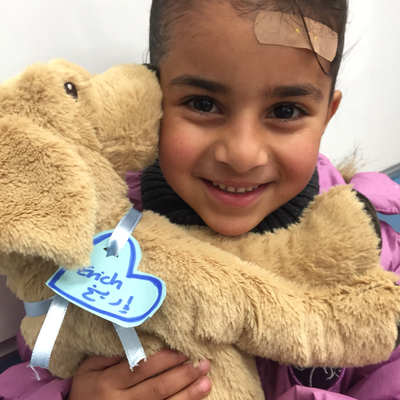 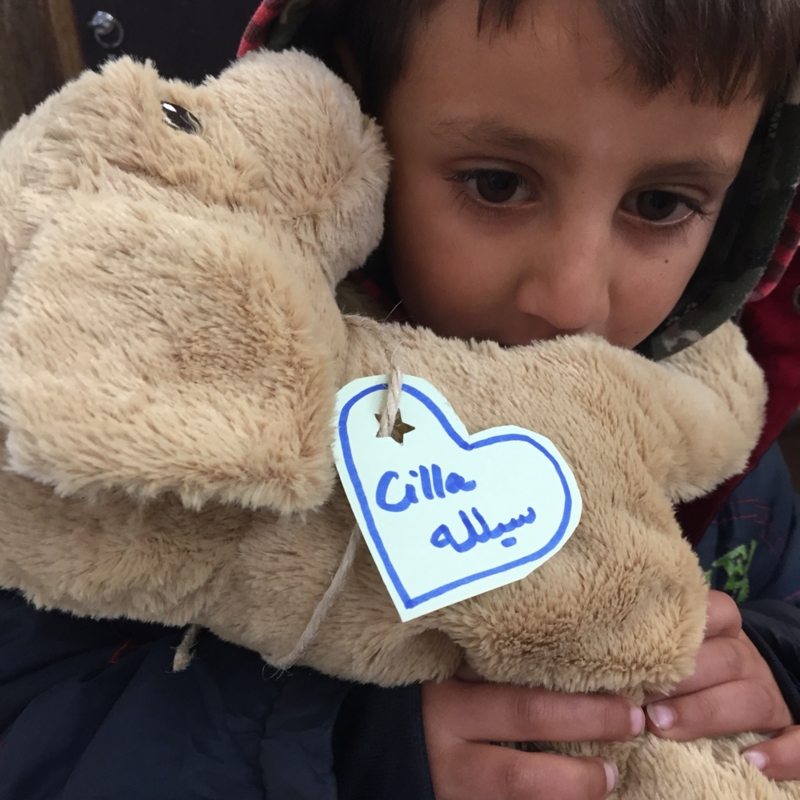 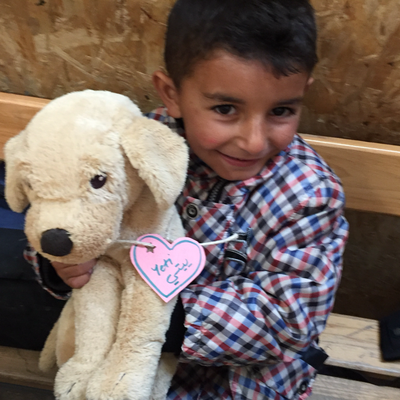 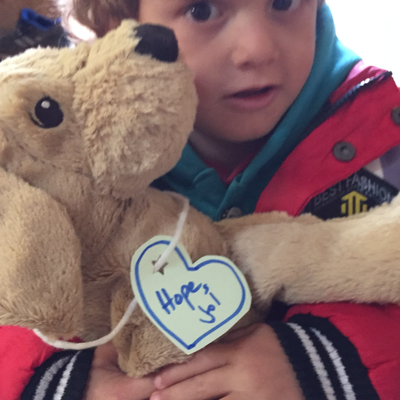 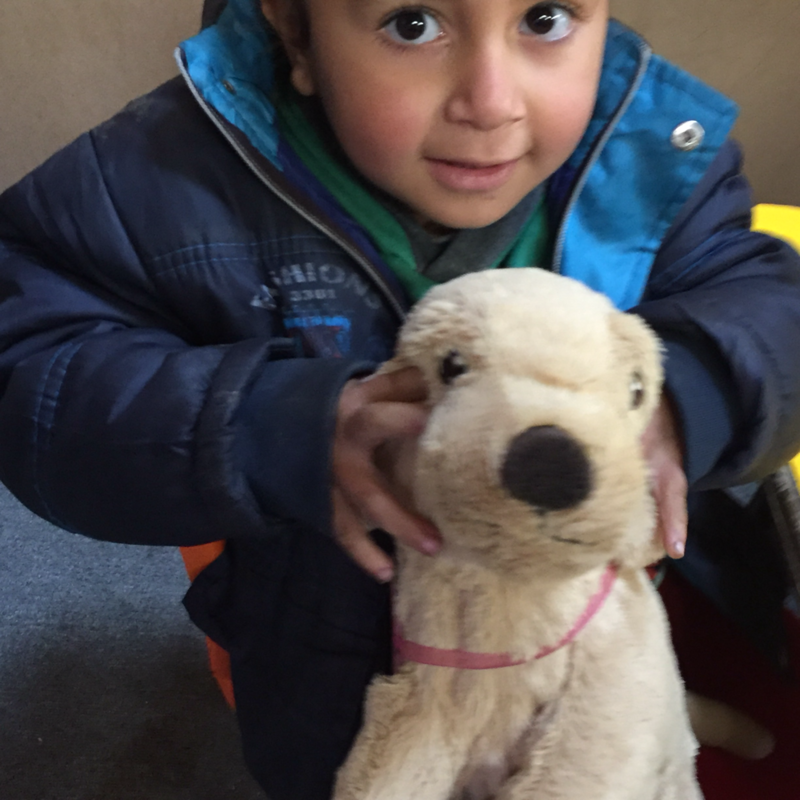 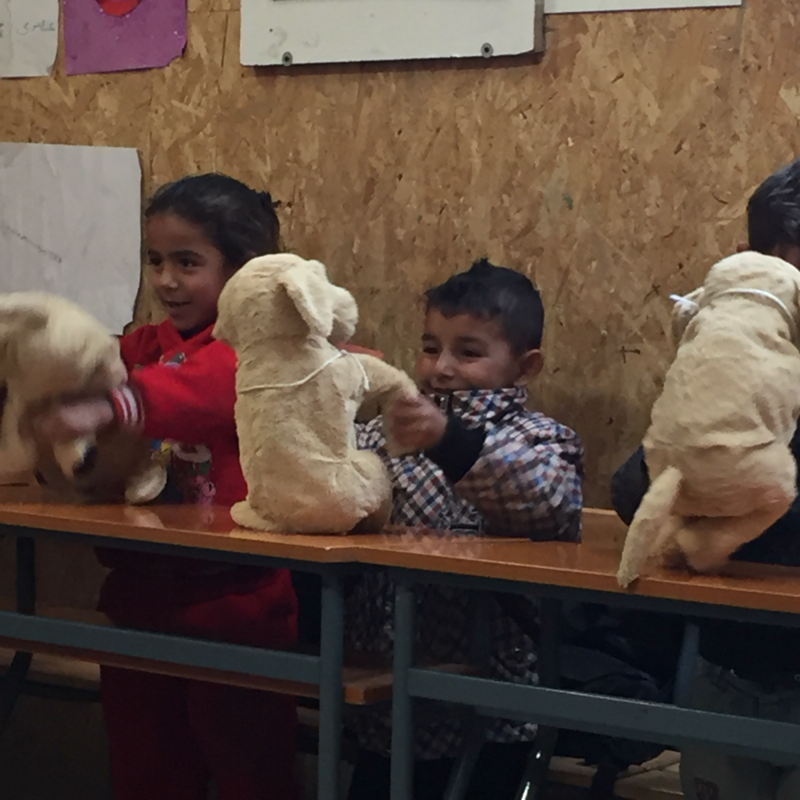 Here are some of the donated fluffy friends in Berlin, before our flight to Beirut. 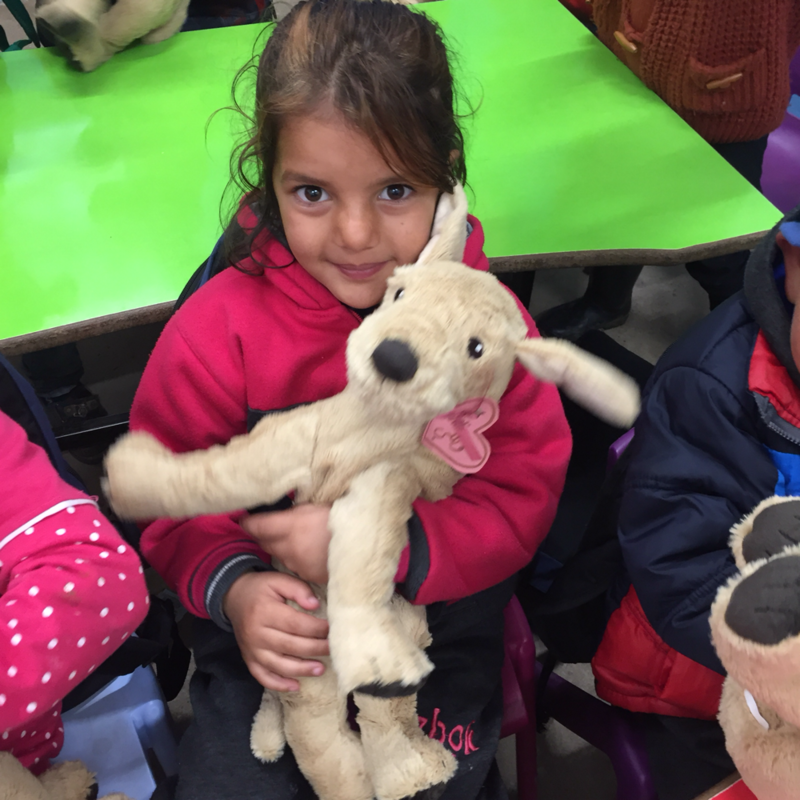 I arrived on Saturday evening.... On Sunday I had a delicious breakfast in Beirut with Miss Stanhope and her friends. 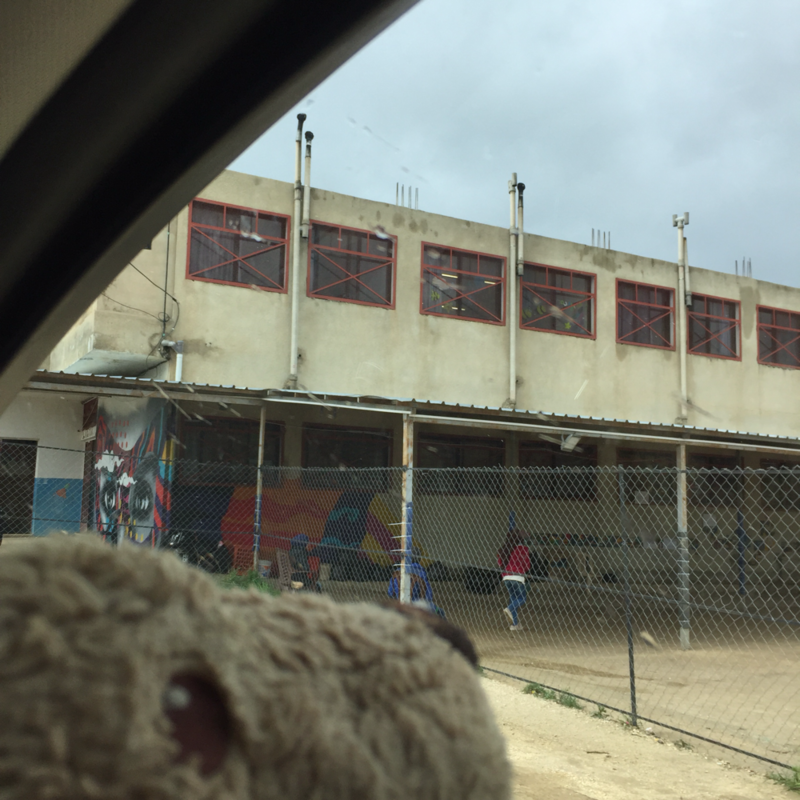 Then we went on short hike near Tripoli, before we had a look at the old Hamam in Tripoli. We drove further up to Malaak NGO, where we did a week of art activities with the Syrian refugee children. Miss Stanhope also met Italian doctors, who provided medicine and treatment for free. 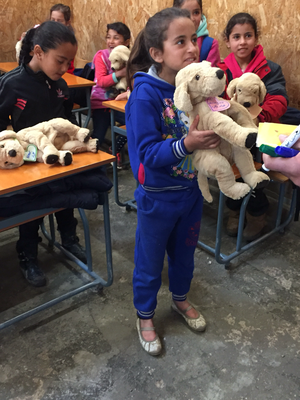 Miss Stanhope also tried to help by translating during the consultations. 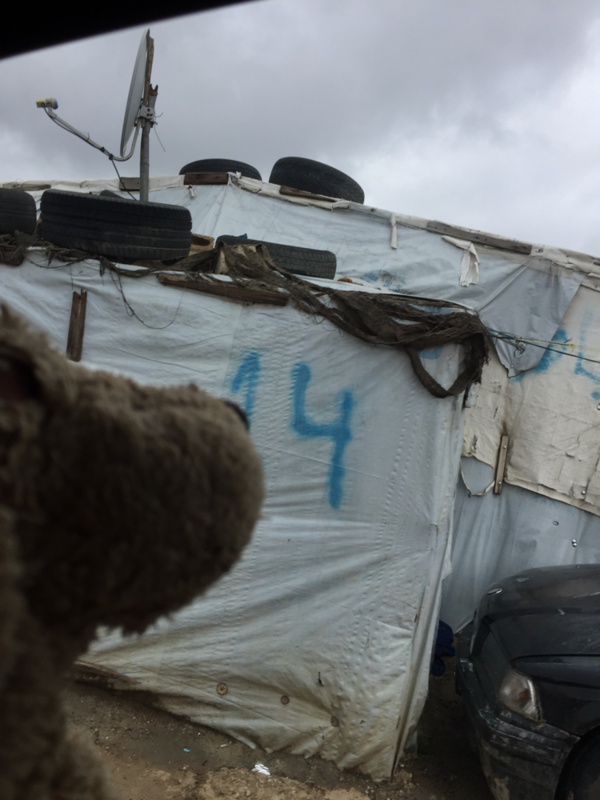 That is why we went into some refugee tents too. 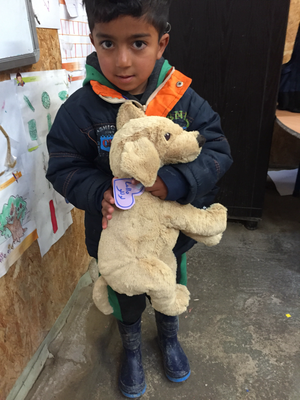 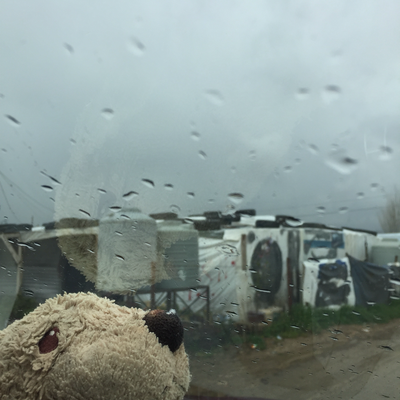 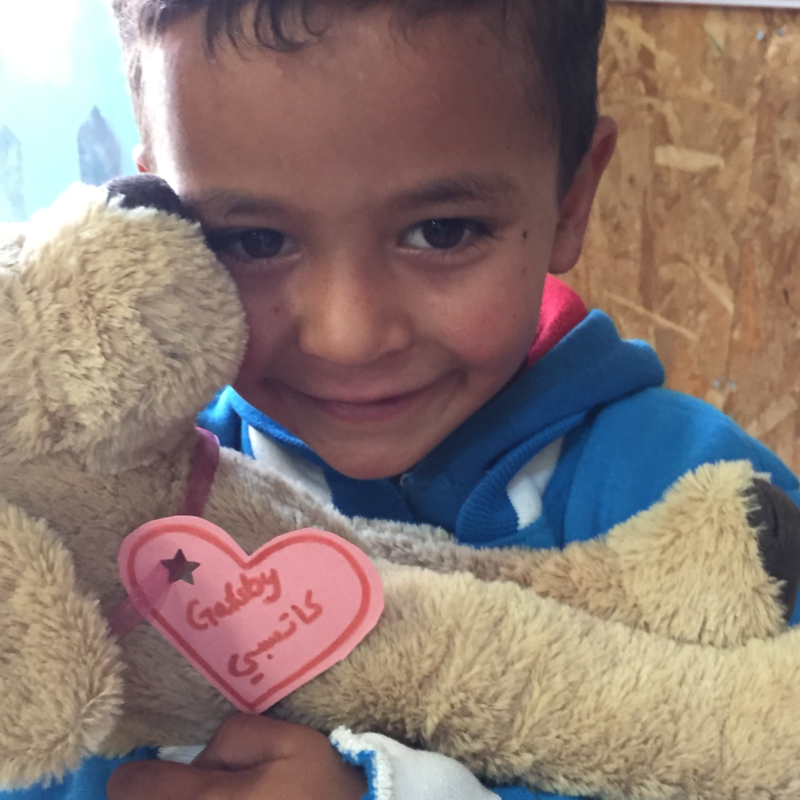 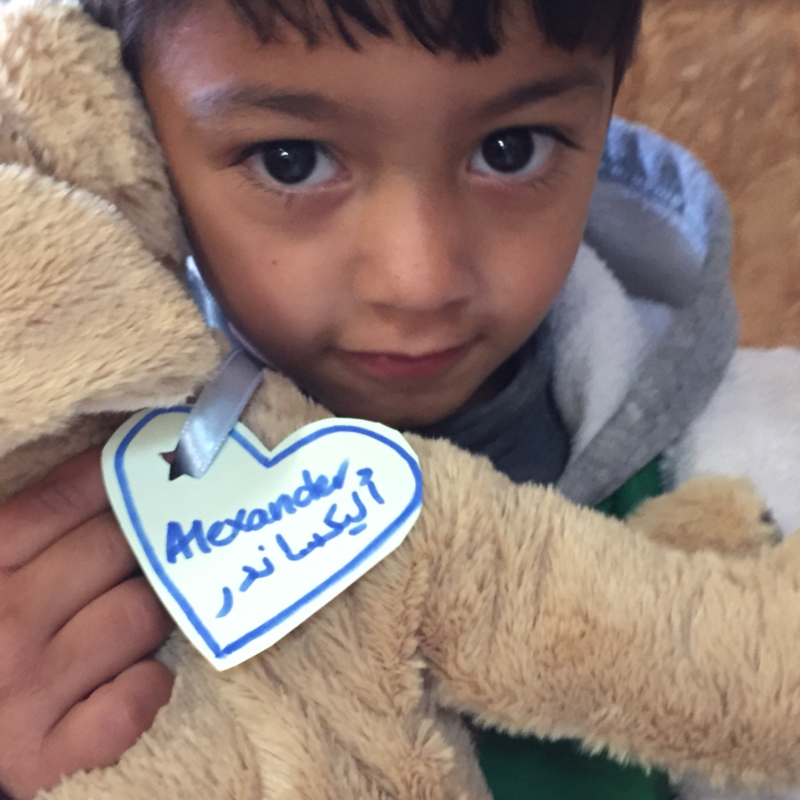 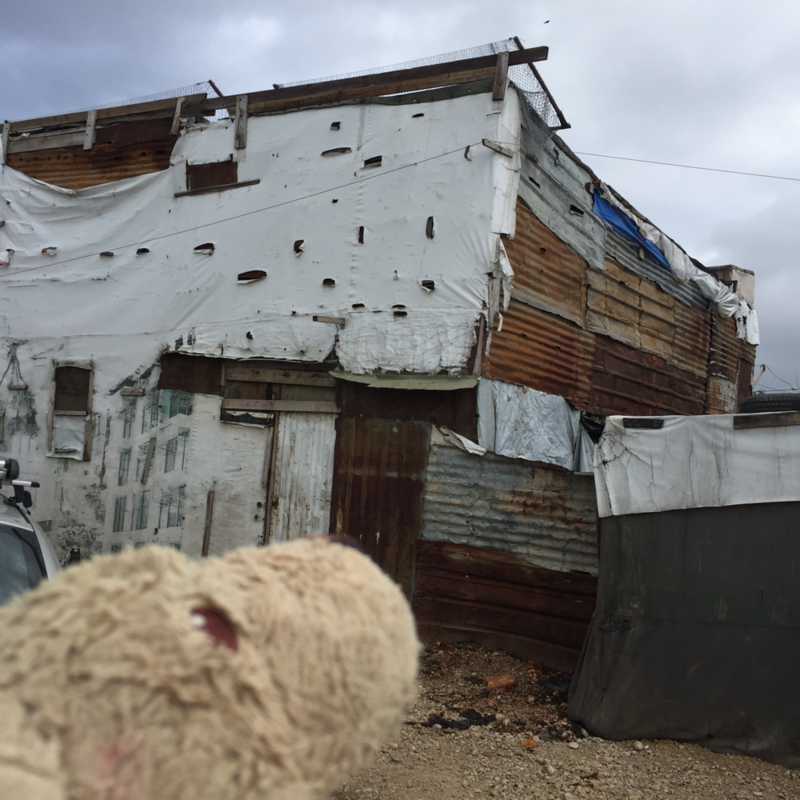 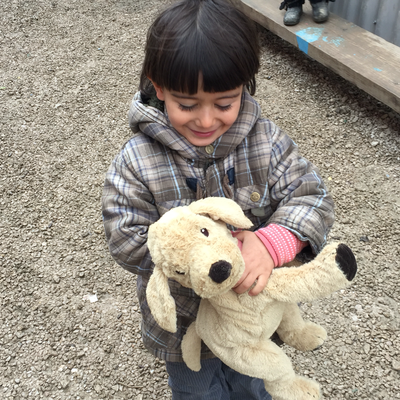 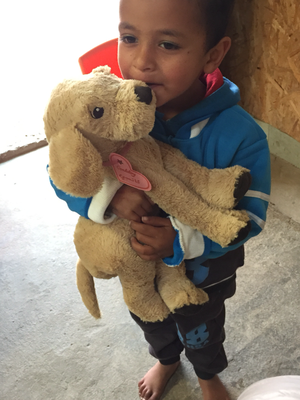 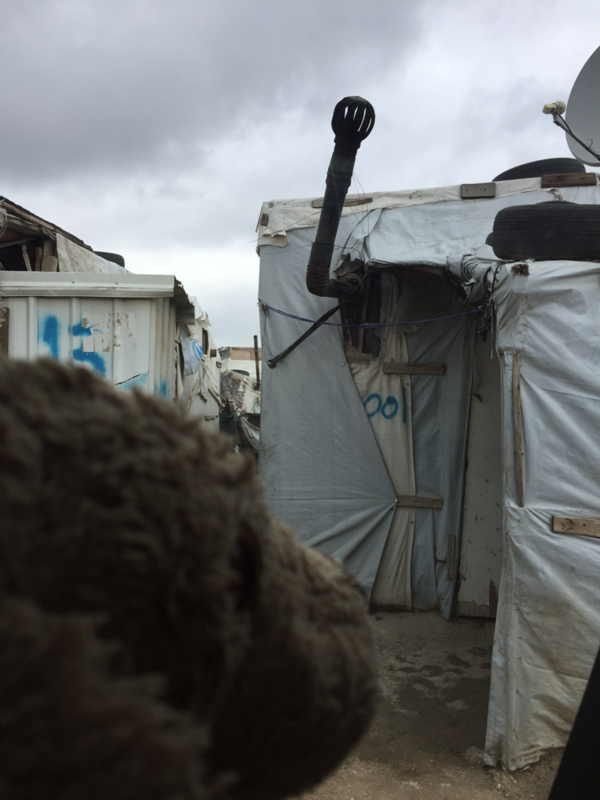 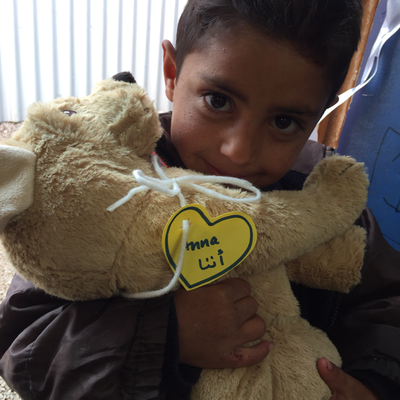 Life is extremely harsh for everyone living in those refugee camps. Lacking medicine and heating during these rainy cold season... really awful. Here some photos of the LOBILAT ART PROJECT activities. 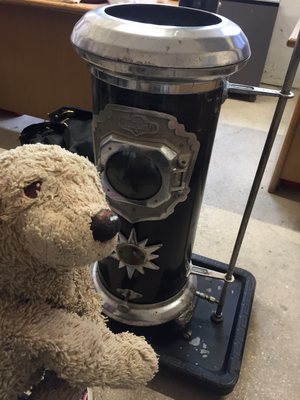 If you want to know more about the LOBILAT ART PROJECT, then click here. 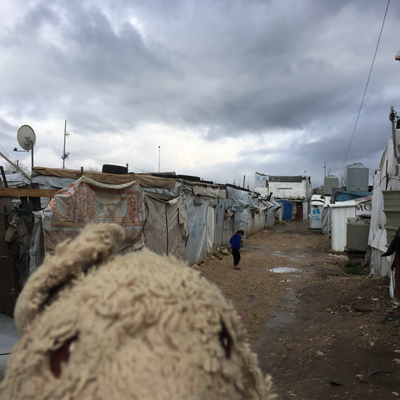 If you want to buy an original print, which also finances further art activities, please click here. 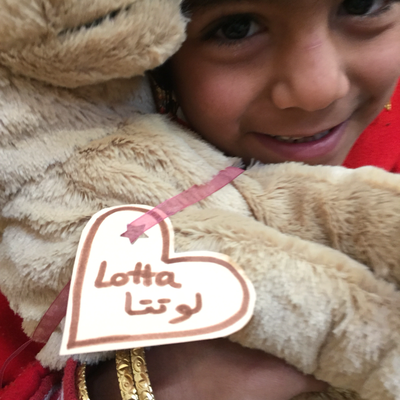 If you want to have a look at the latest LOBILAT ART PROJECT exhibition, click here. 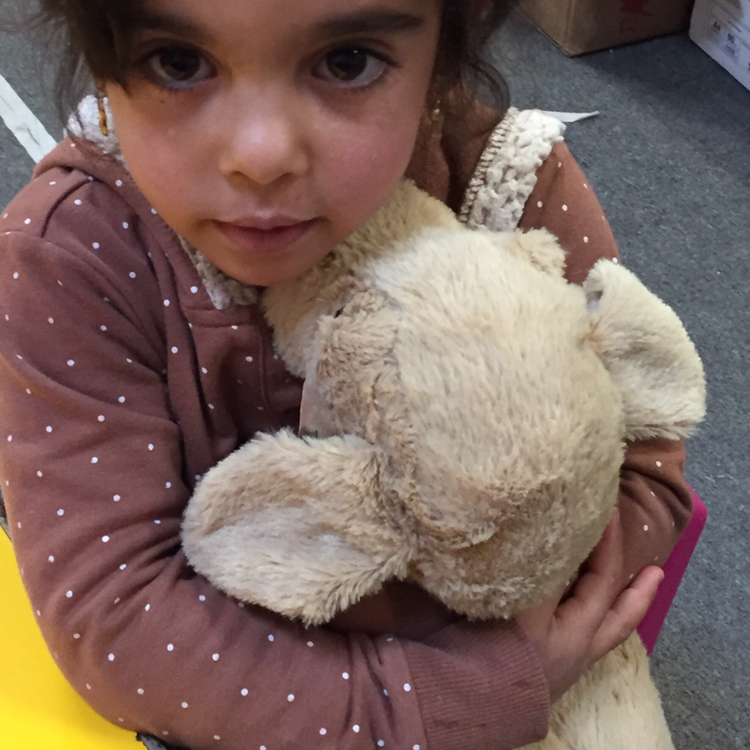 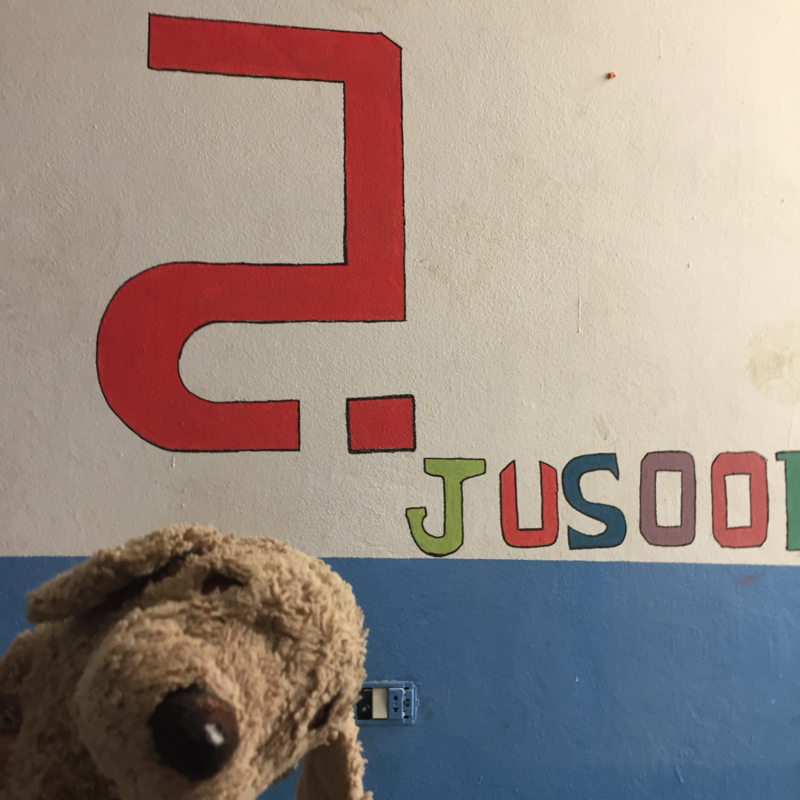 During my second week in Lebanon, me and Miss Stanhope visited the JUSOOR NGO. 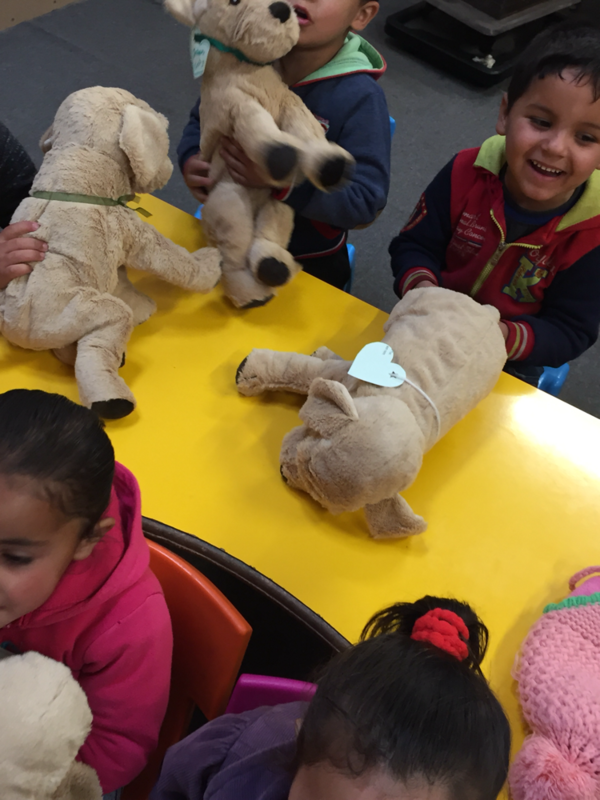 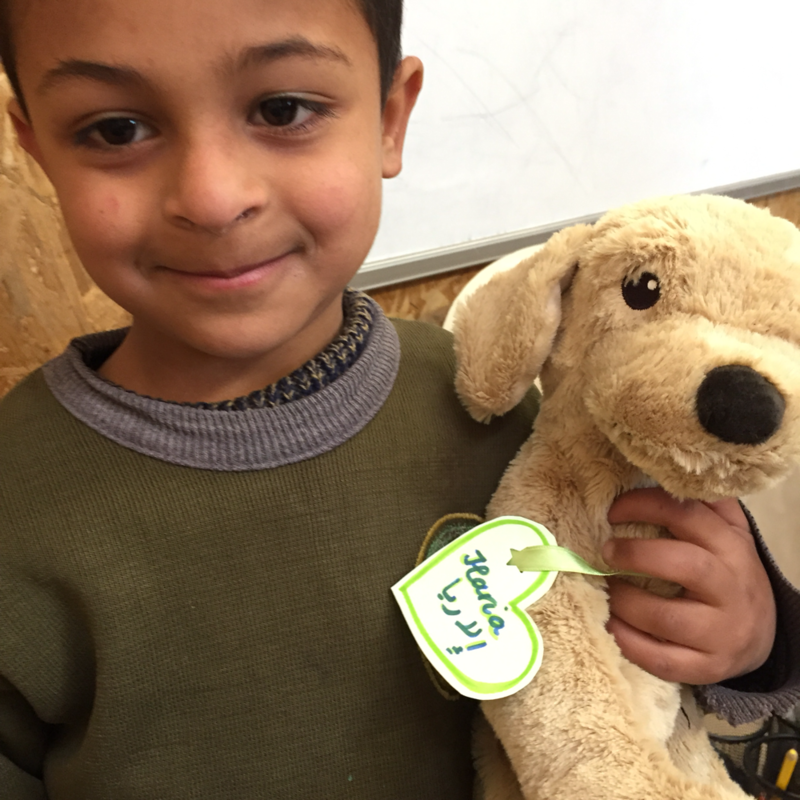 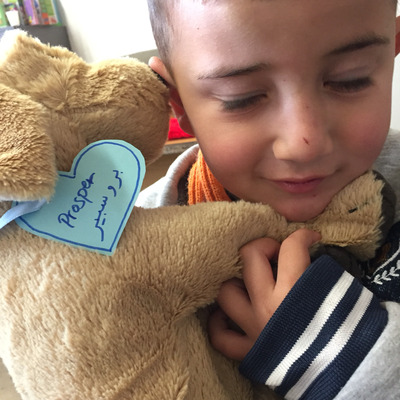 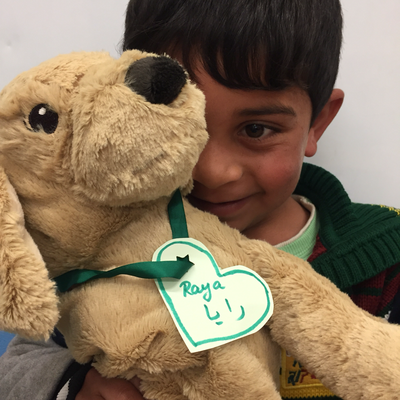 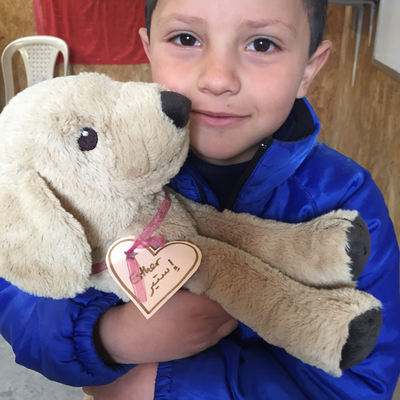 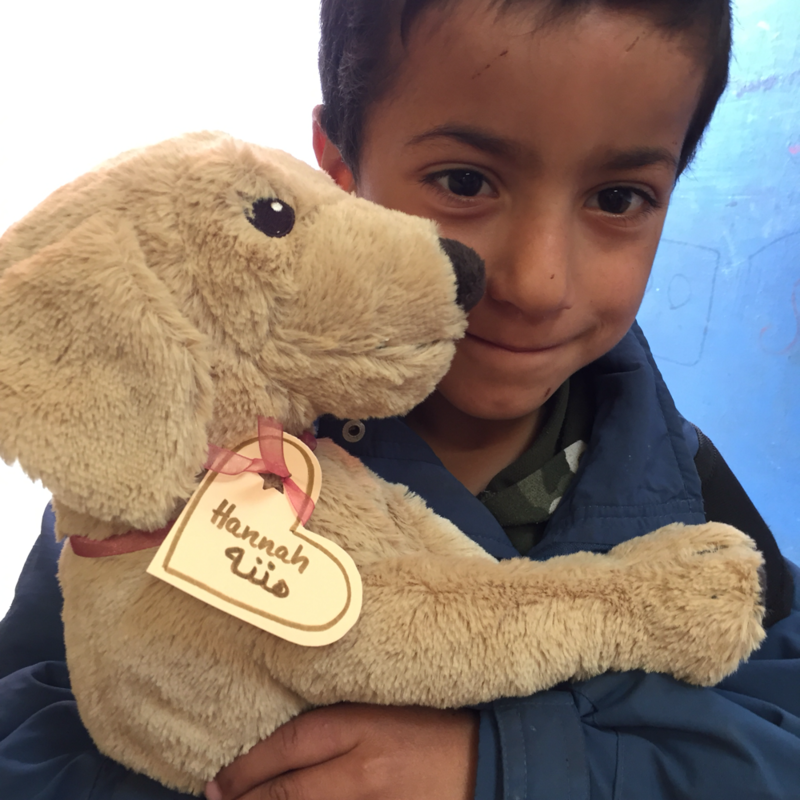 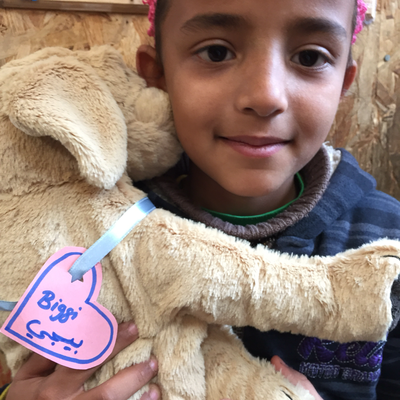 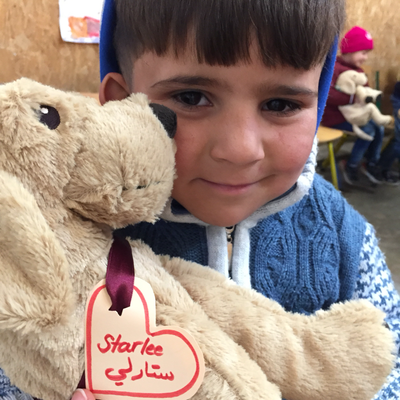 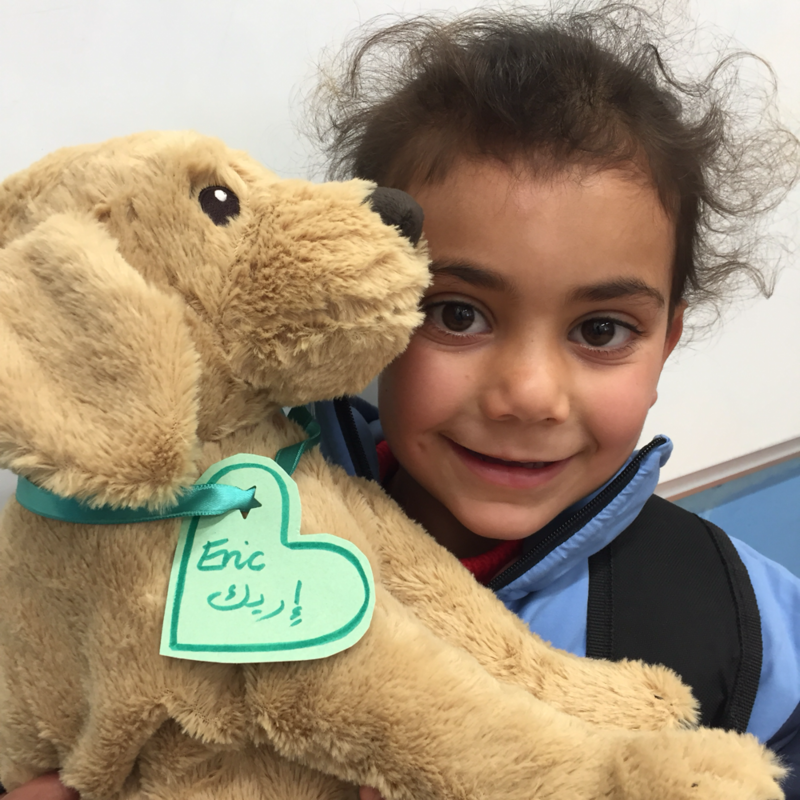 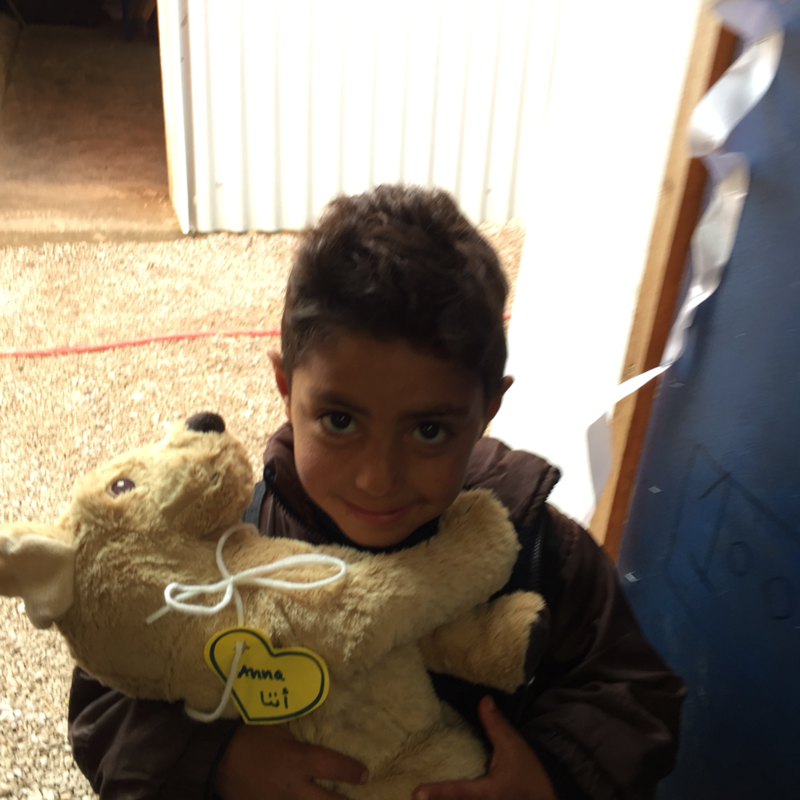 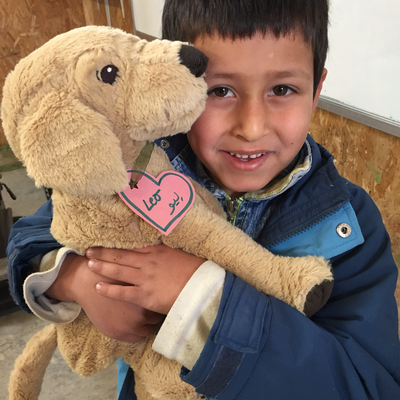 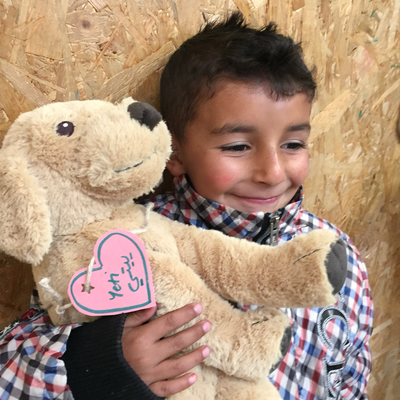 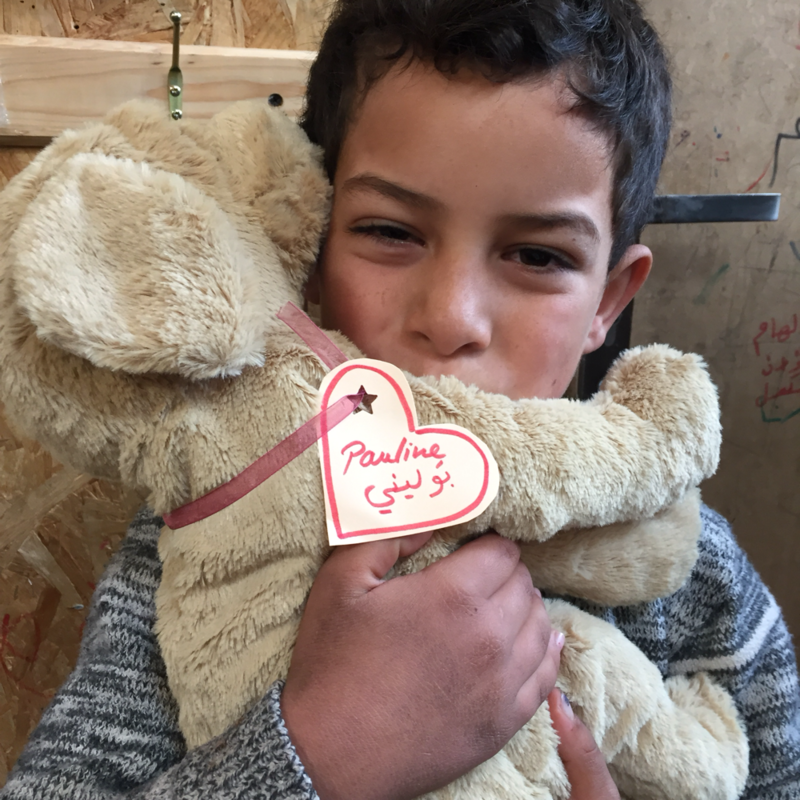 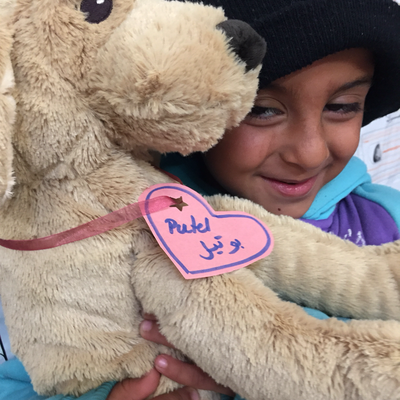 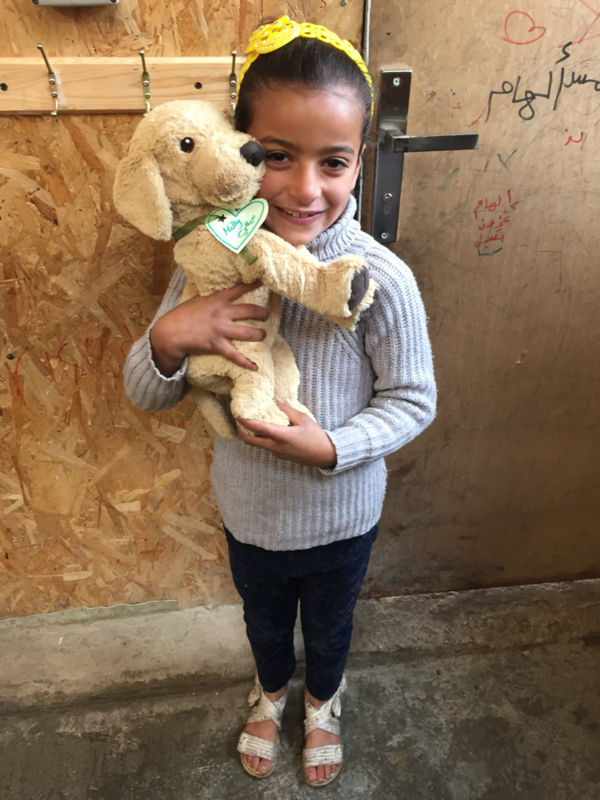 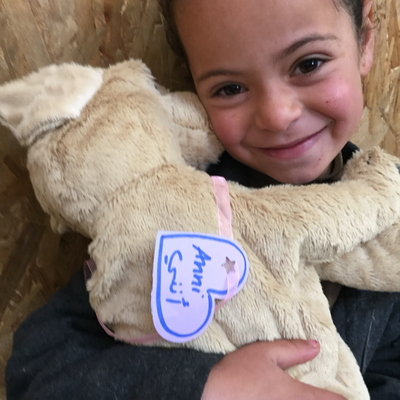 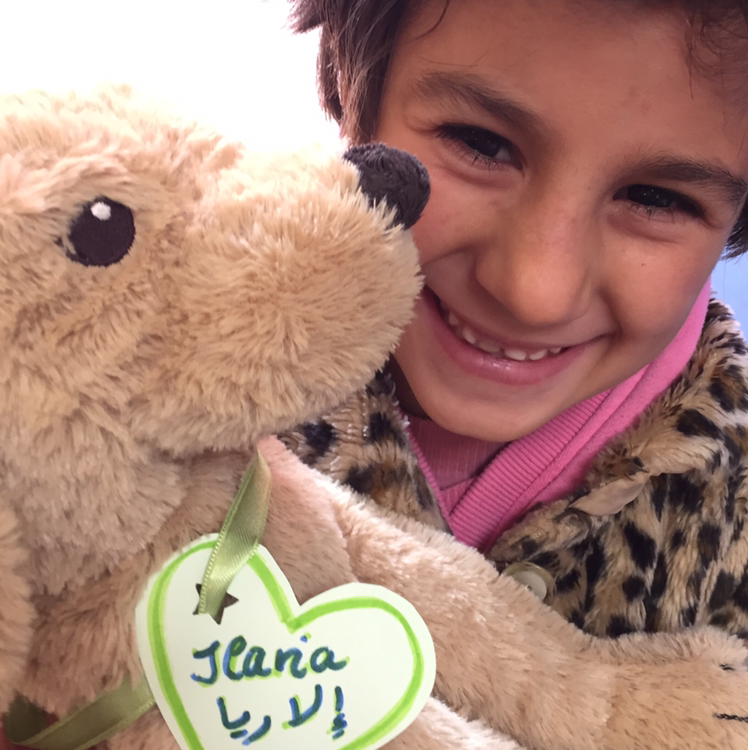 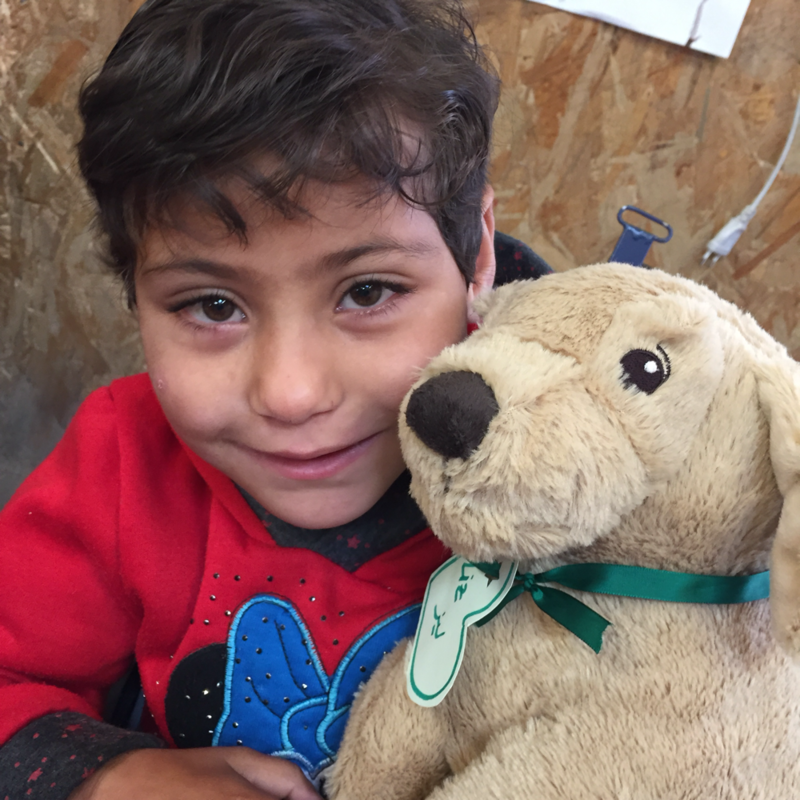 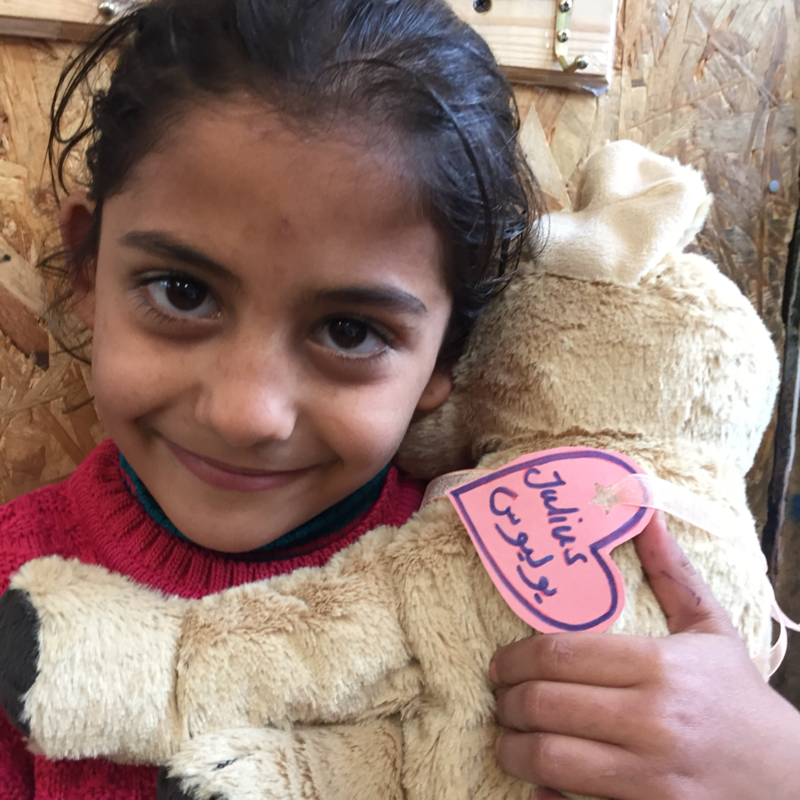 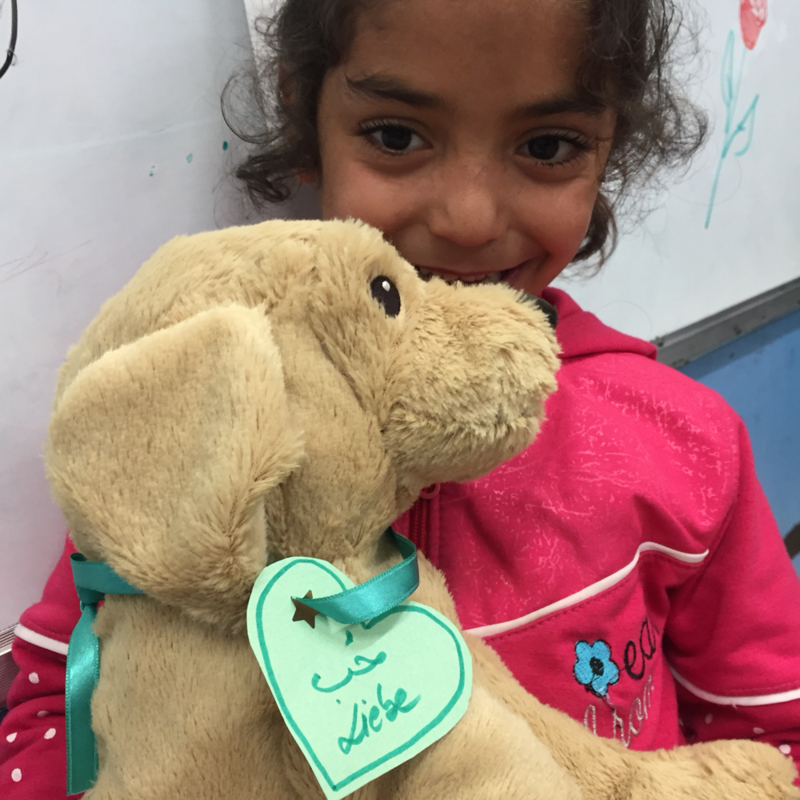 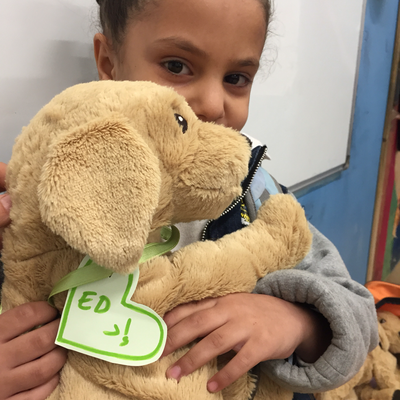 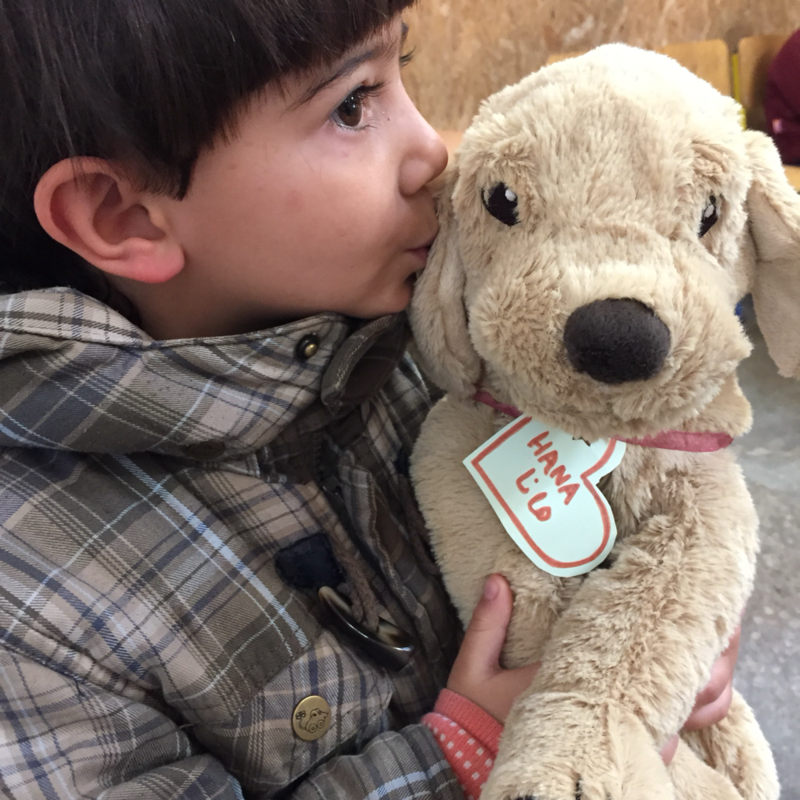 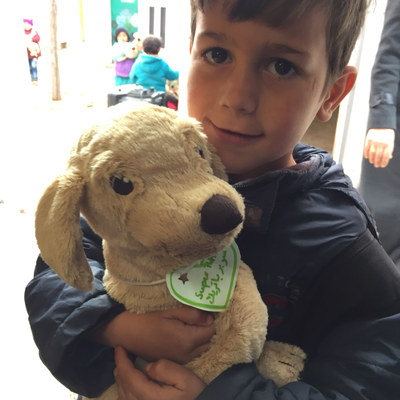 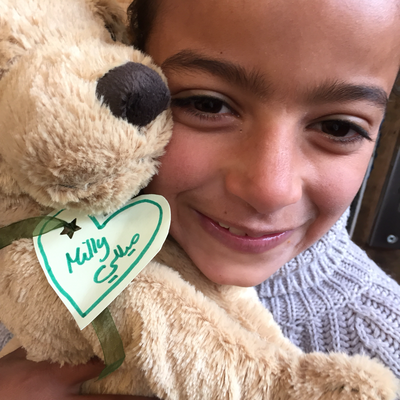 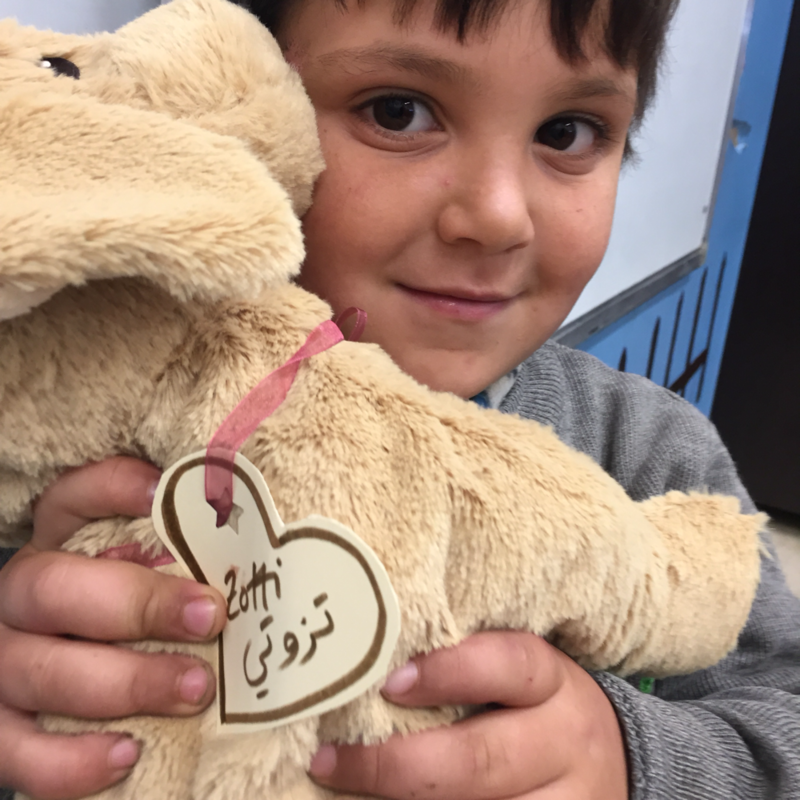 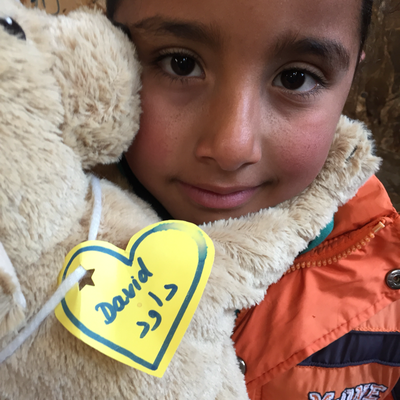 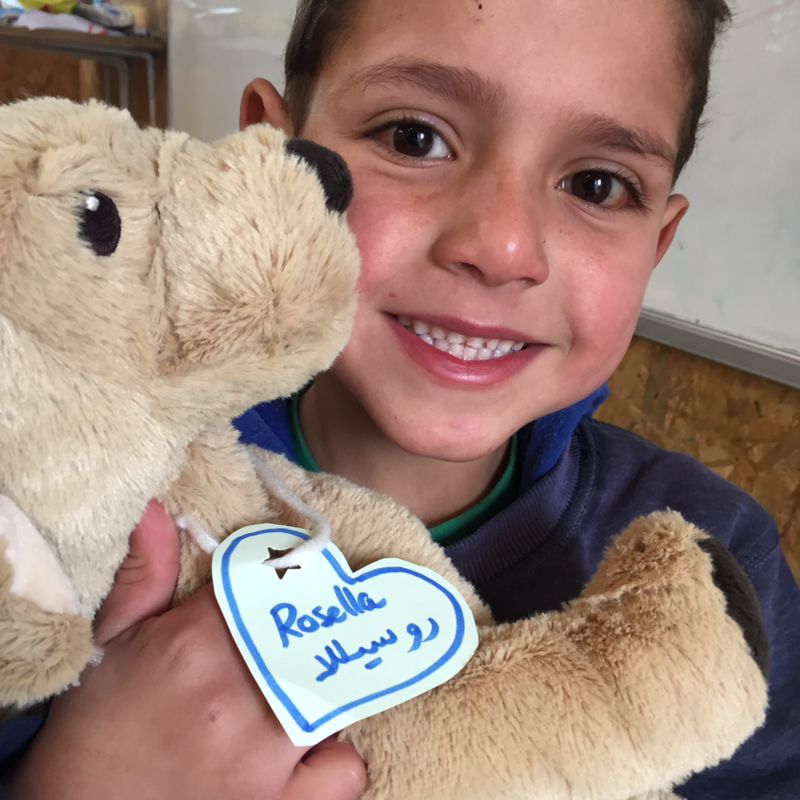 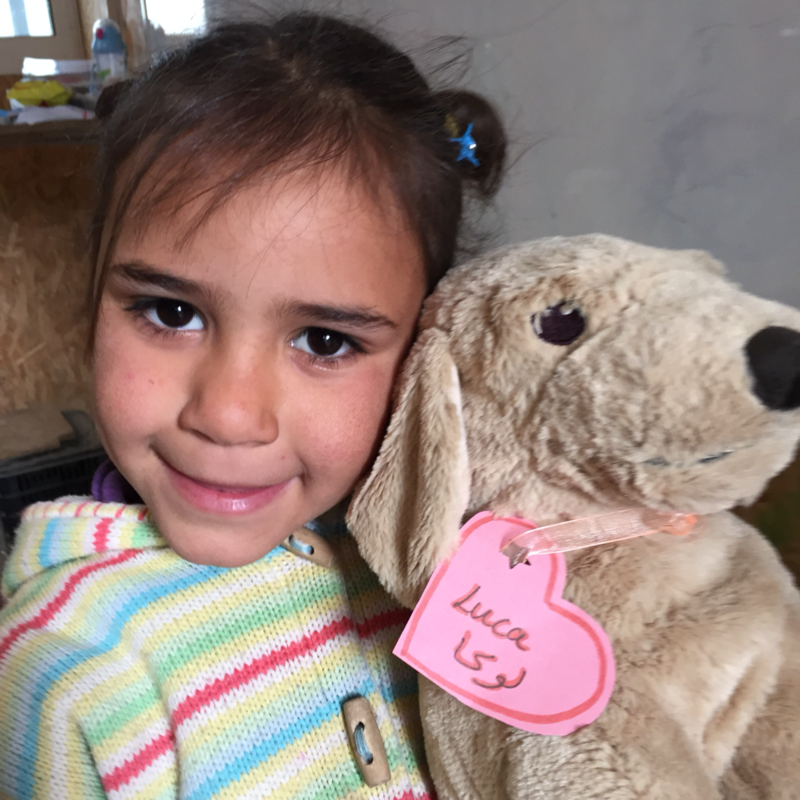 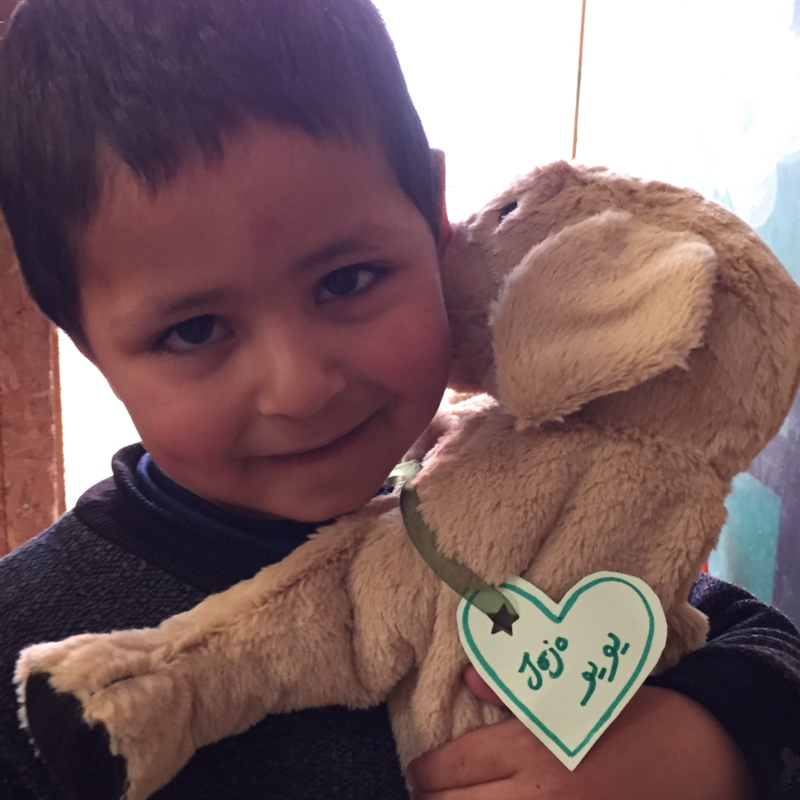 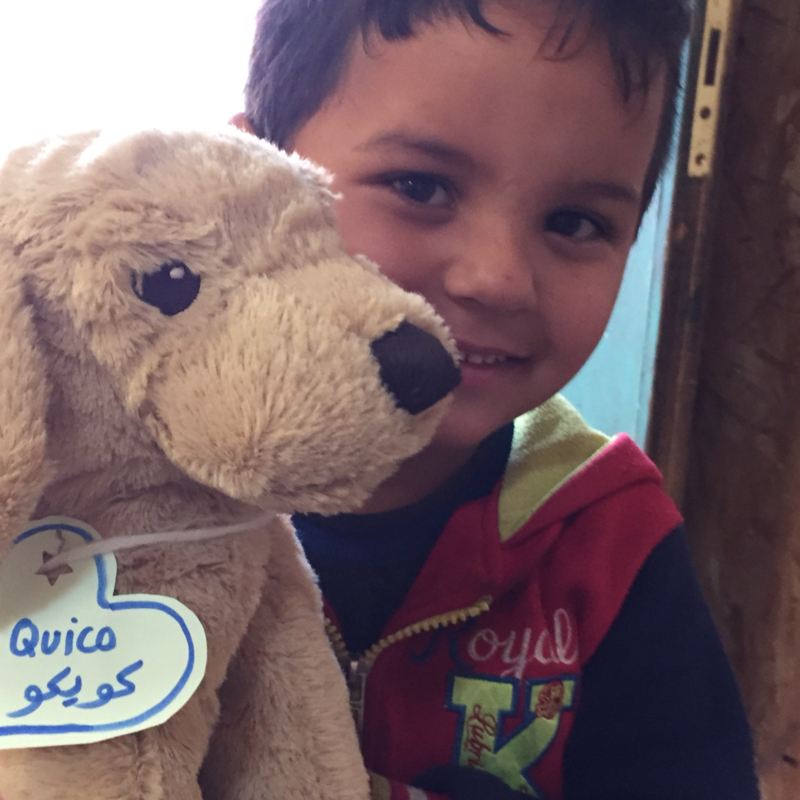 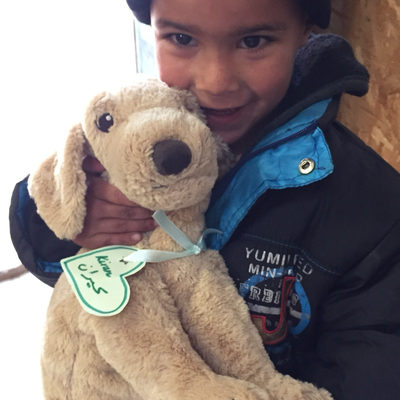 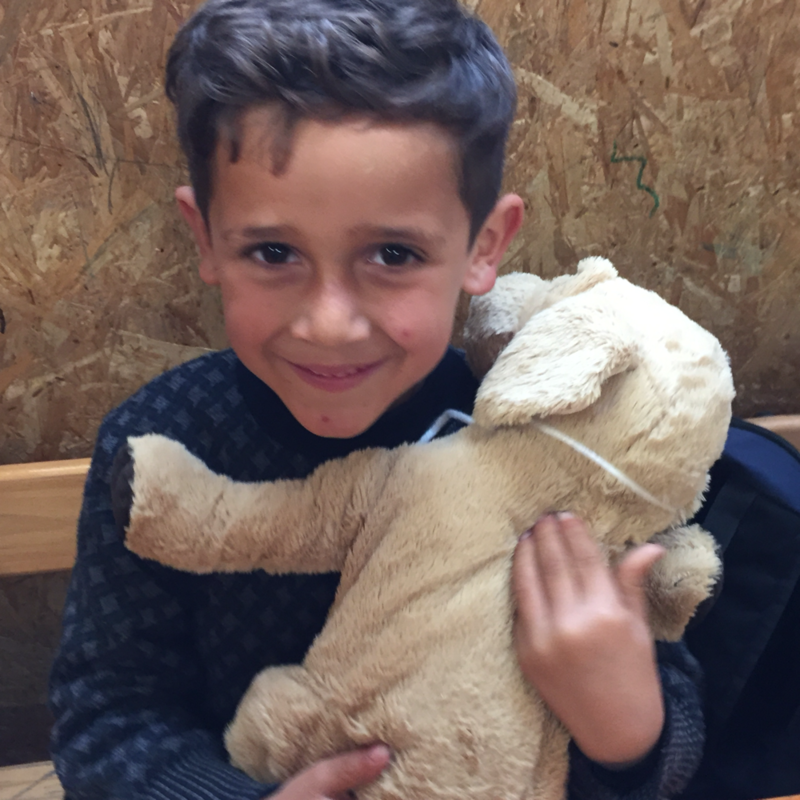 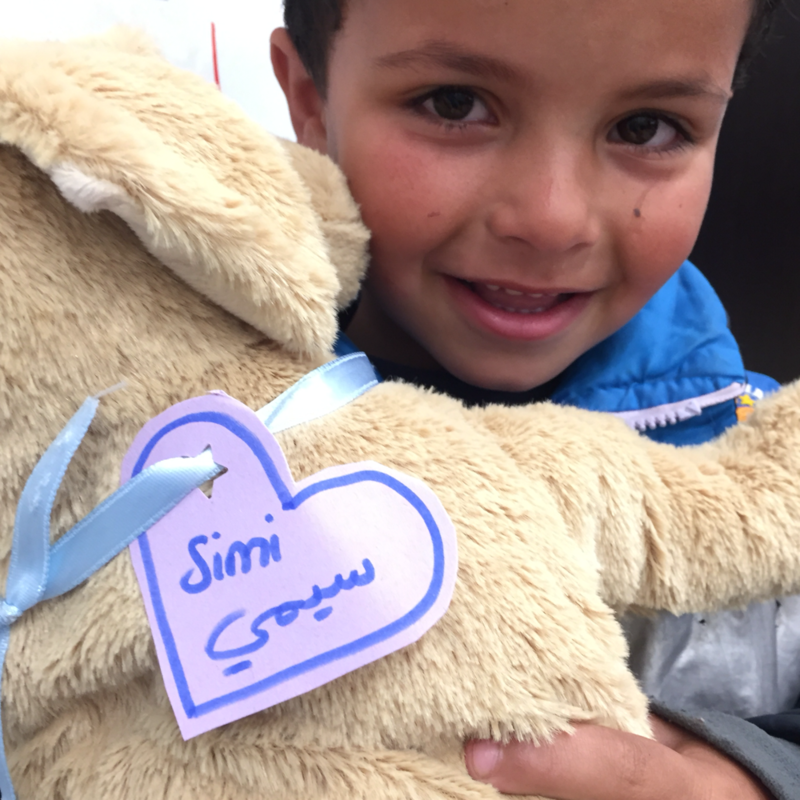 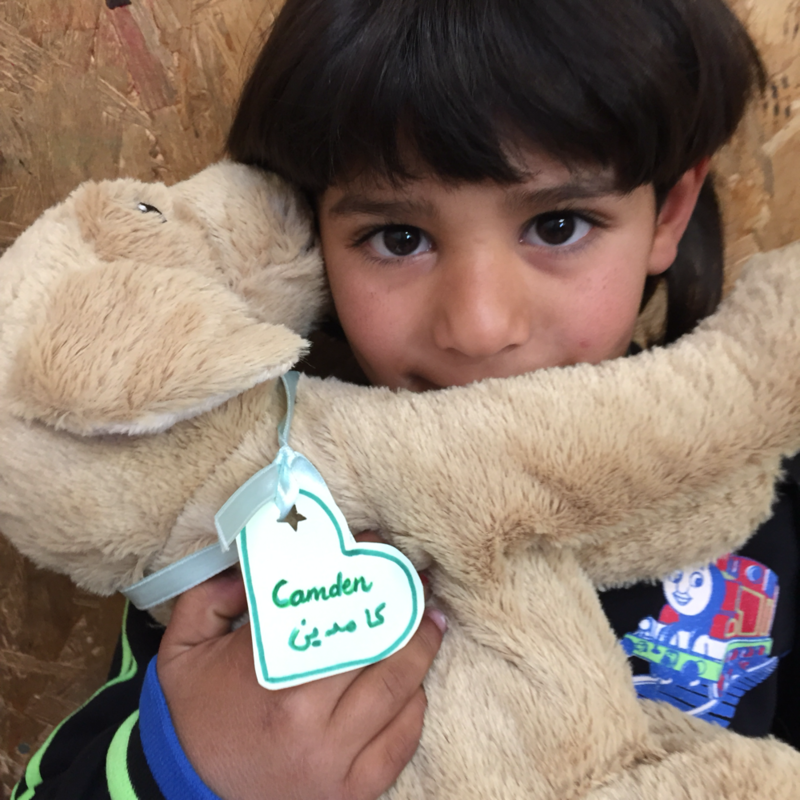 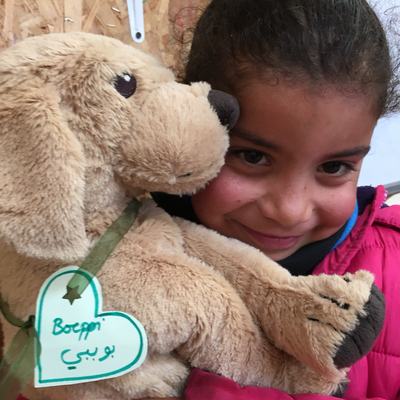 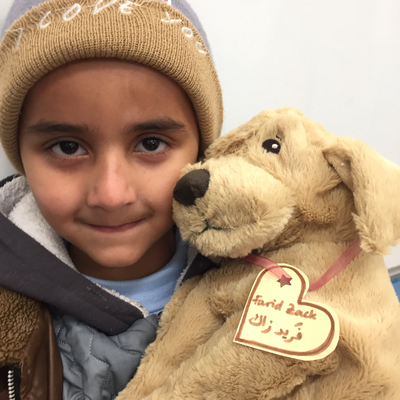 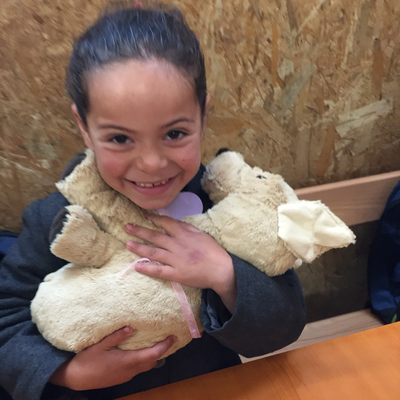 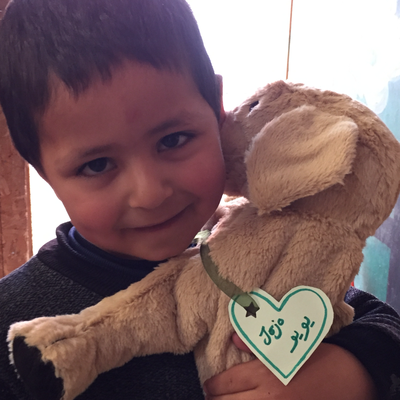 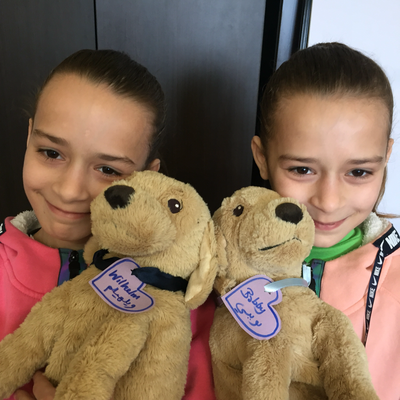 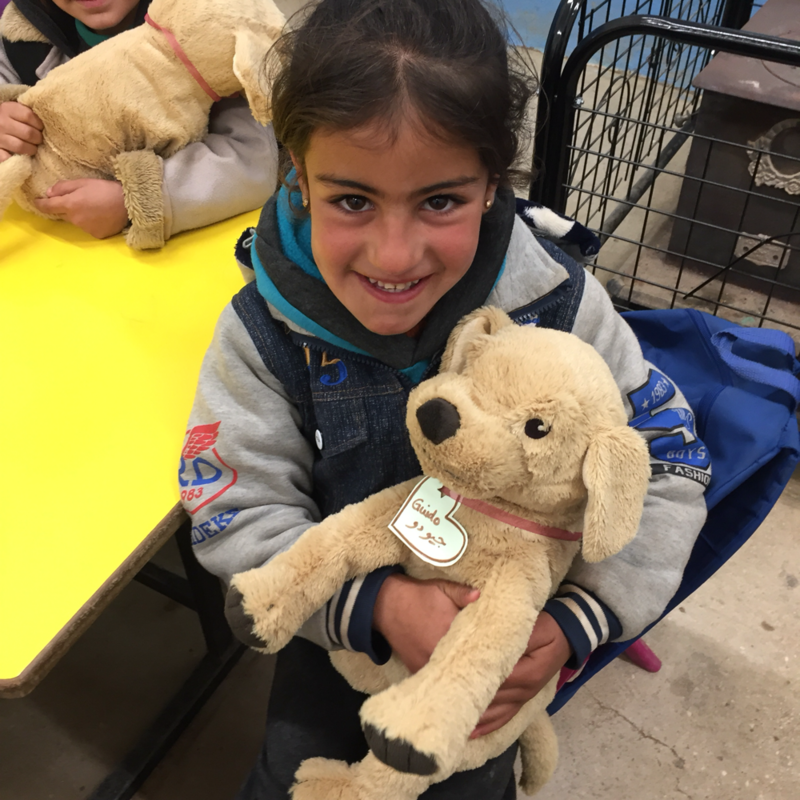 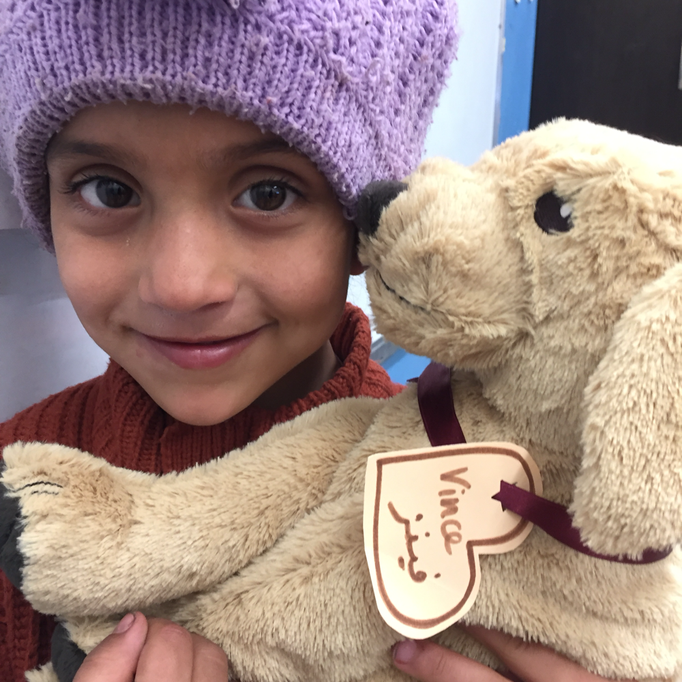 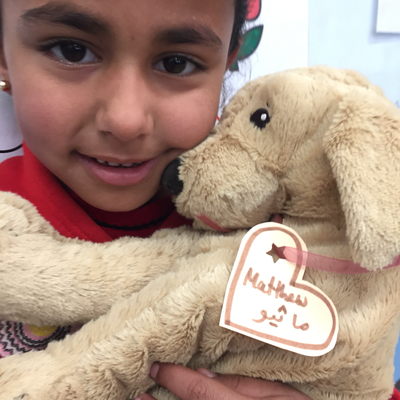 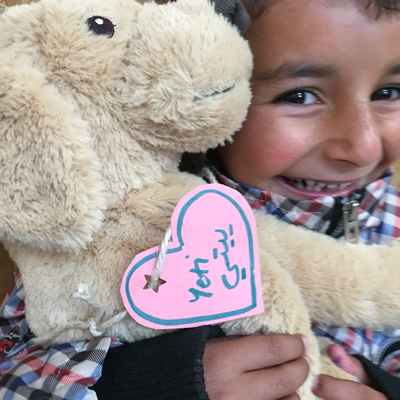 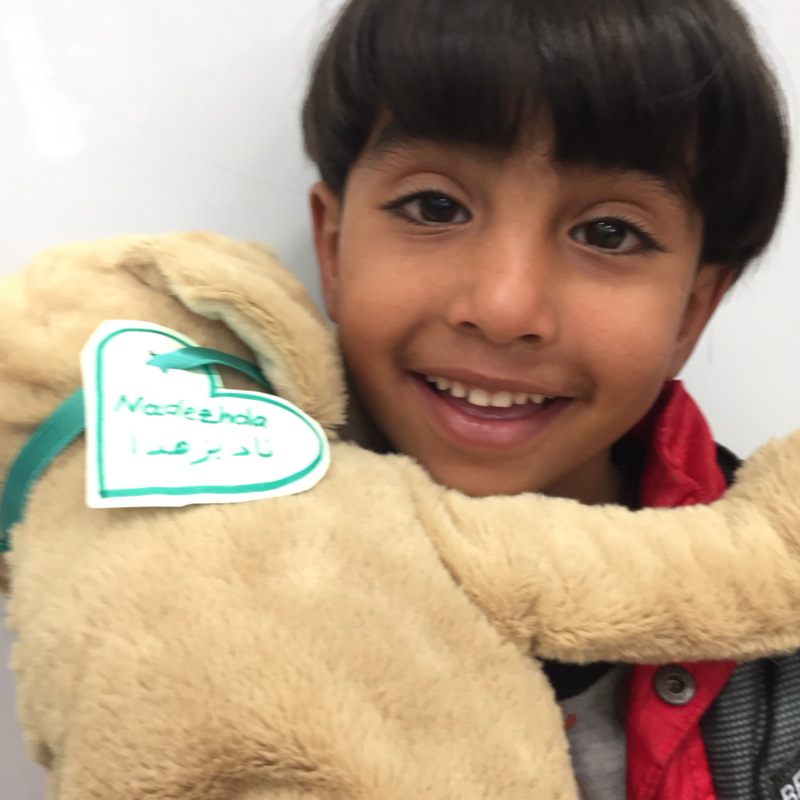 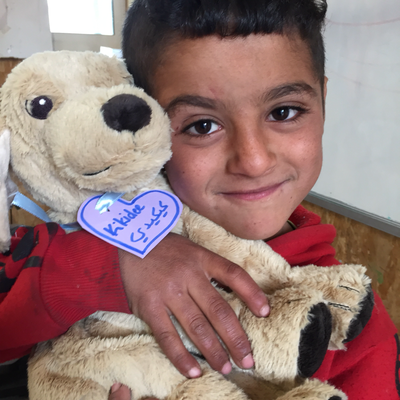 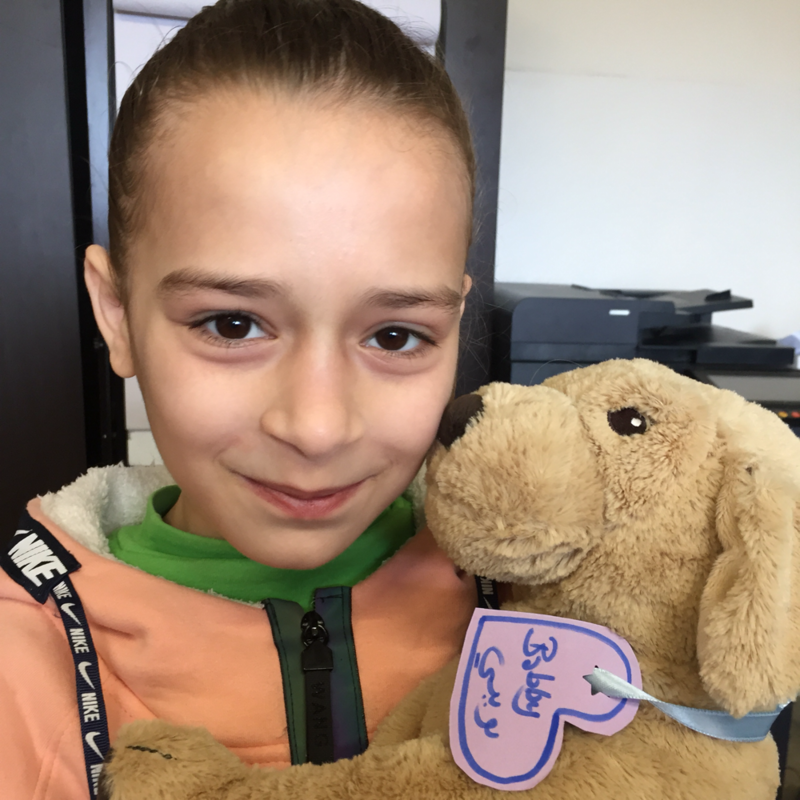 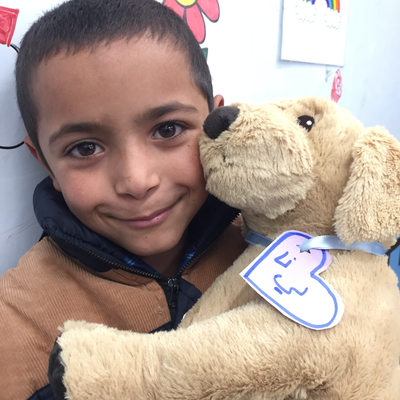 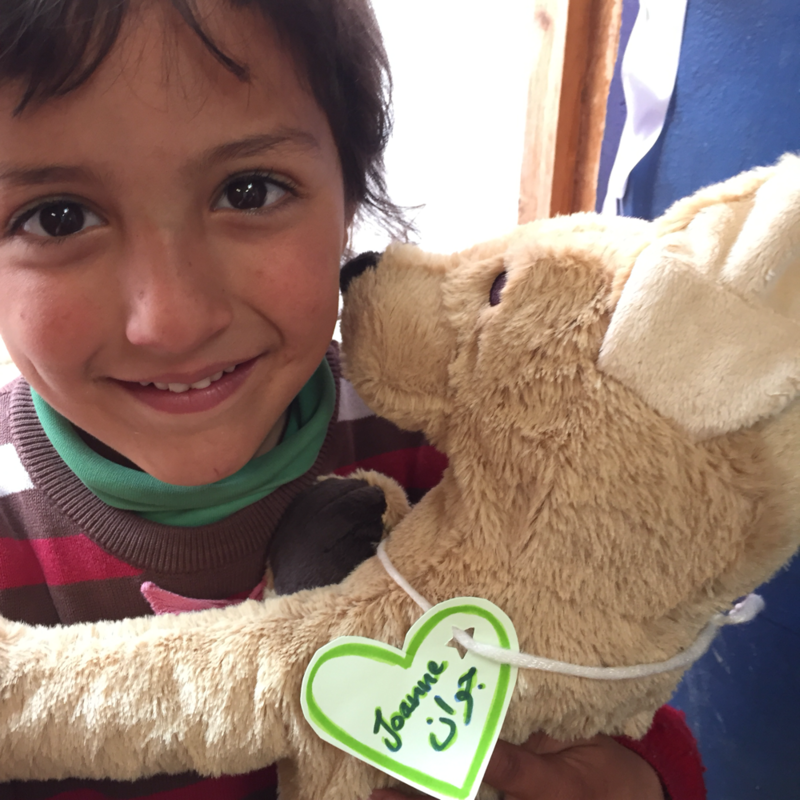 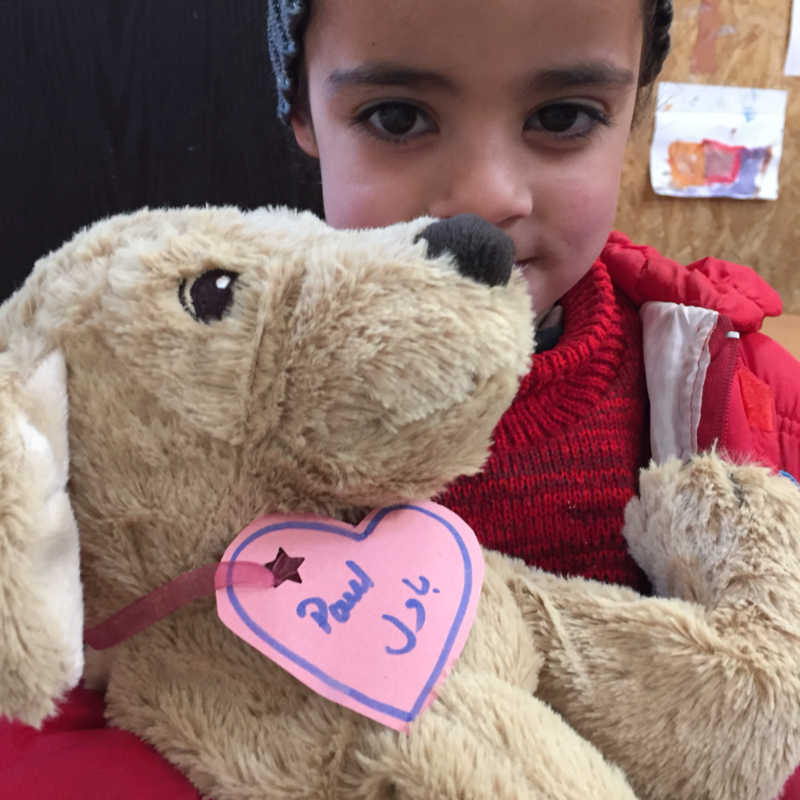 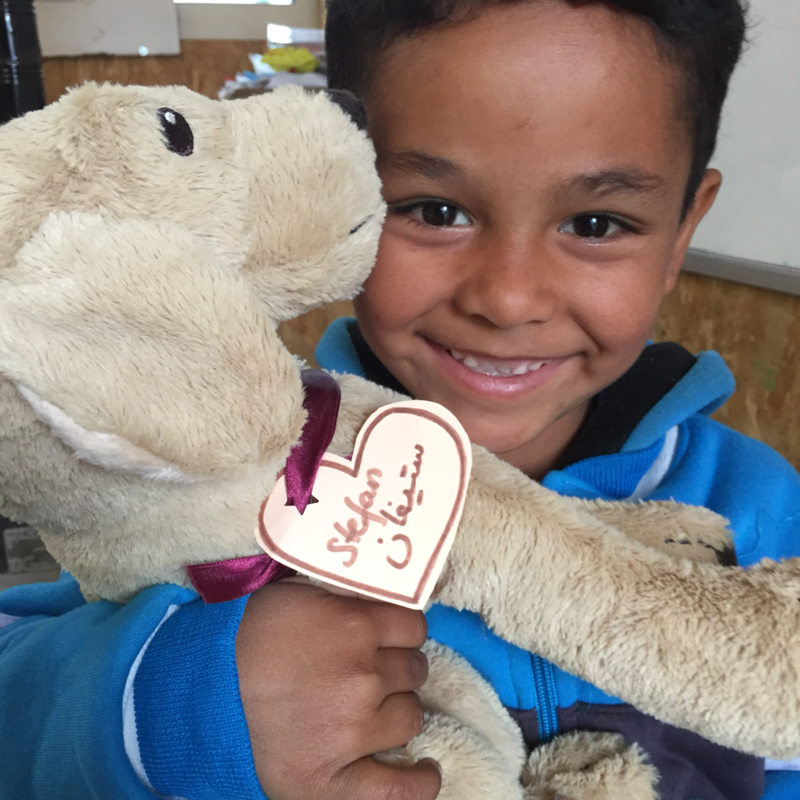 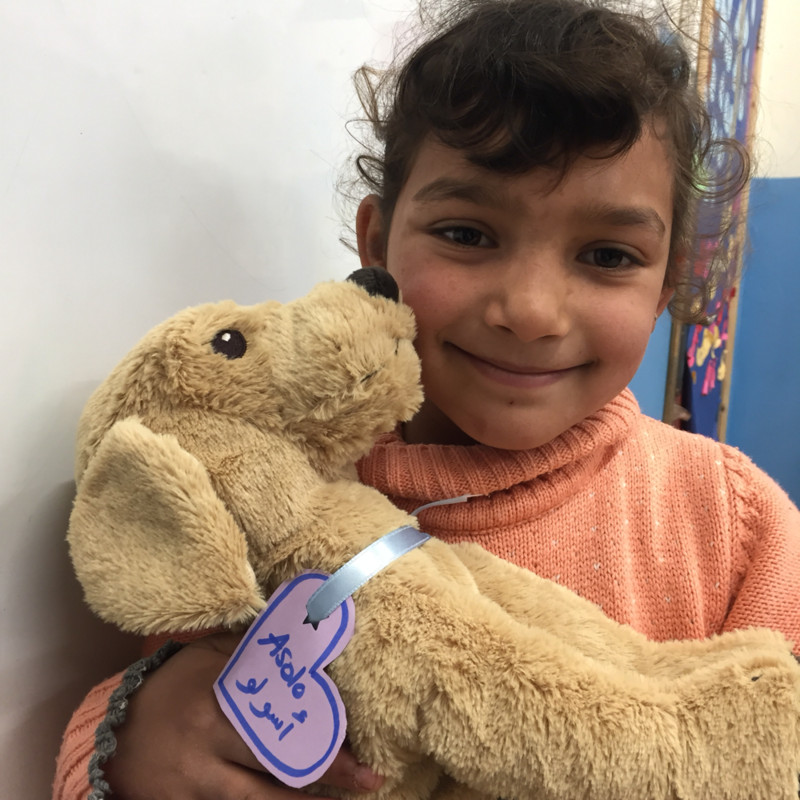 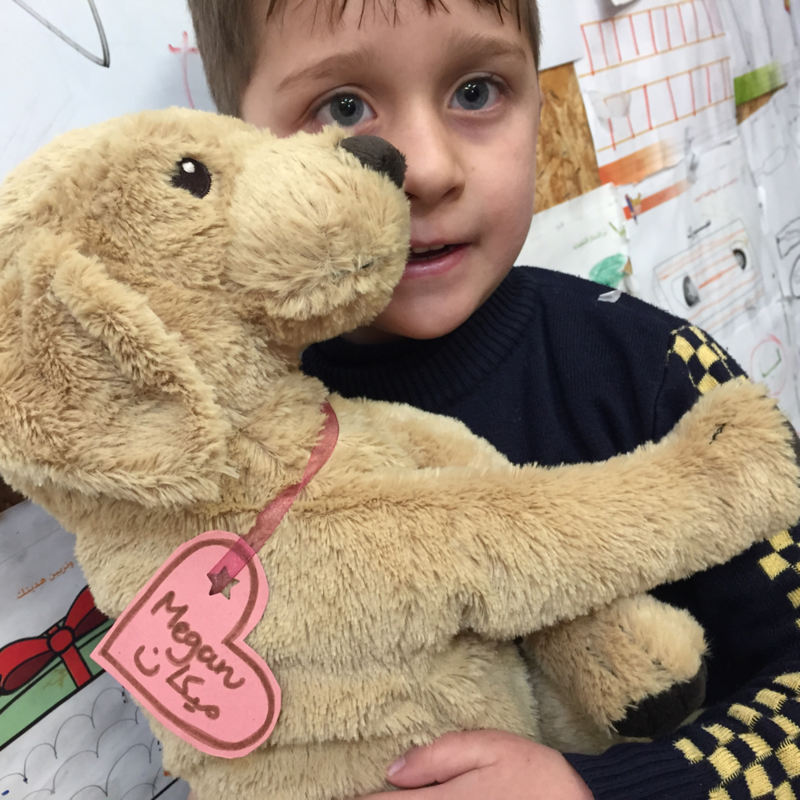 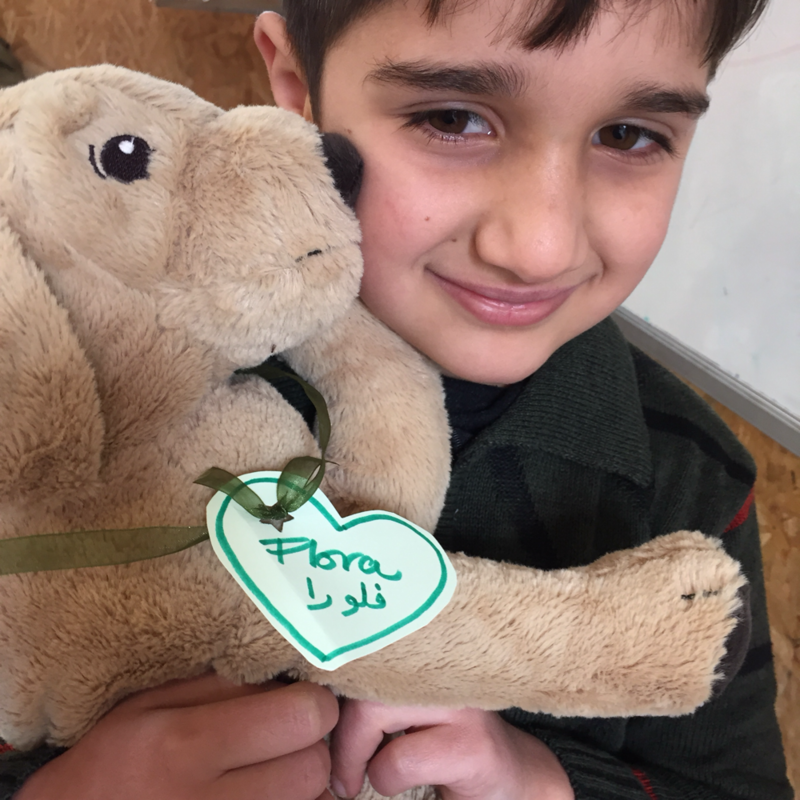 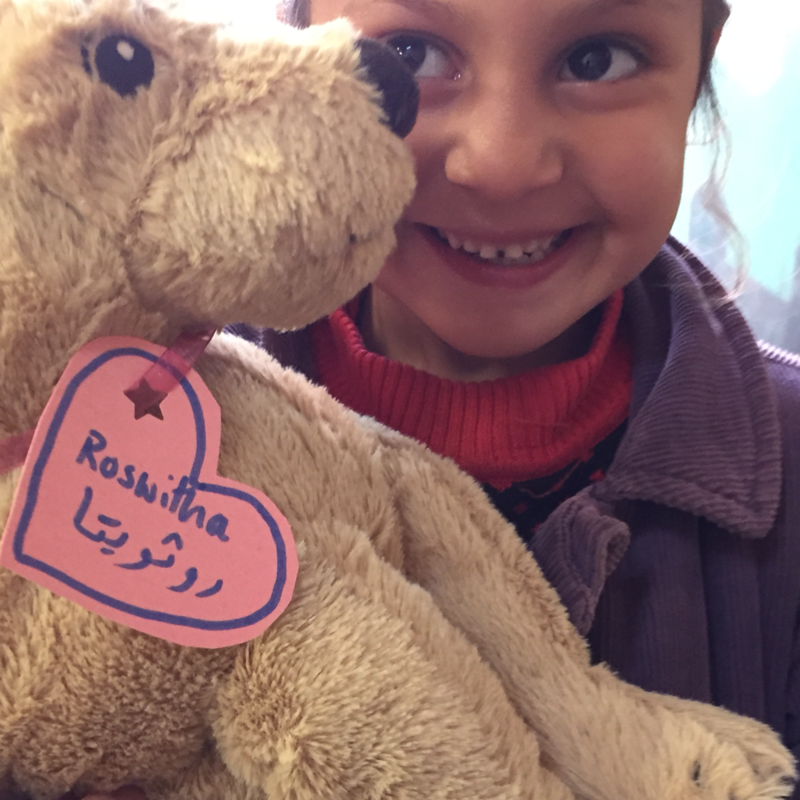 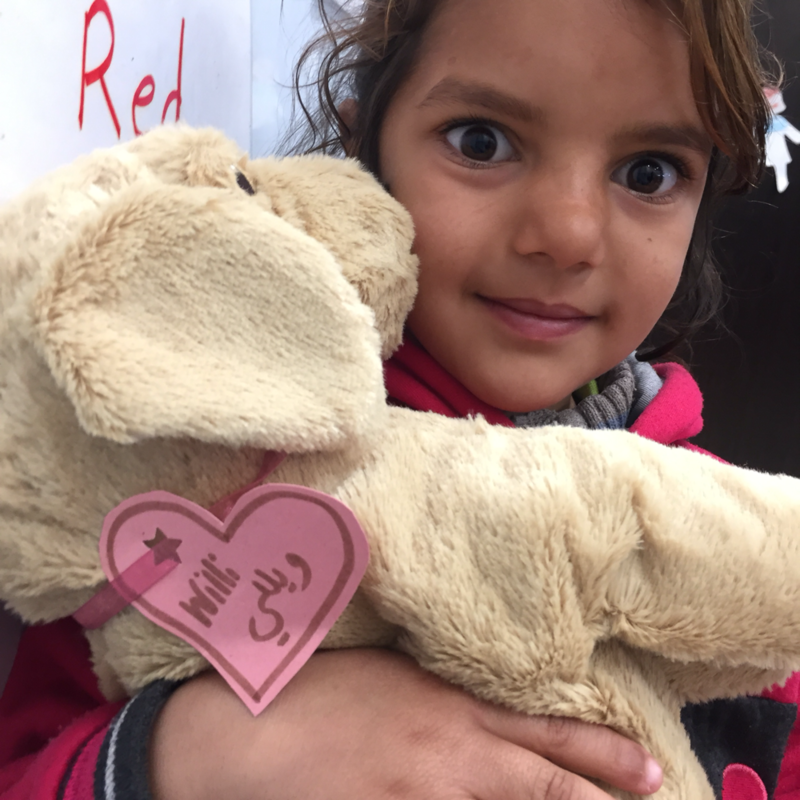 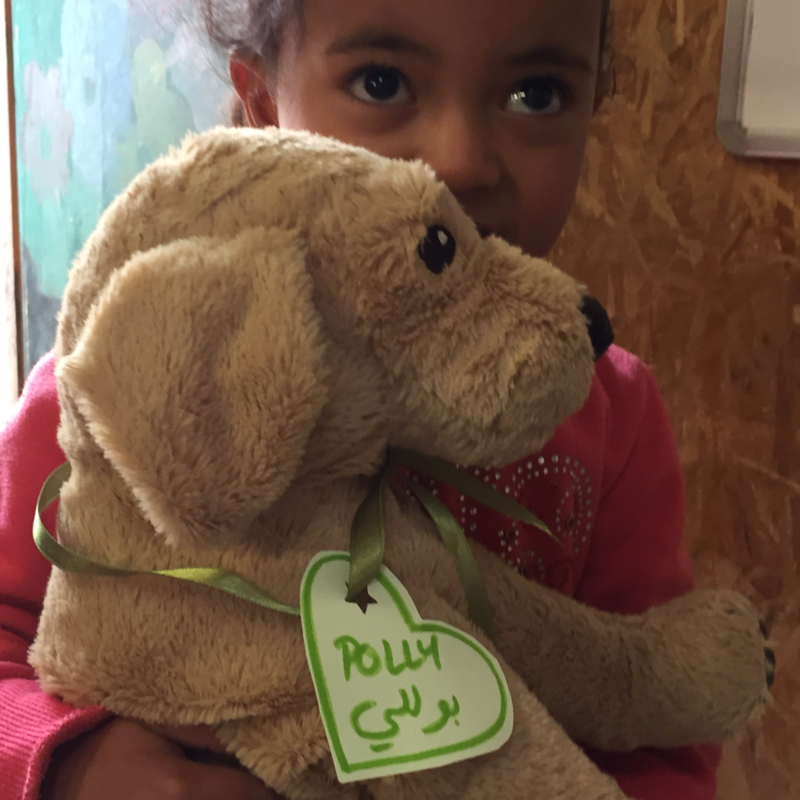 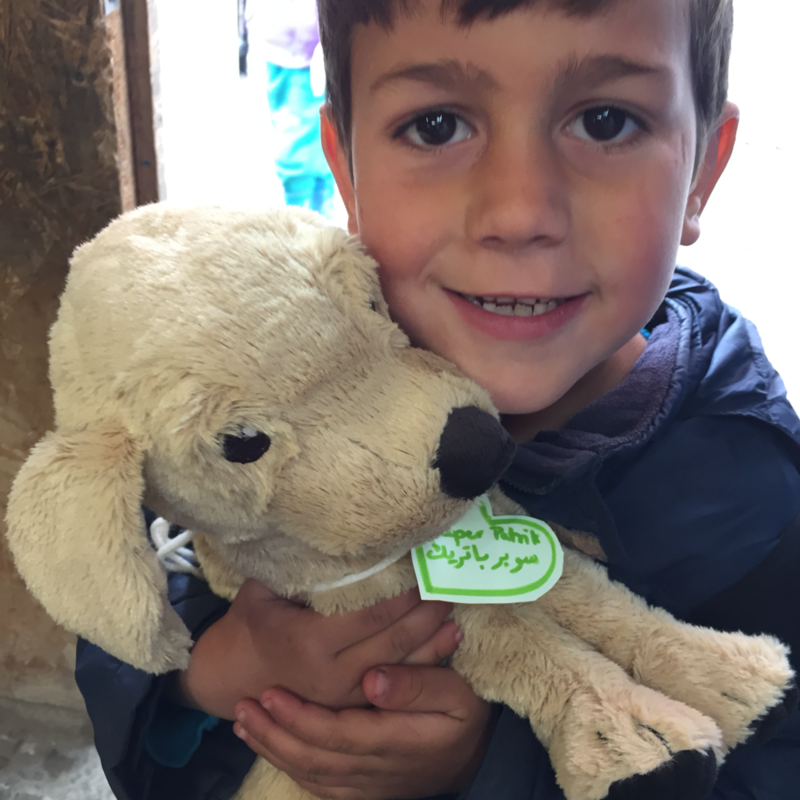 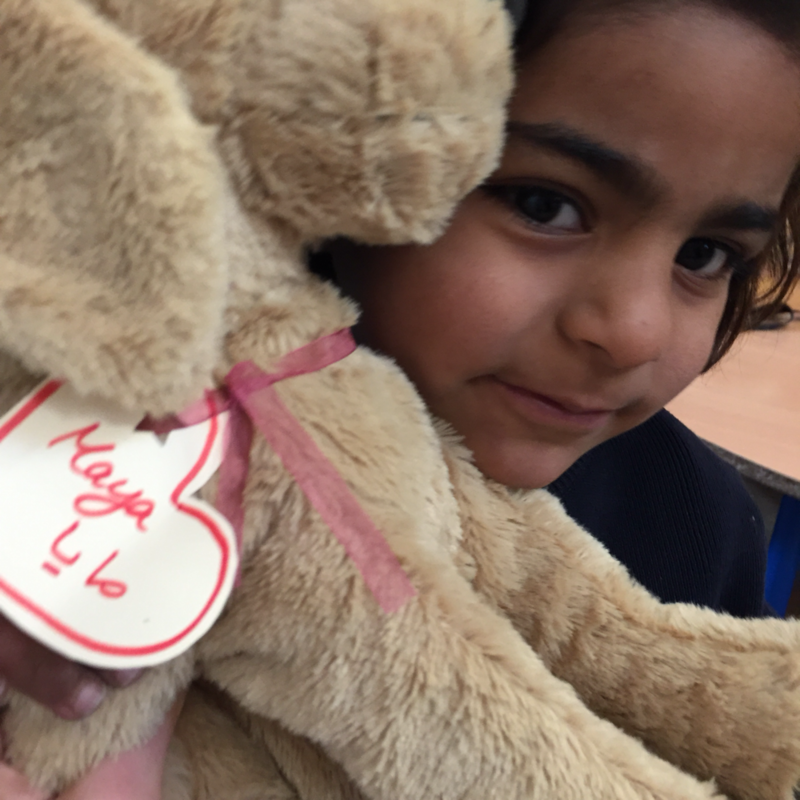 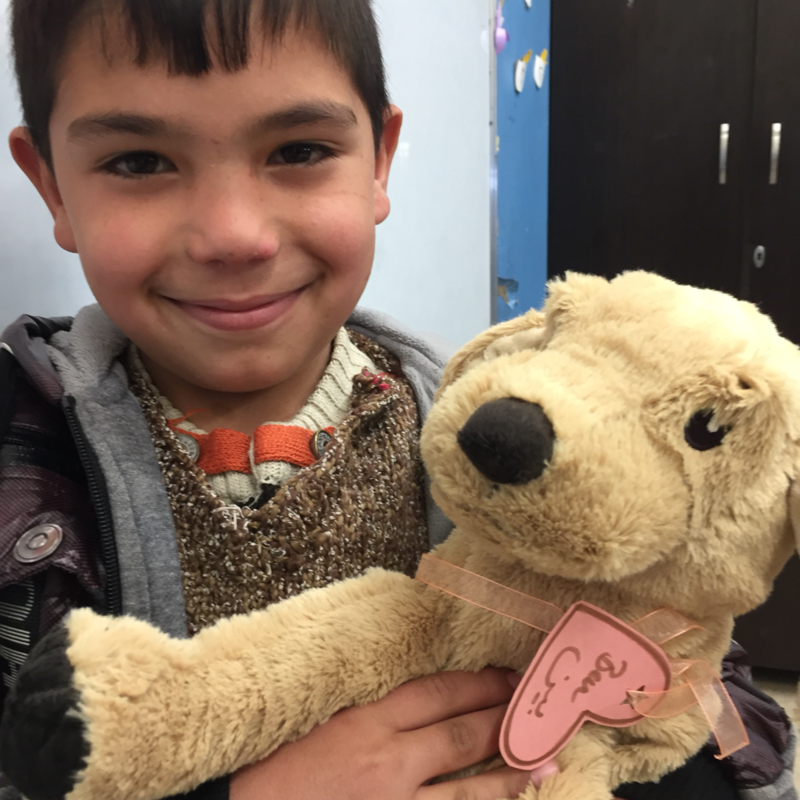 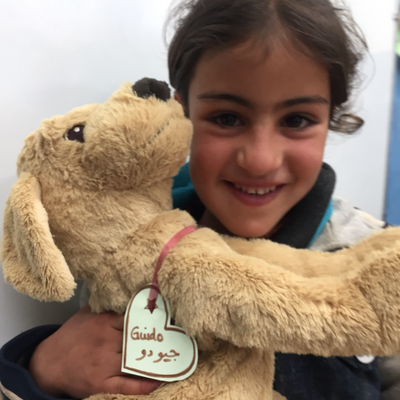 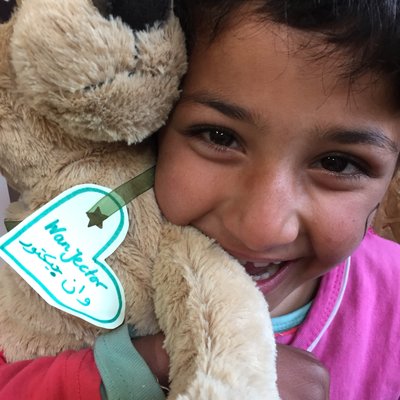 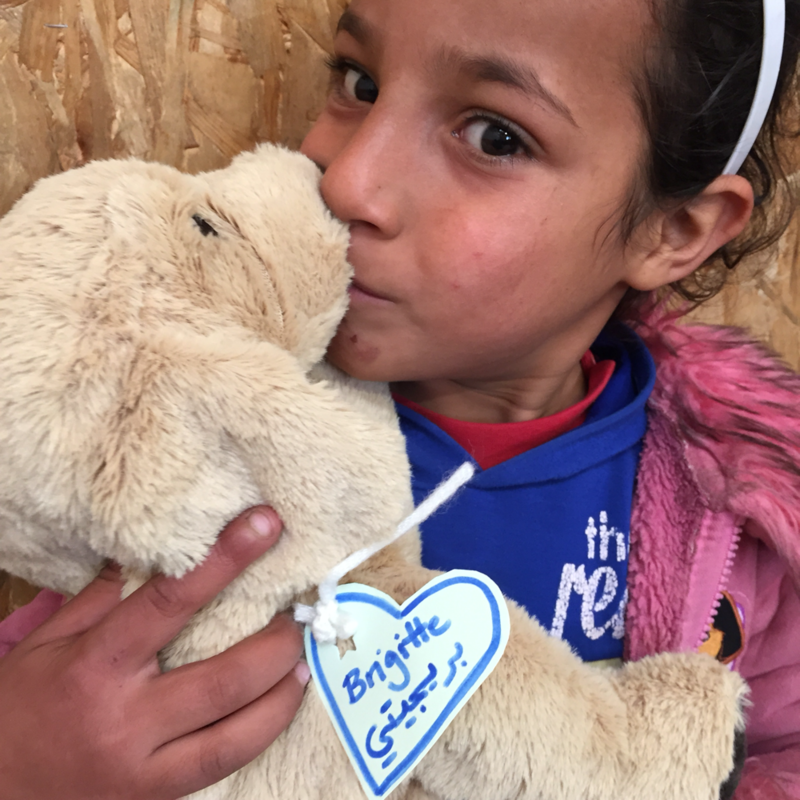 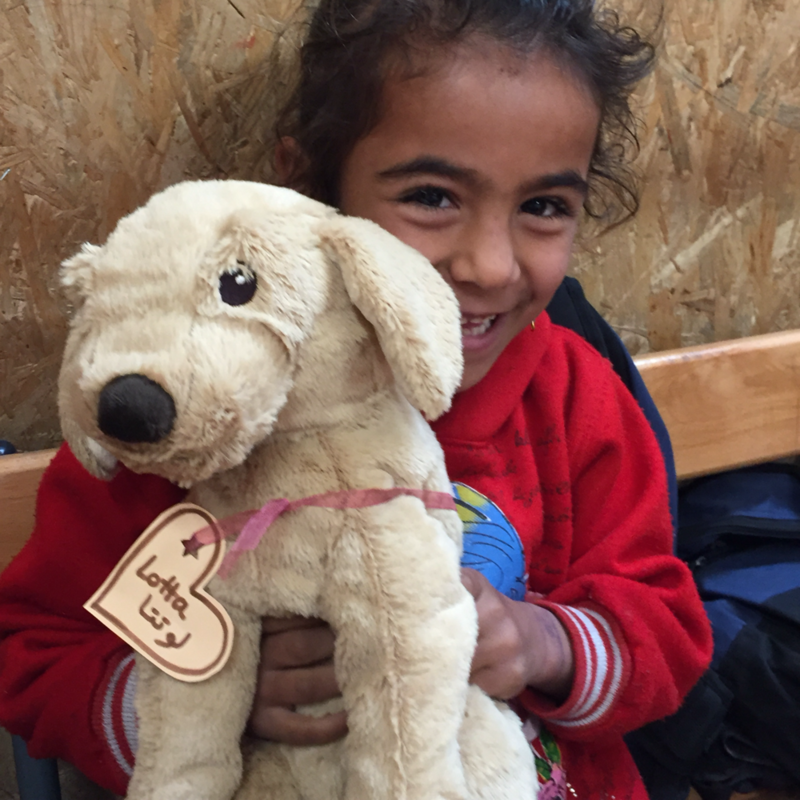 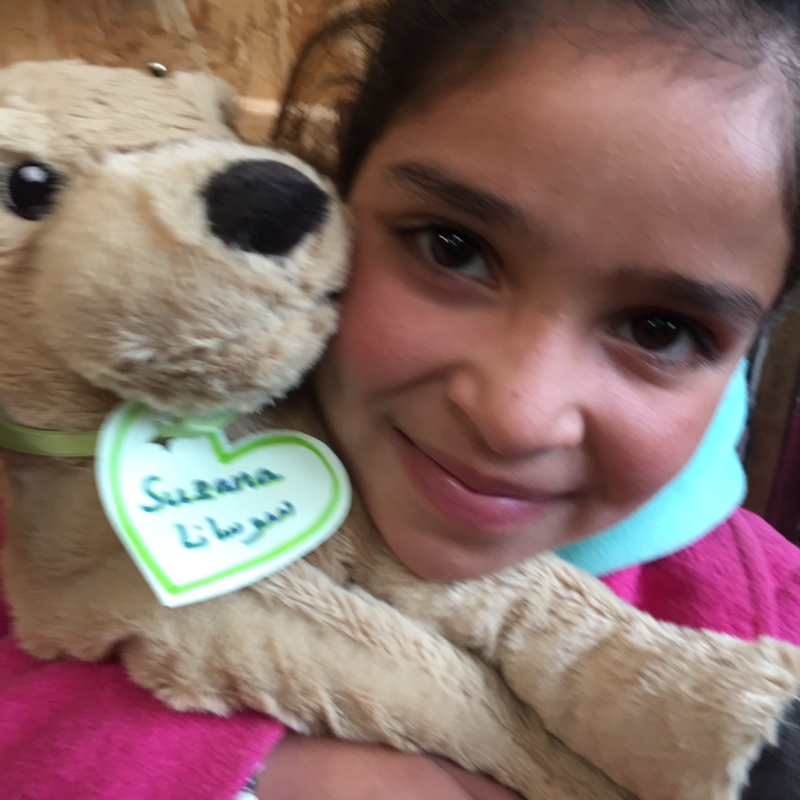 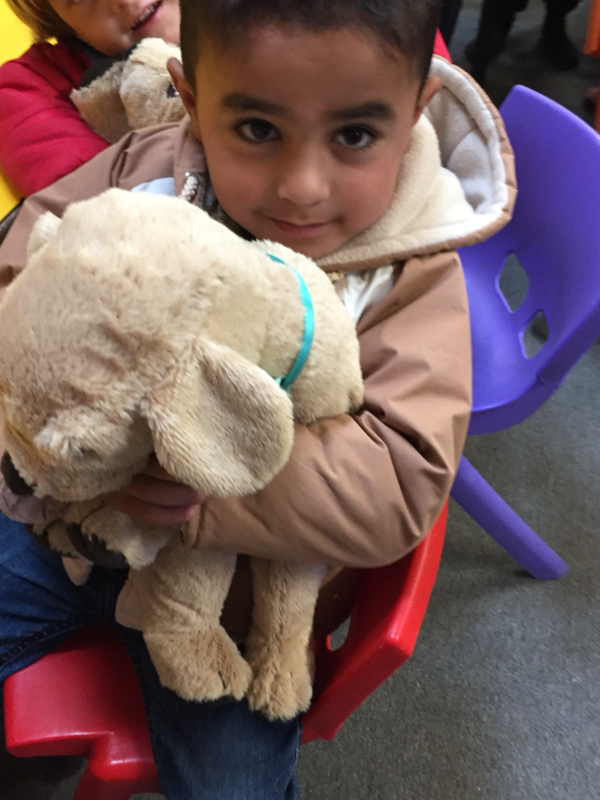 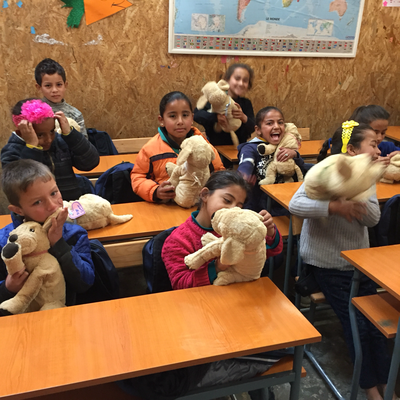 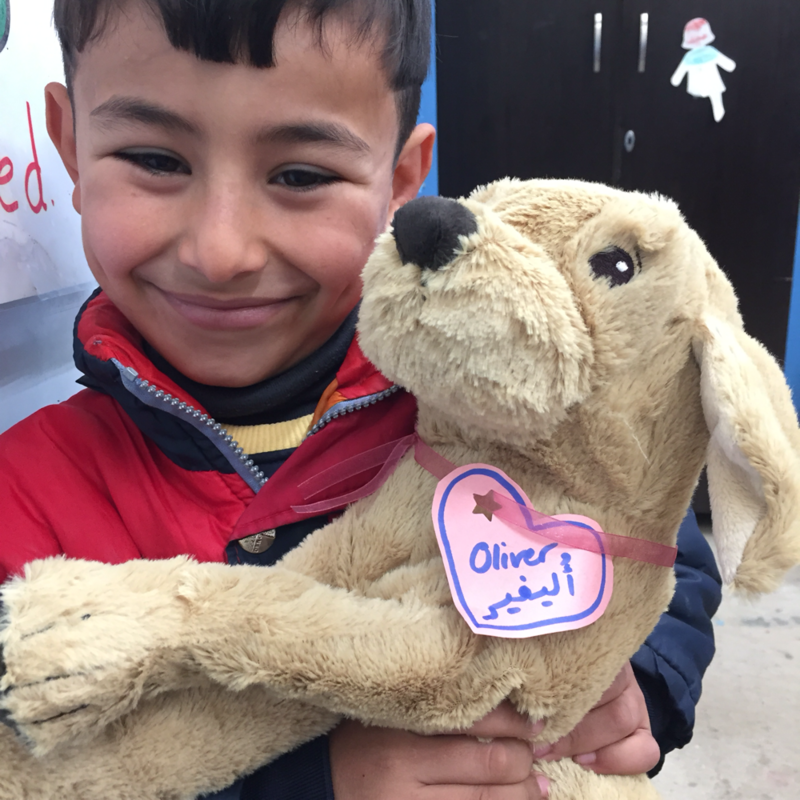 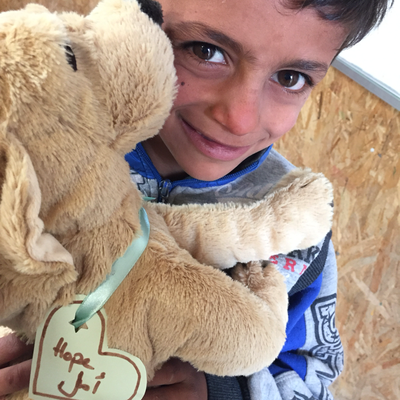 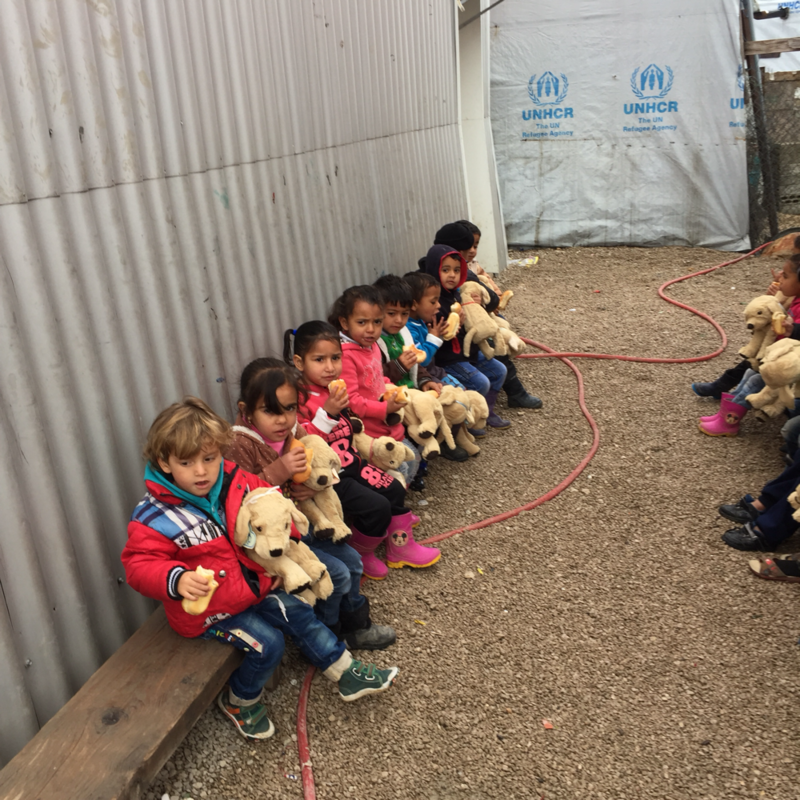 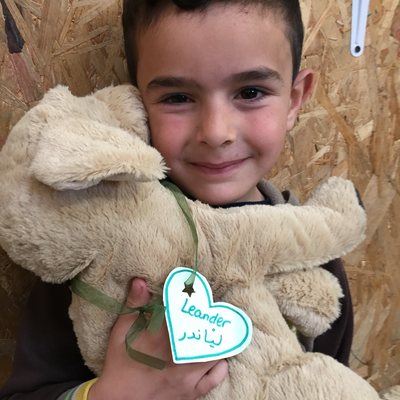 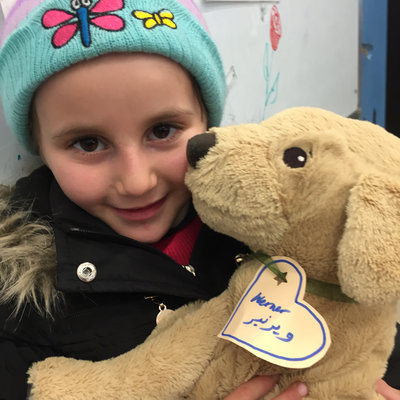 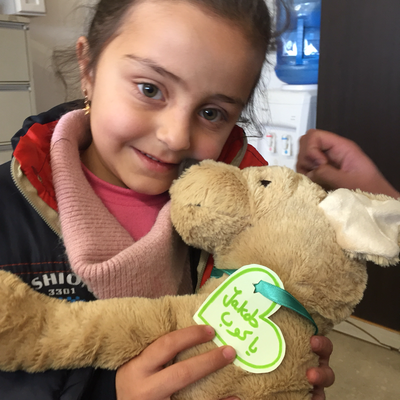 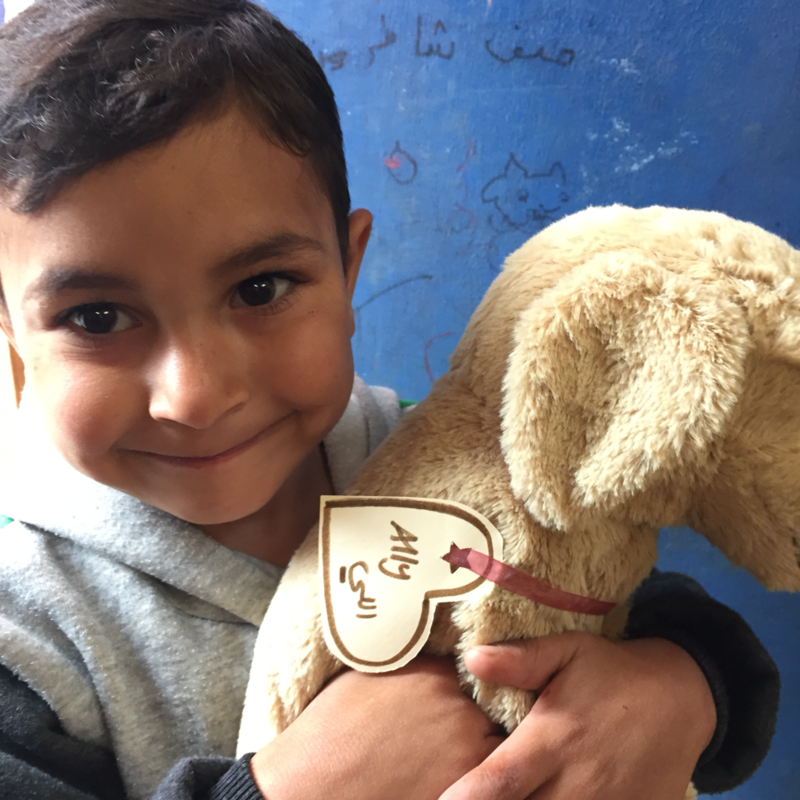 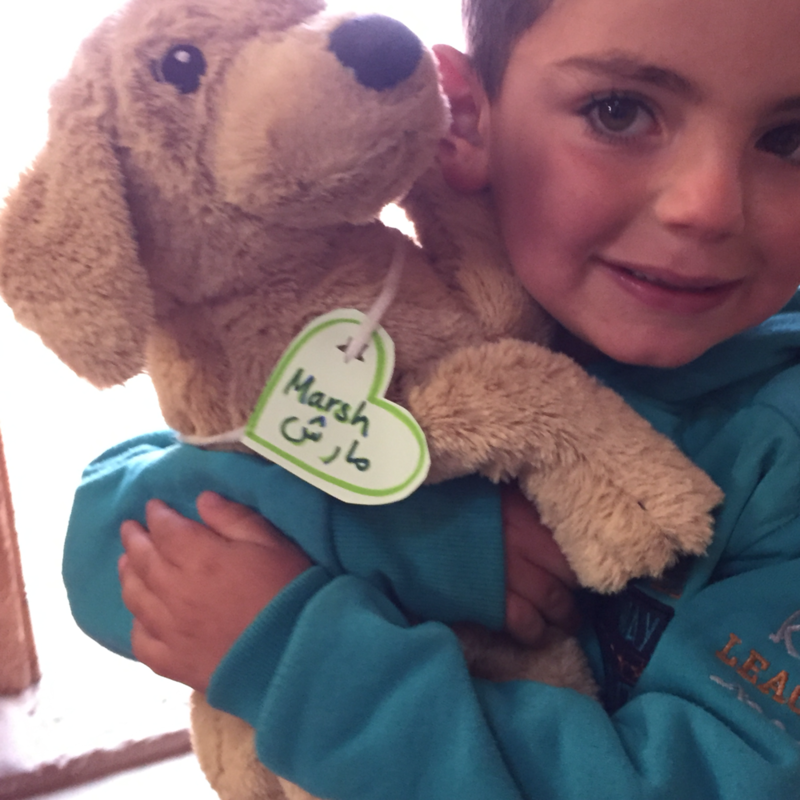 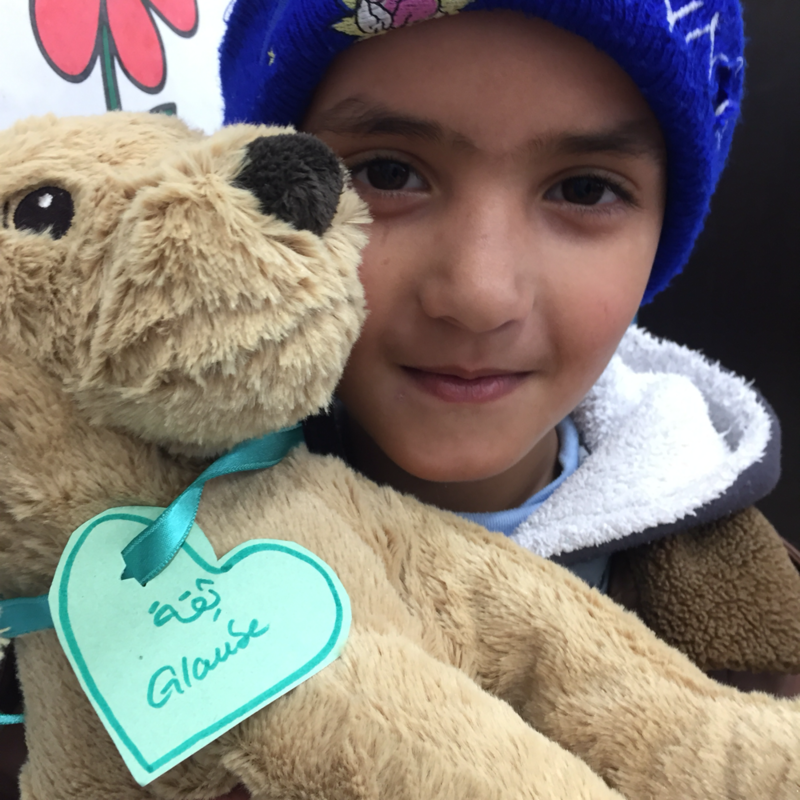 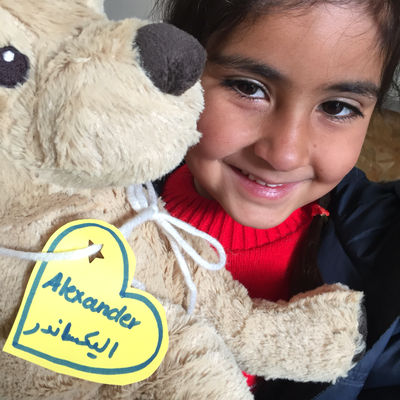 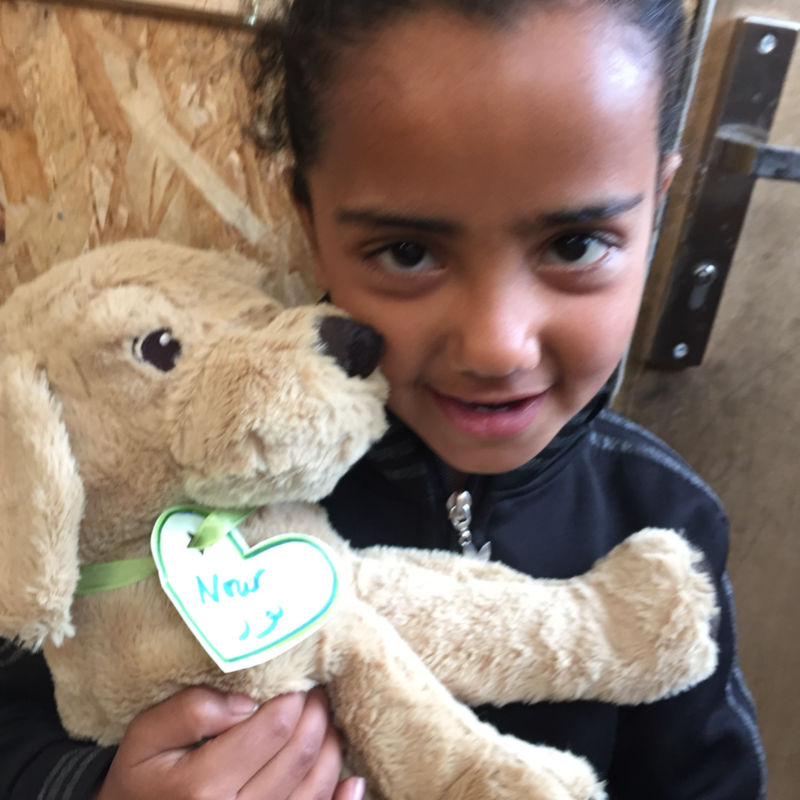 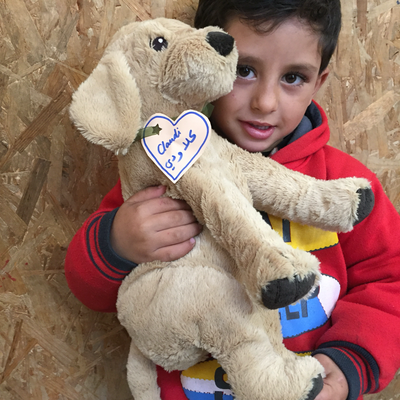 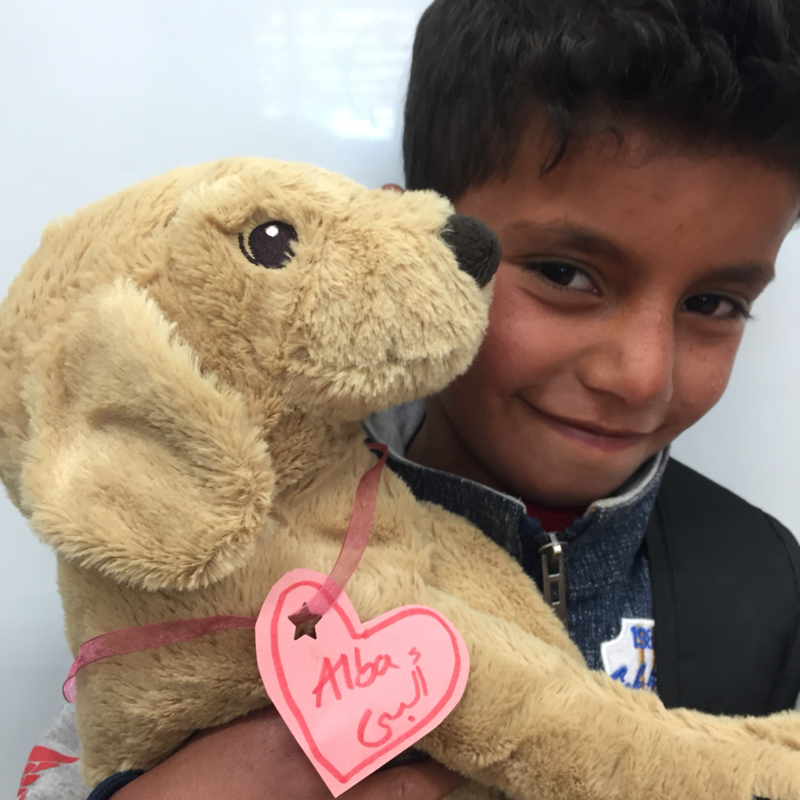 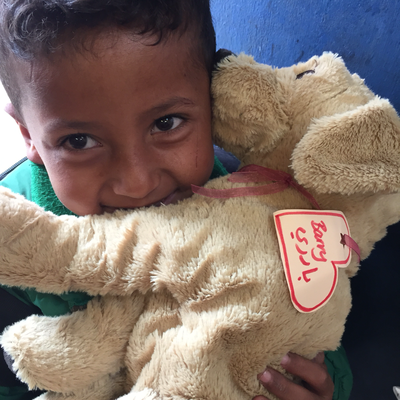 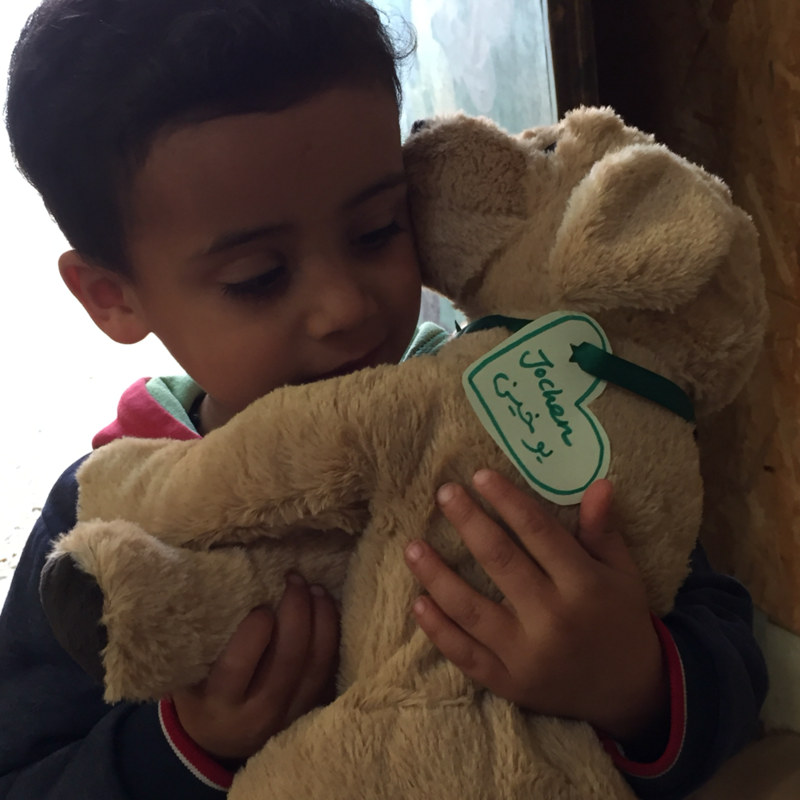 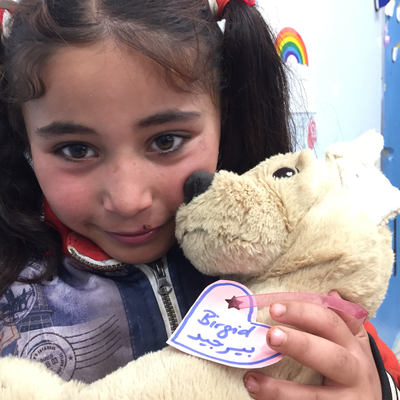 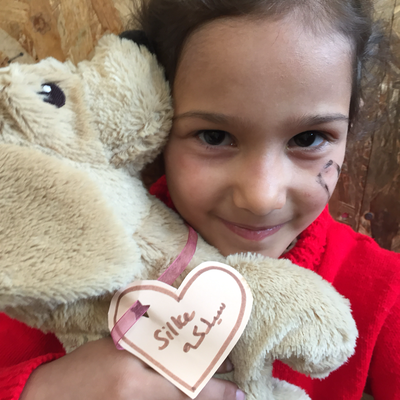 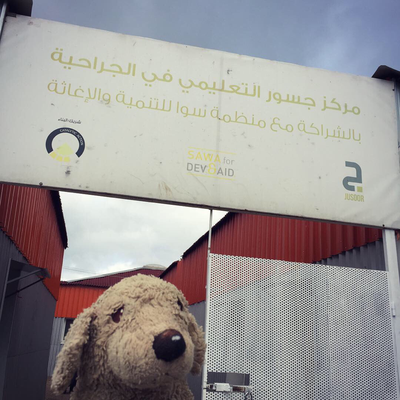 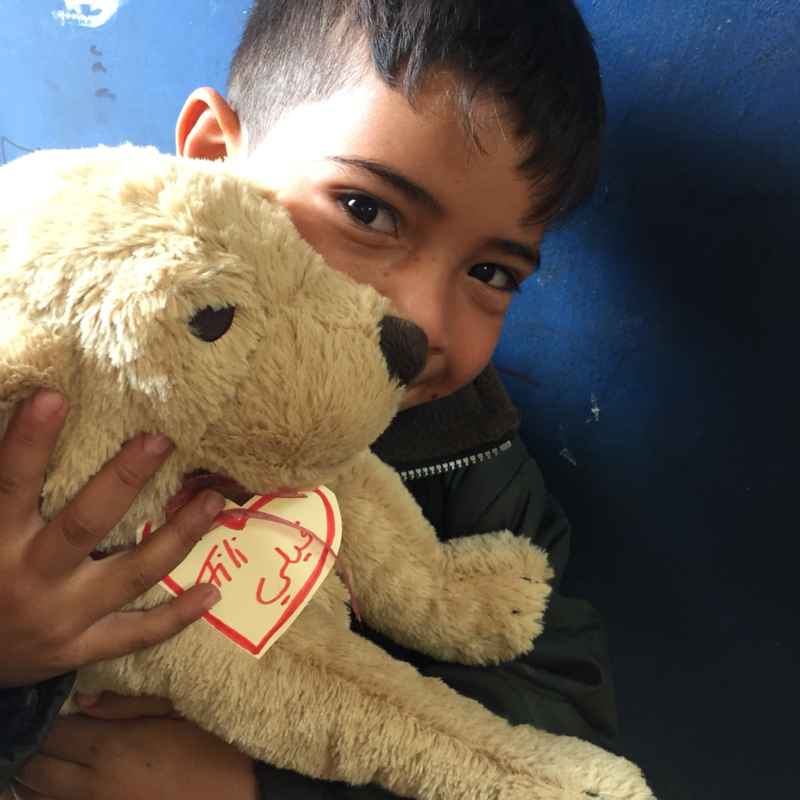 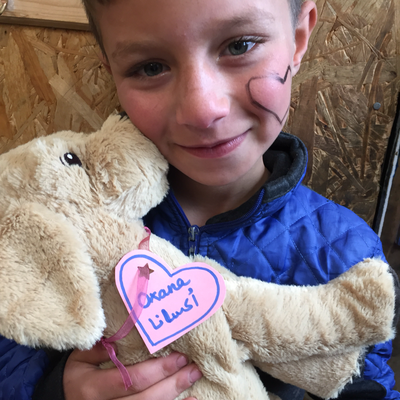 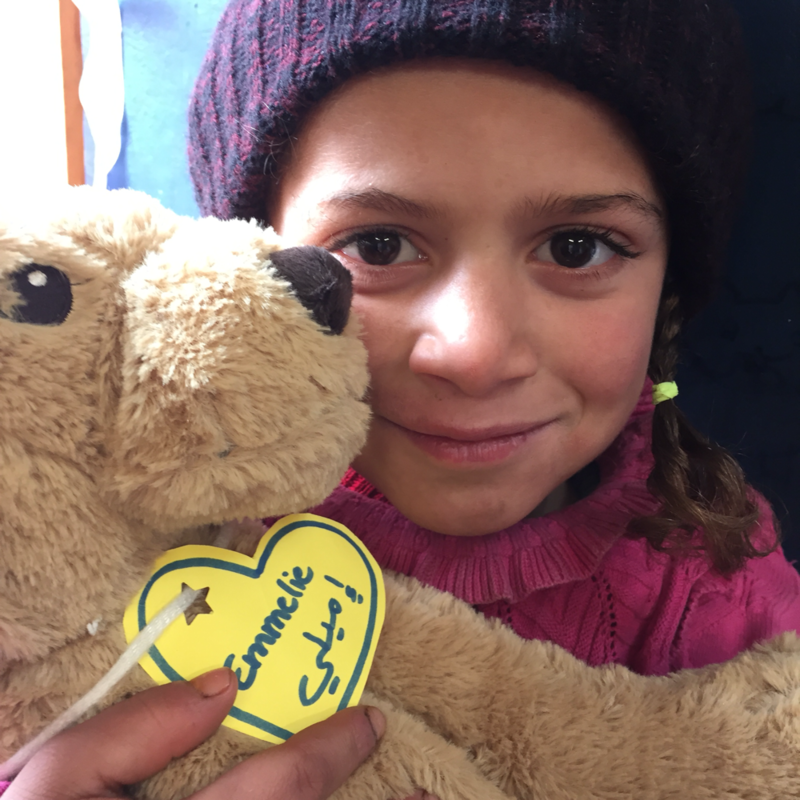 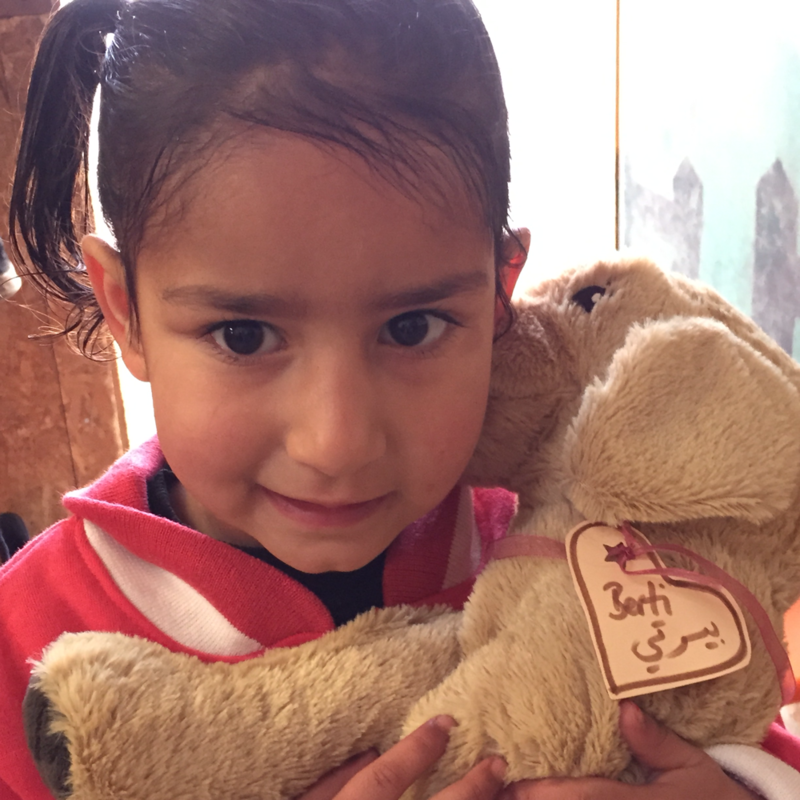 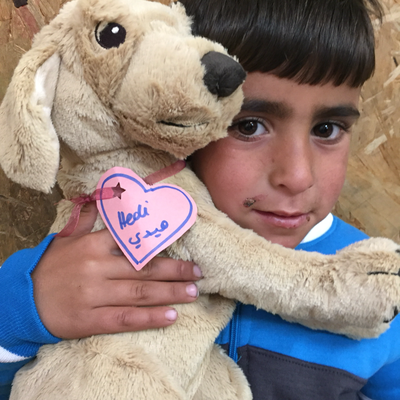 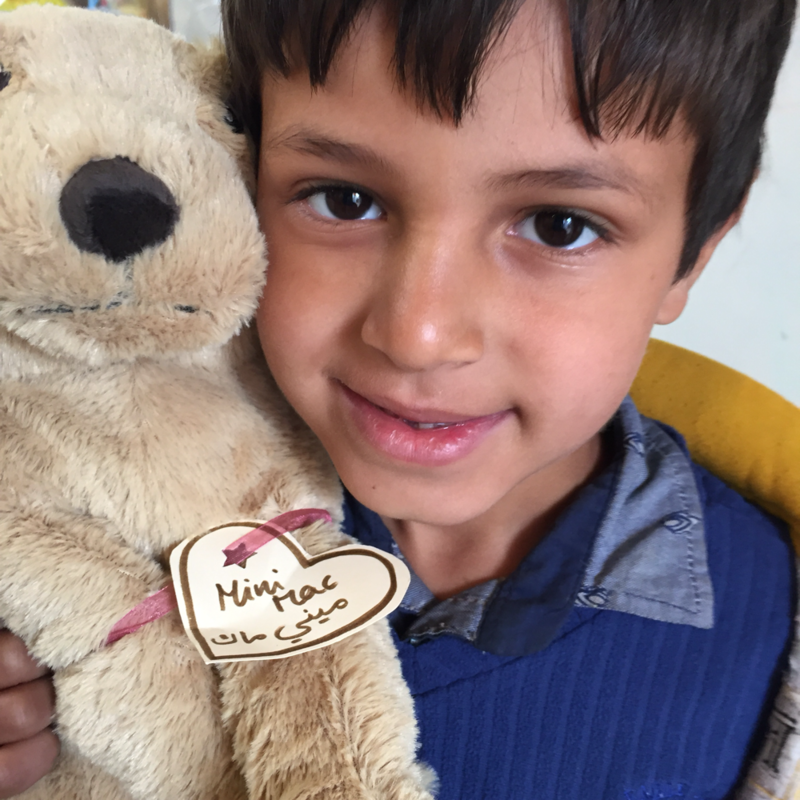 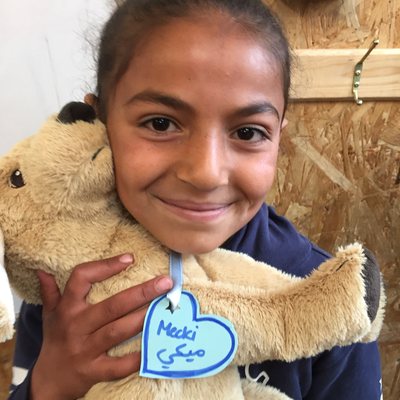 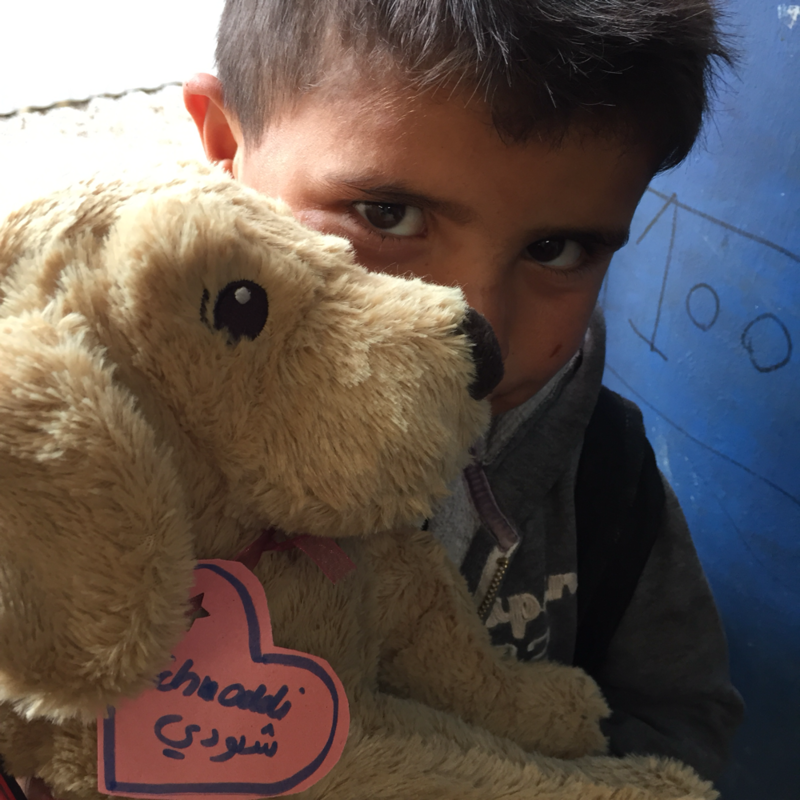 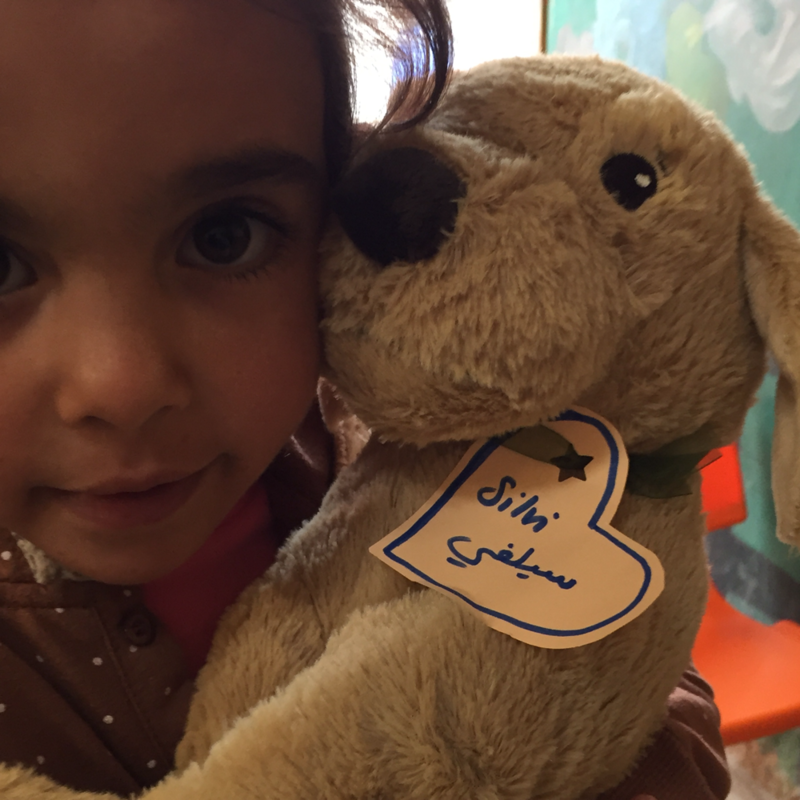 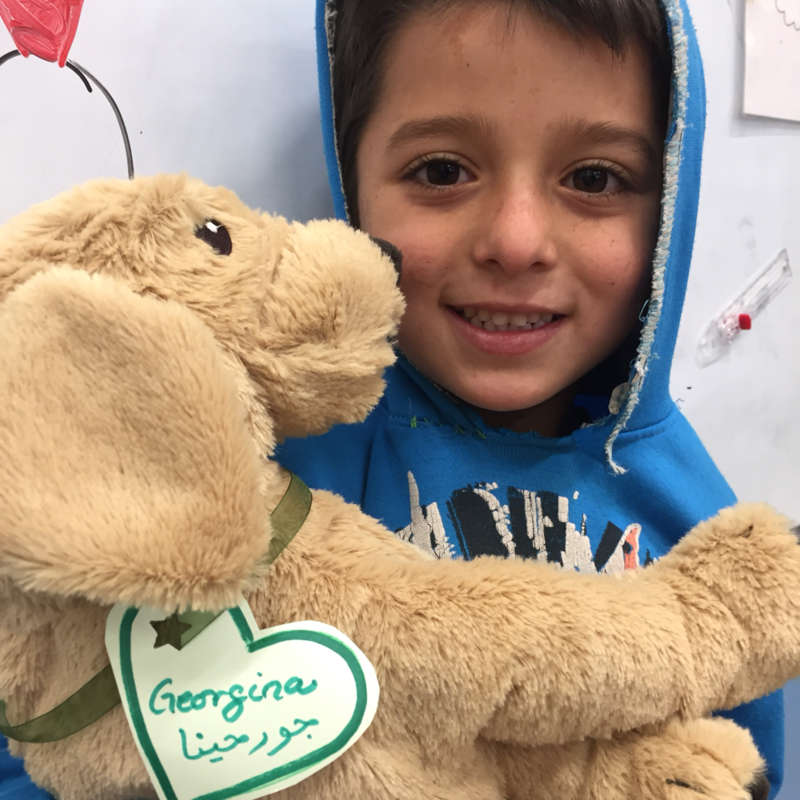 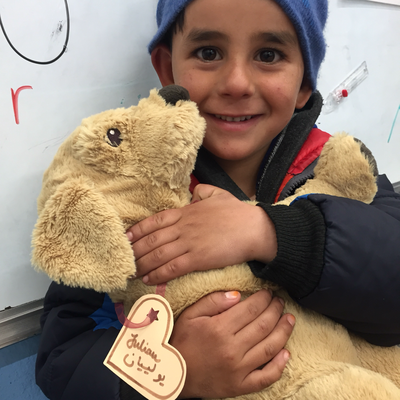 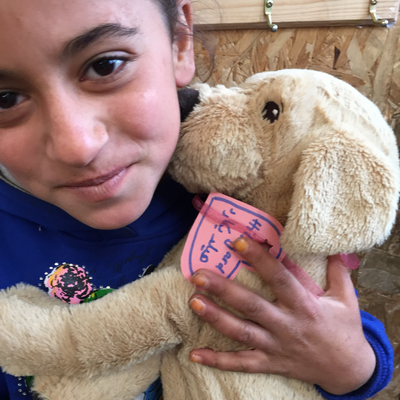 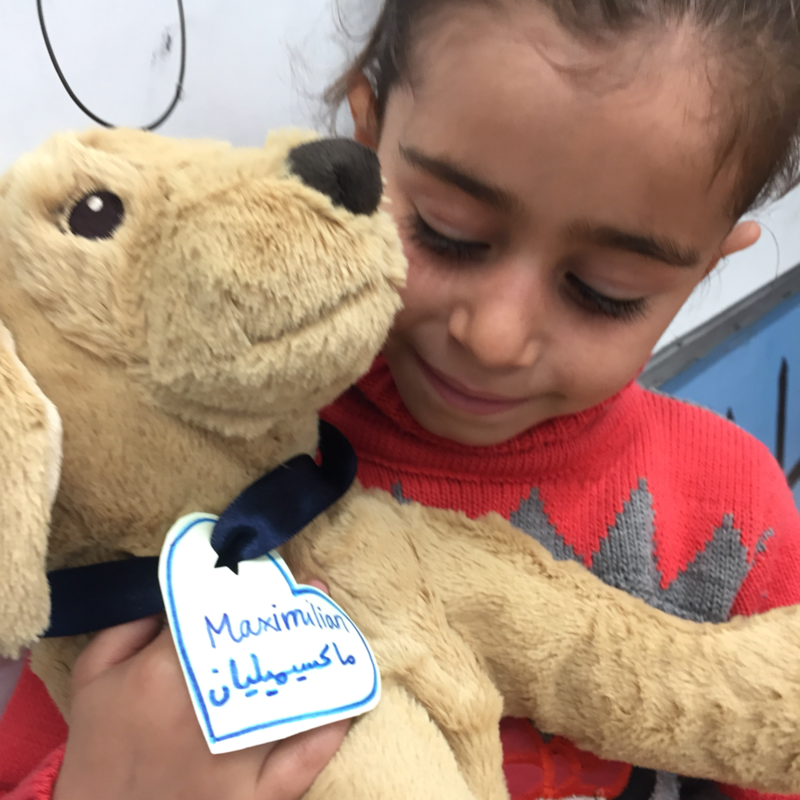 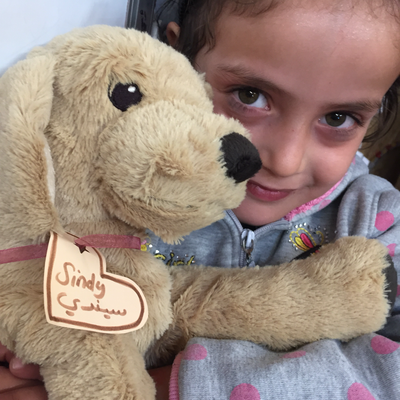 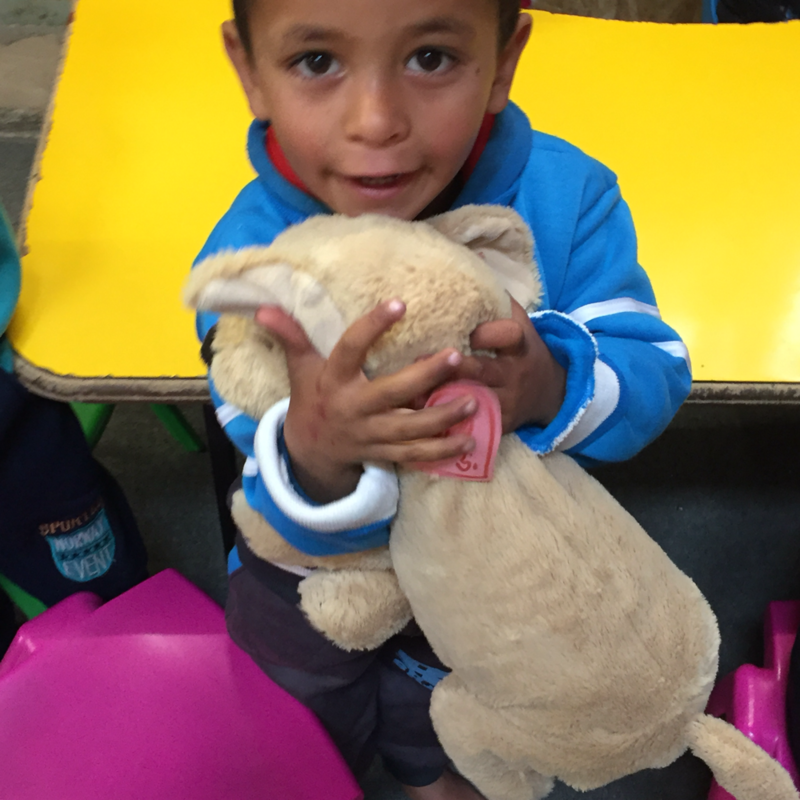 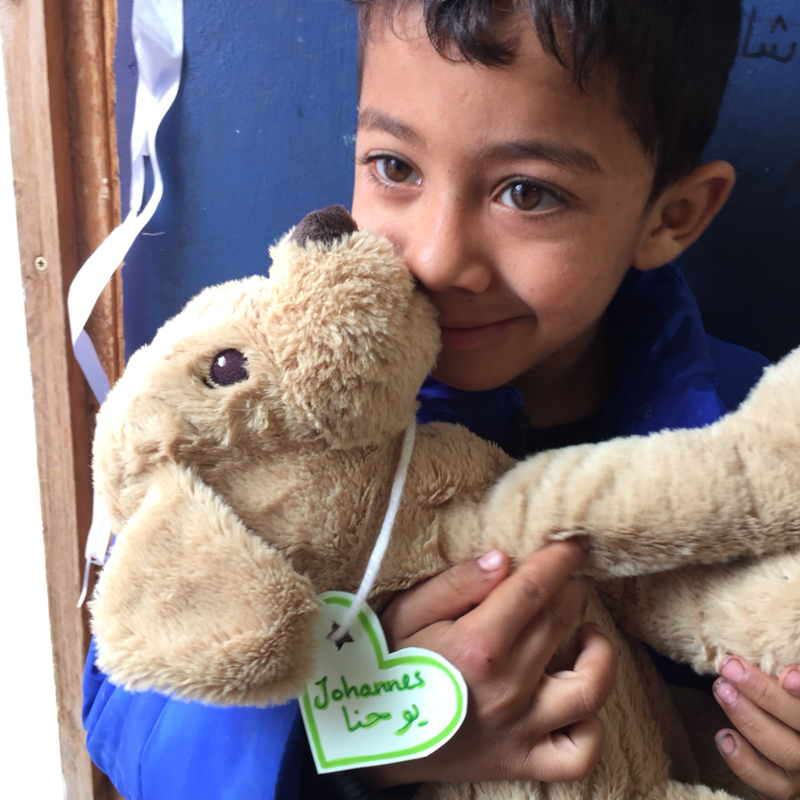 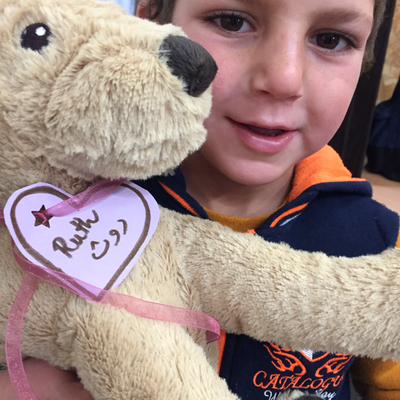 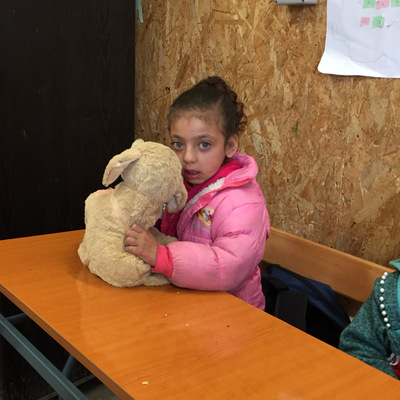 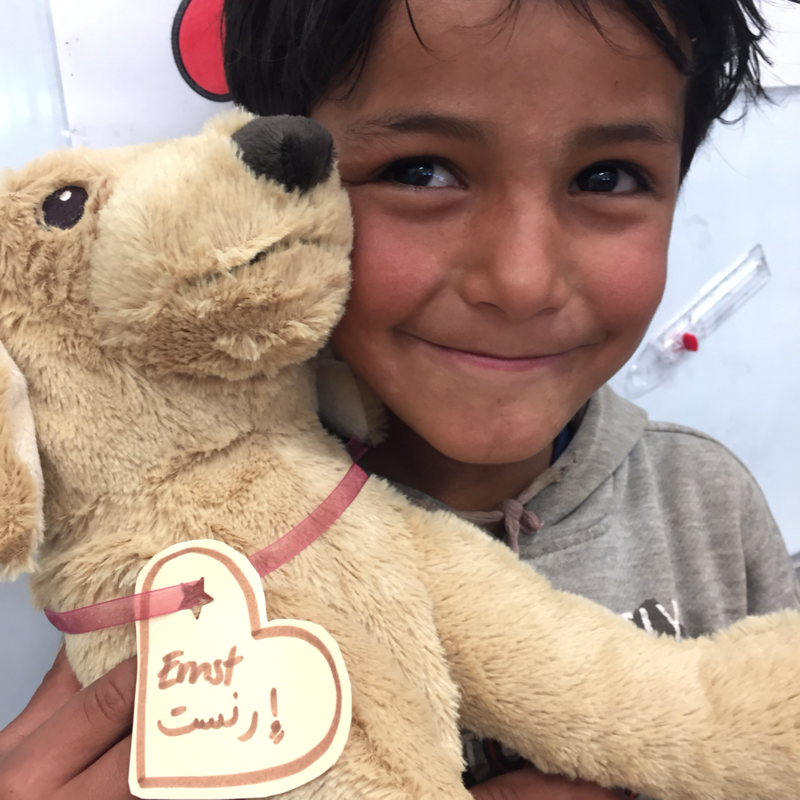 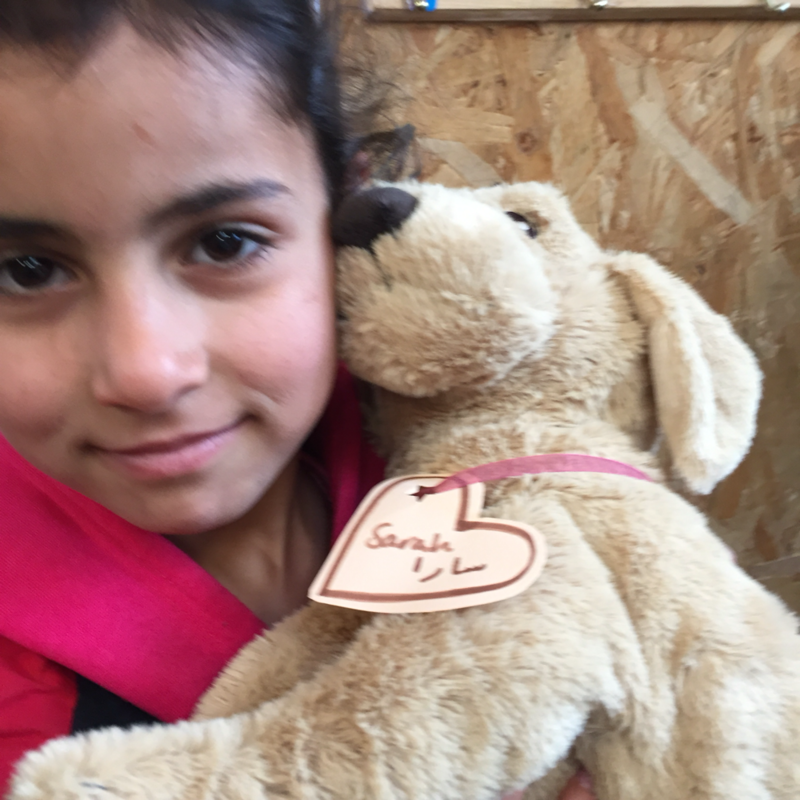 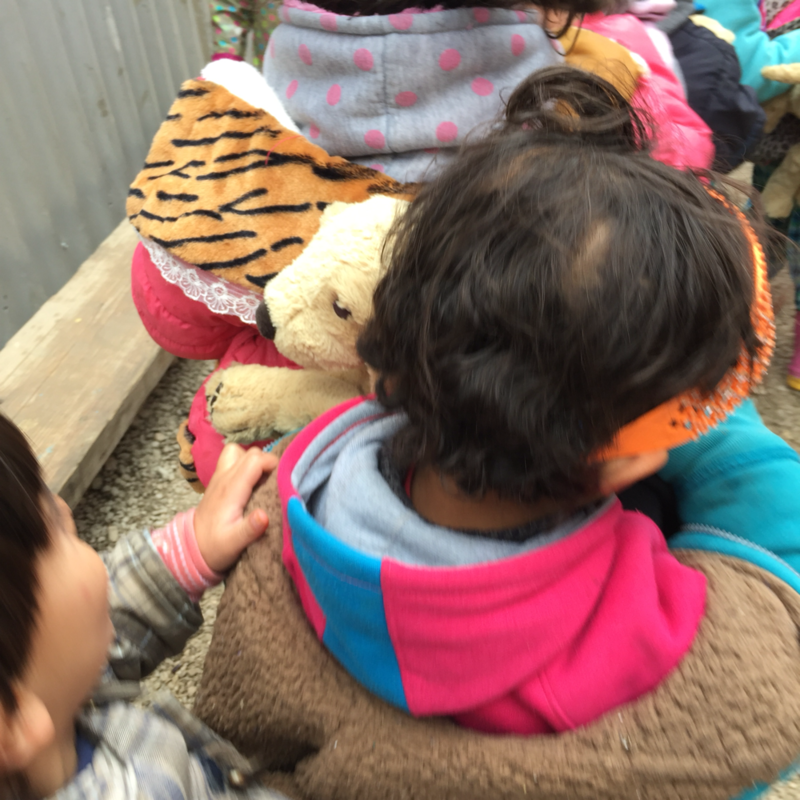 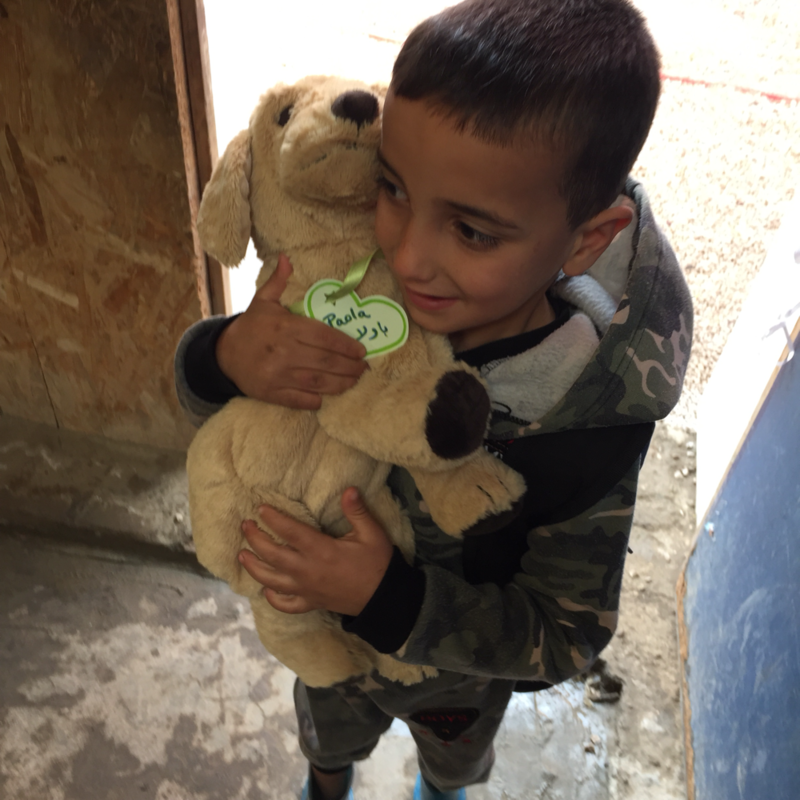 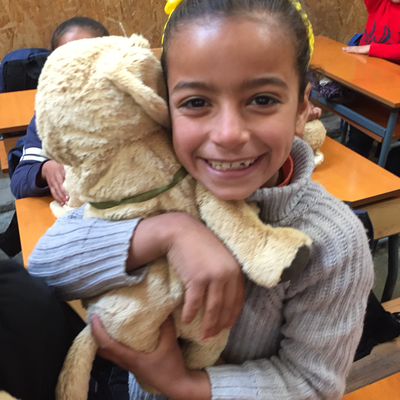 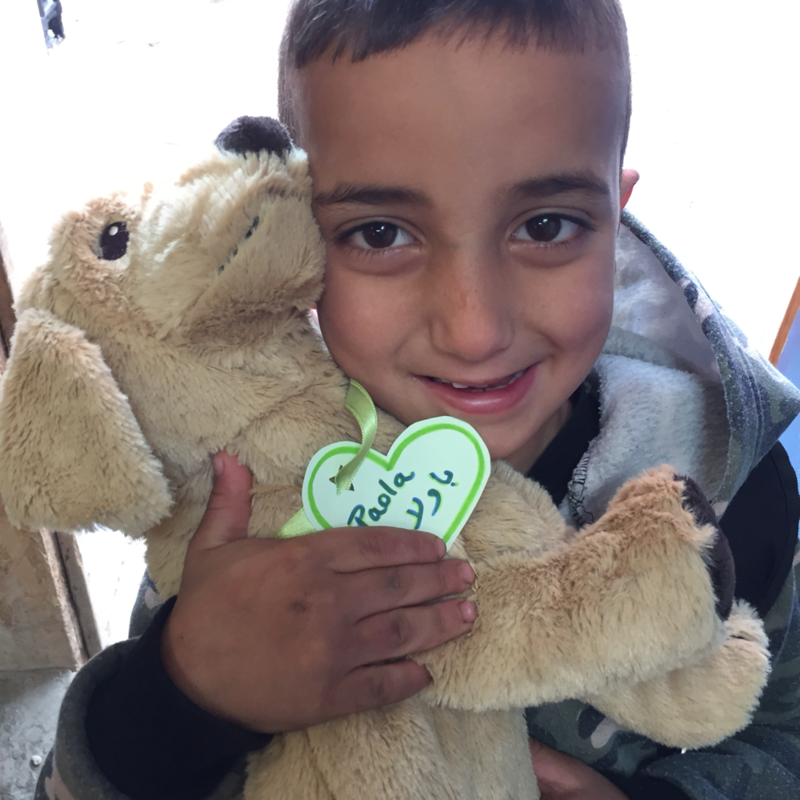 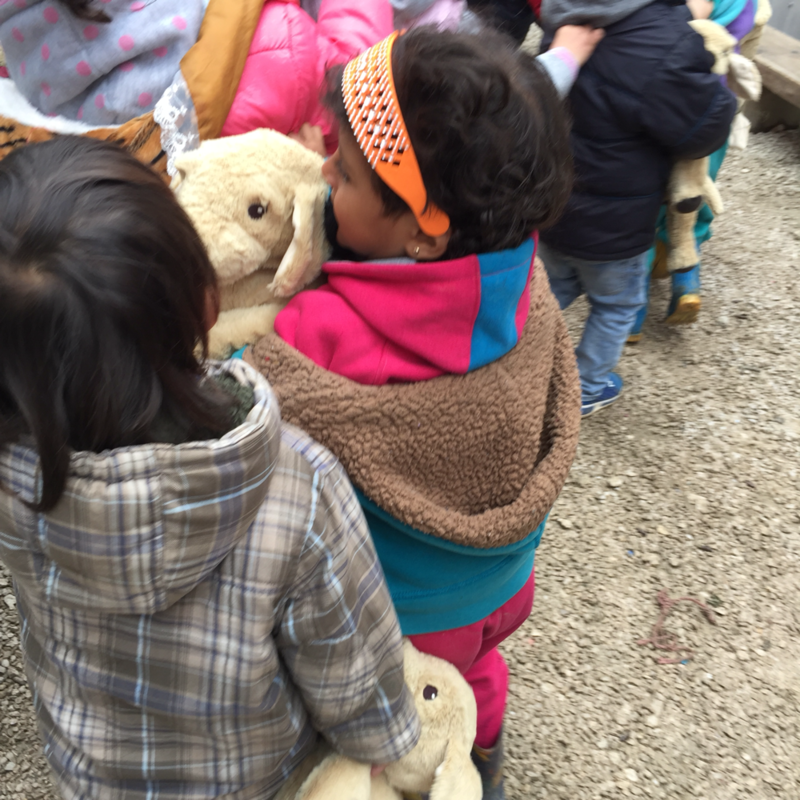 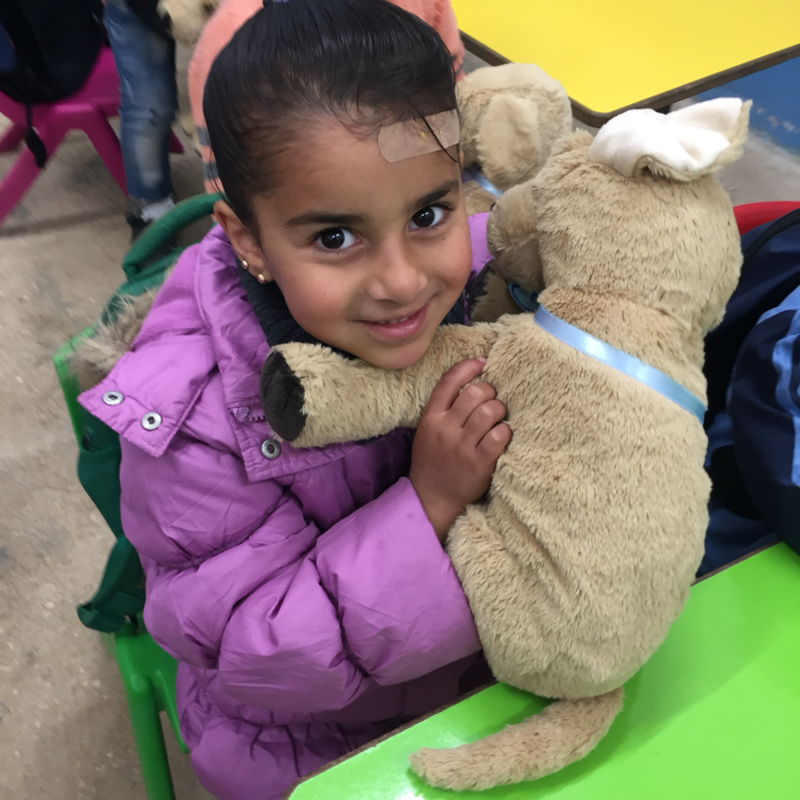 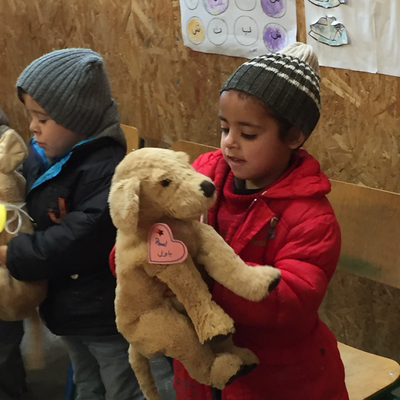 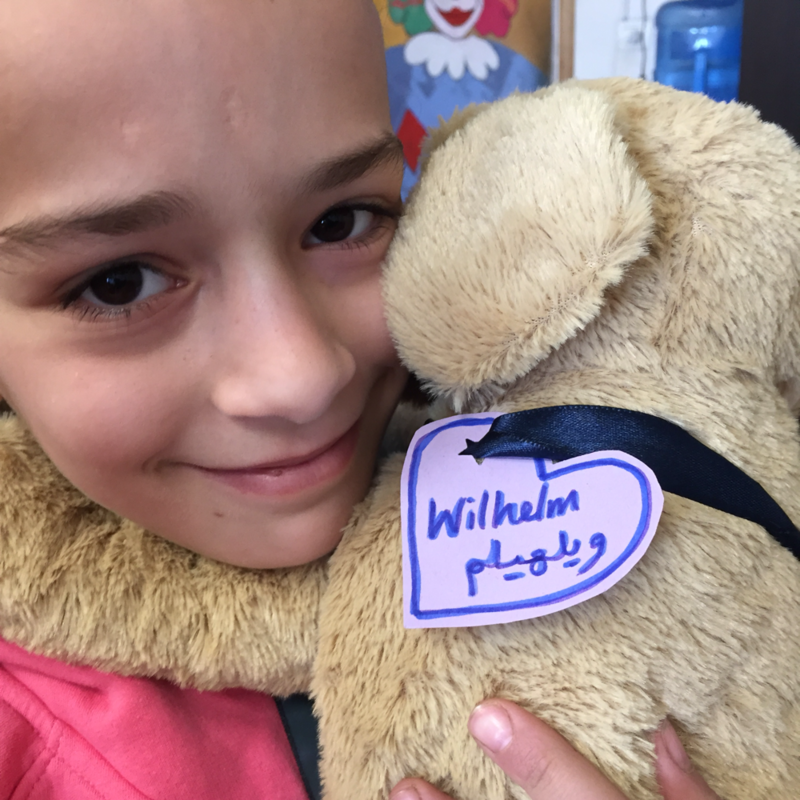 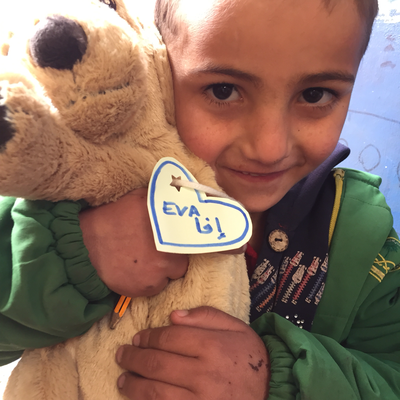 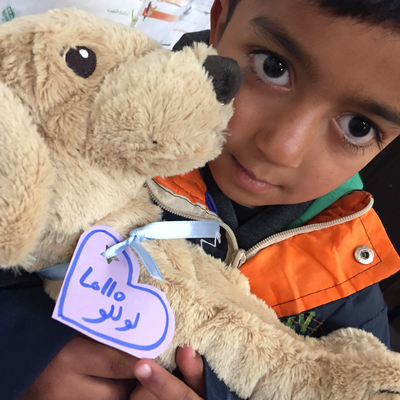 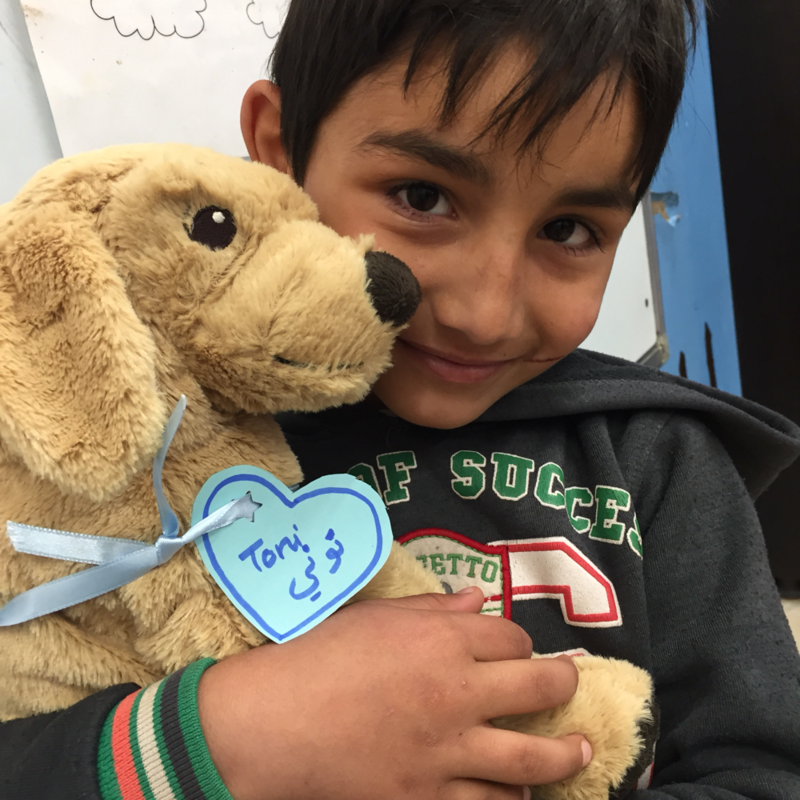 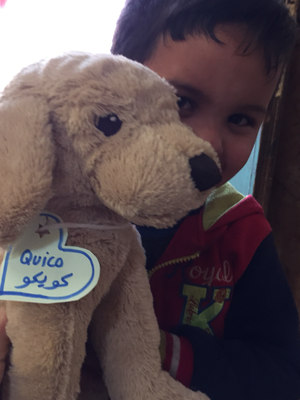 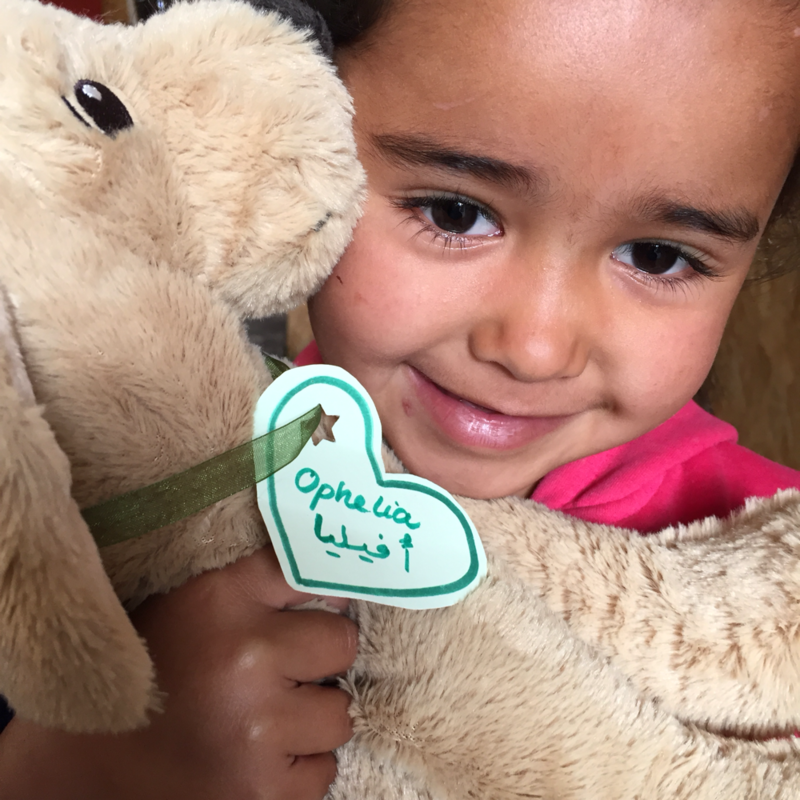 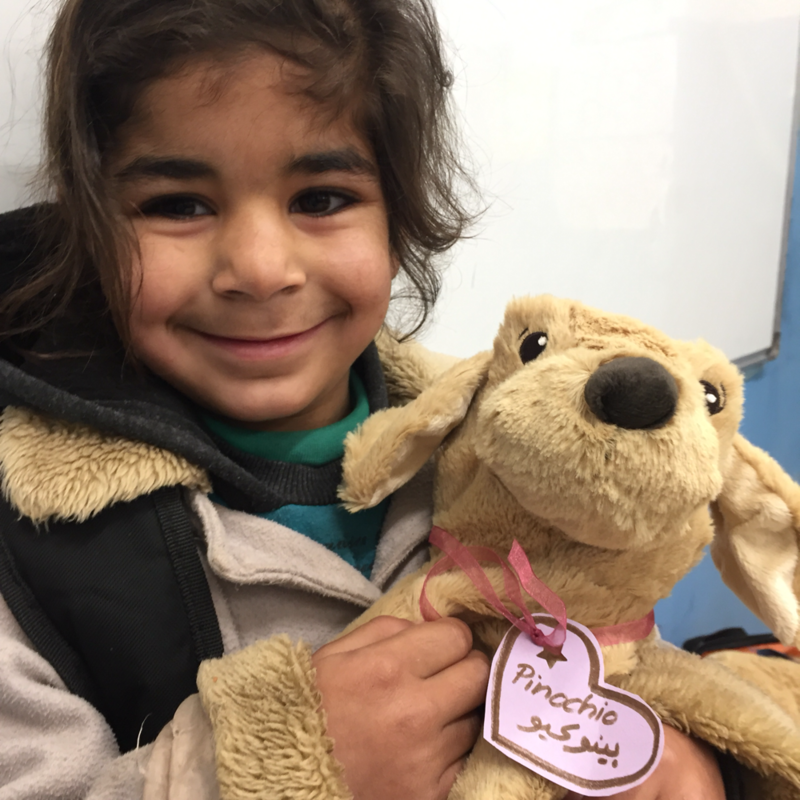 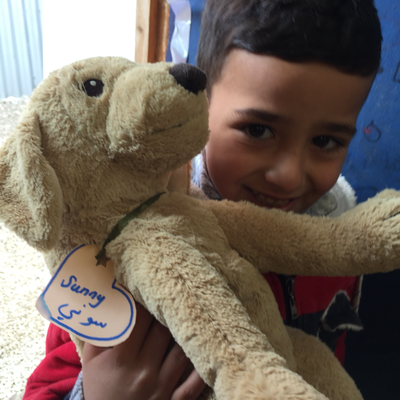 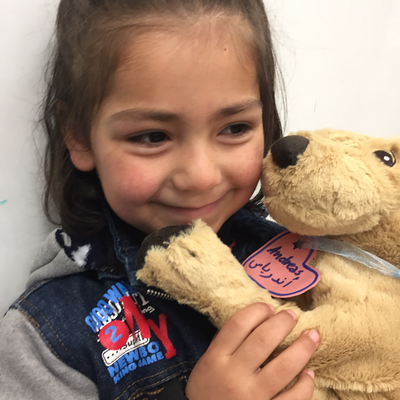 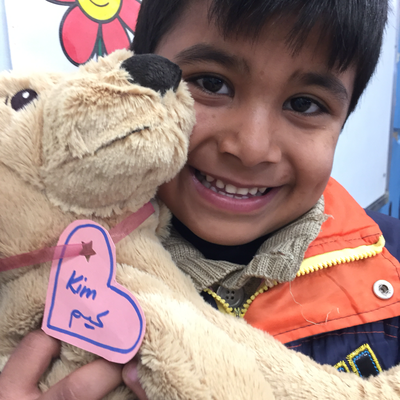 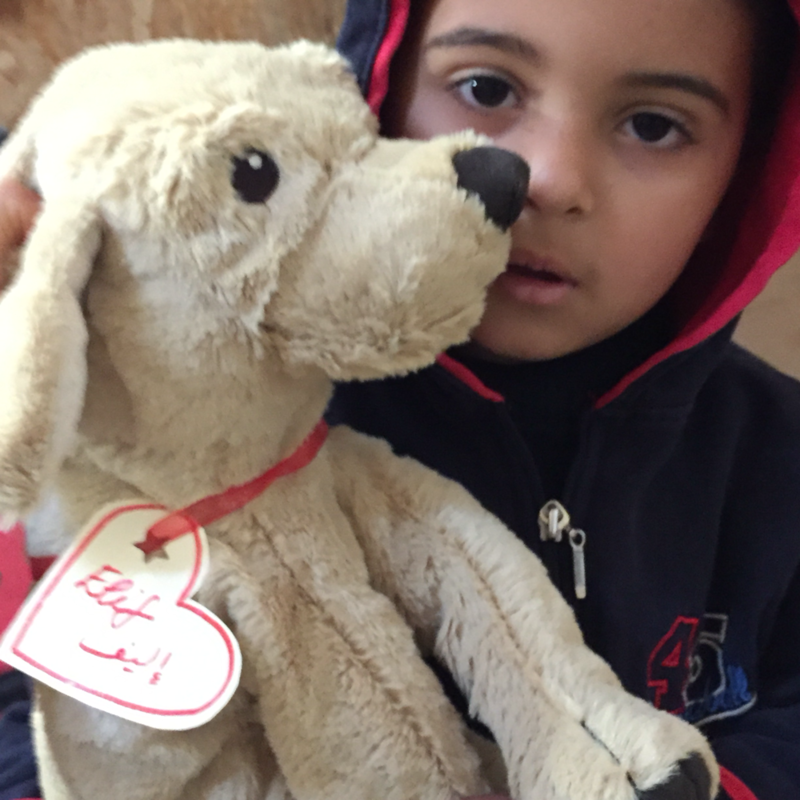 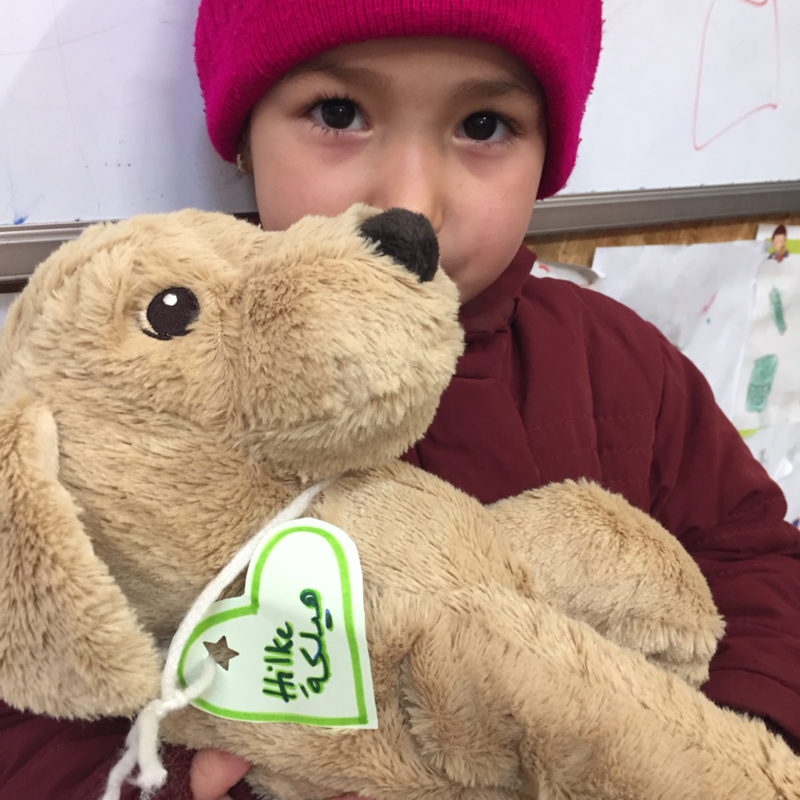 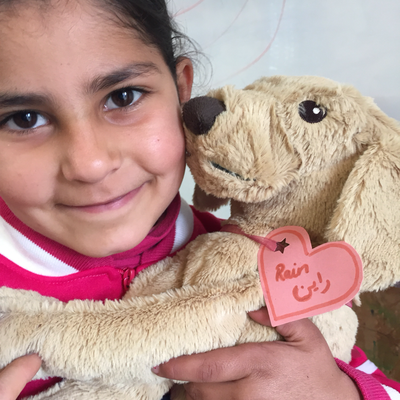 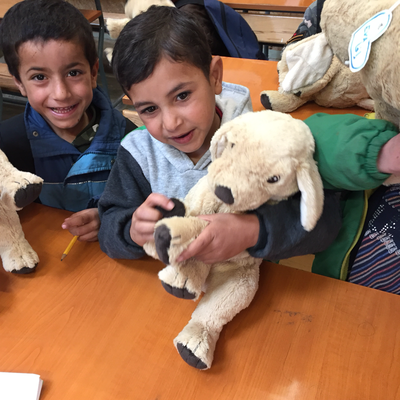 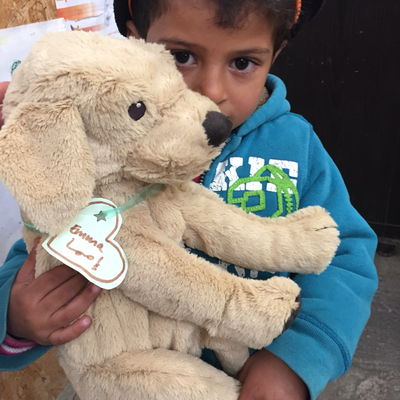 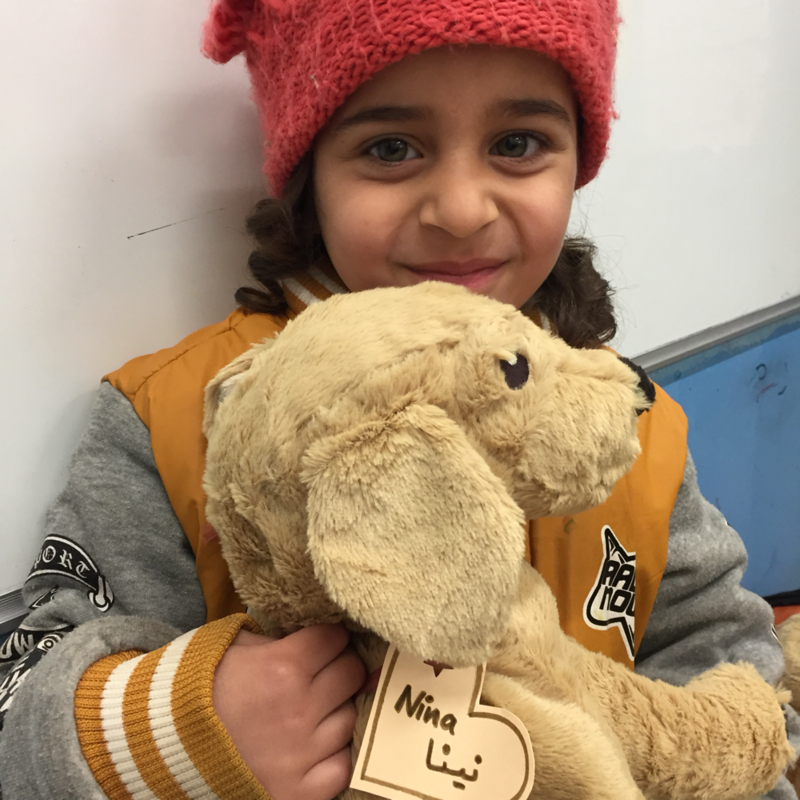 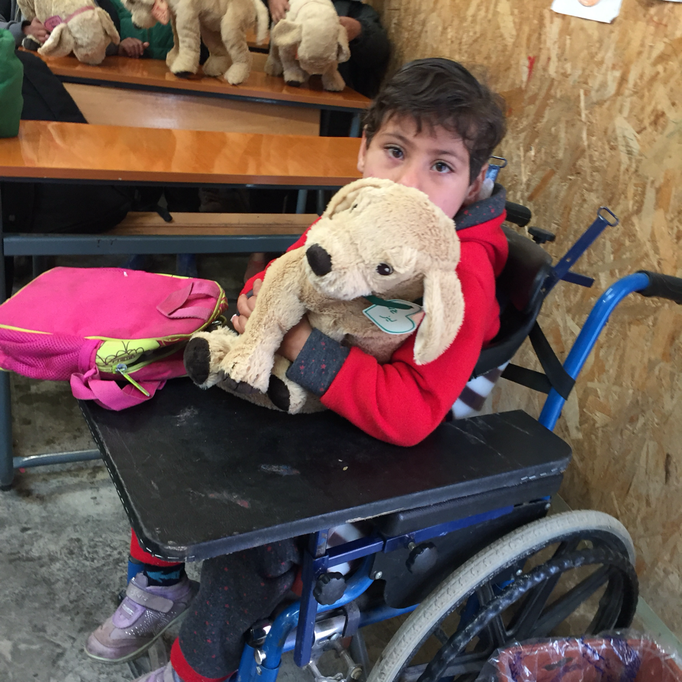 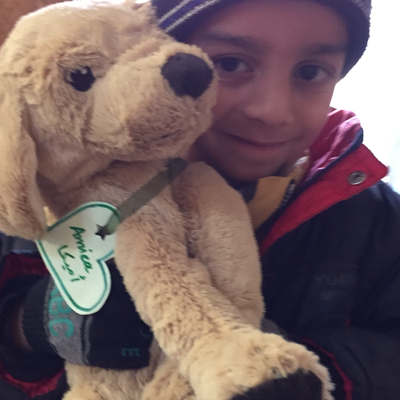 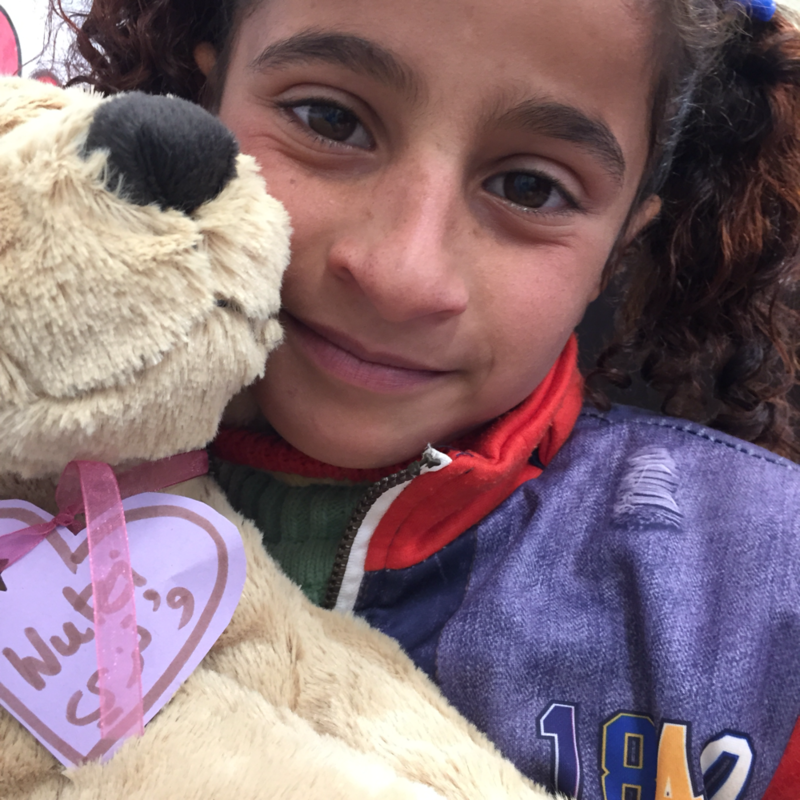 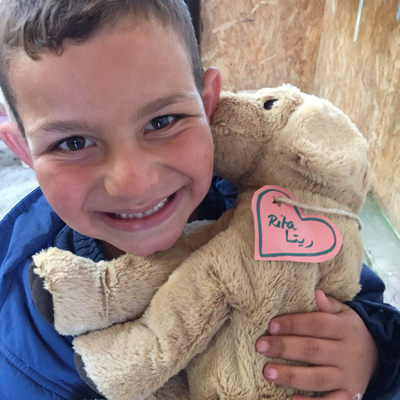 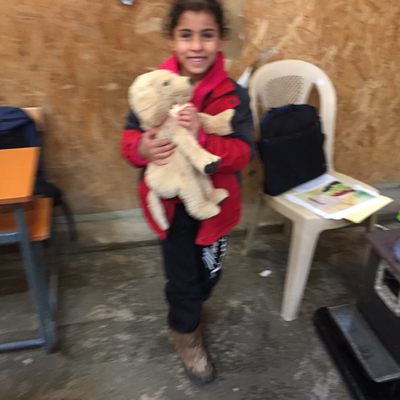 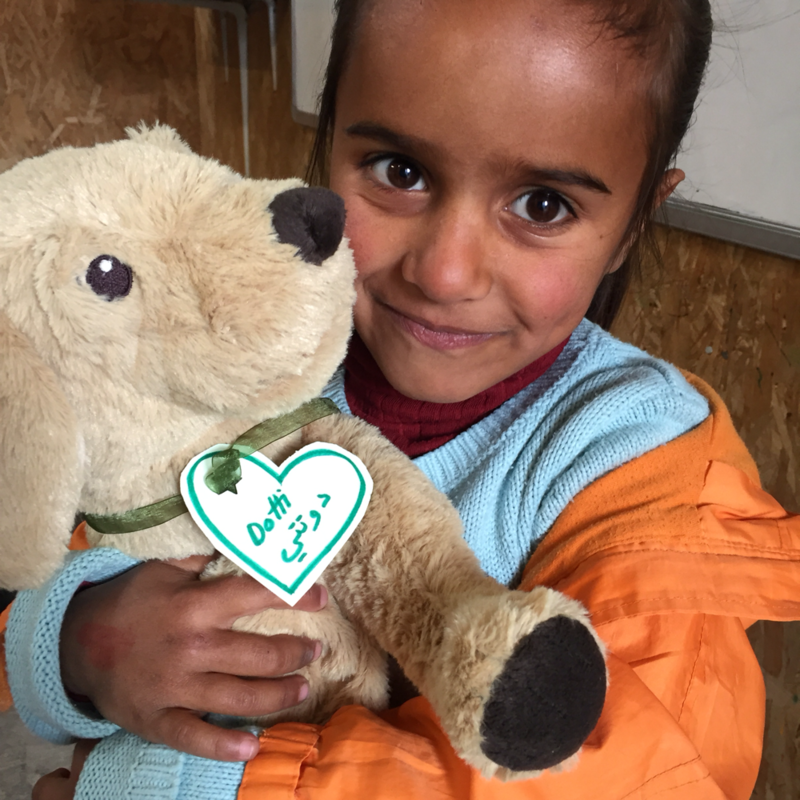 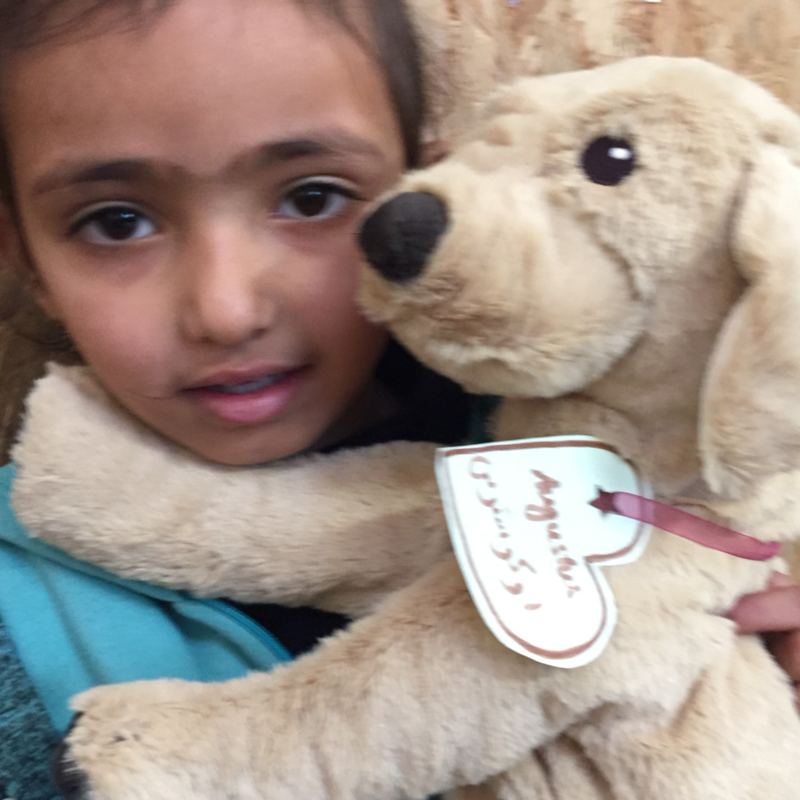 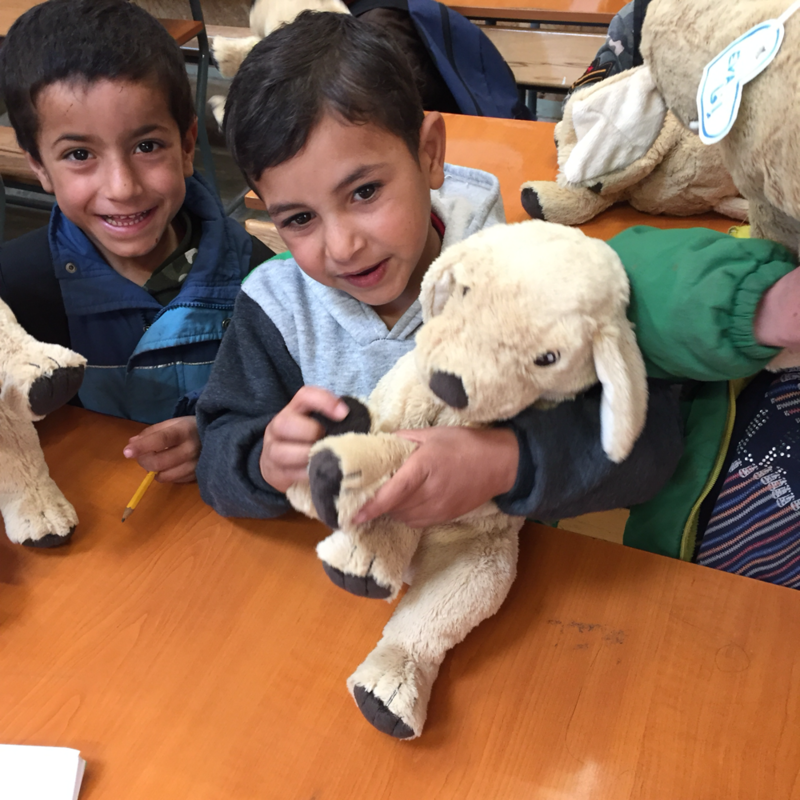 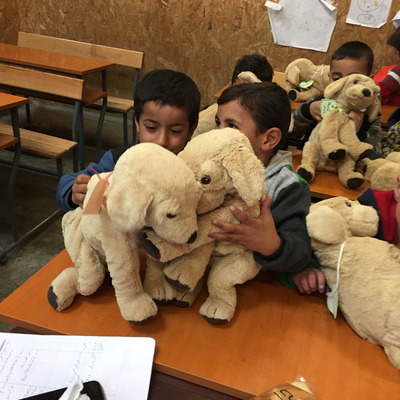 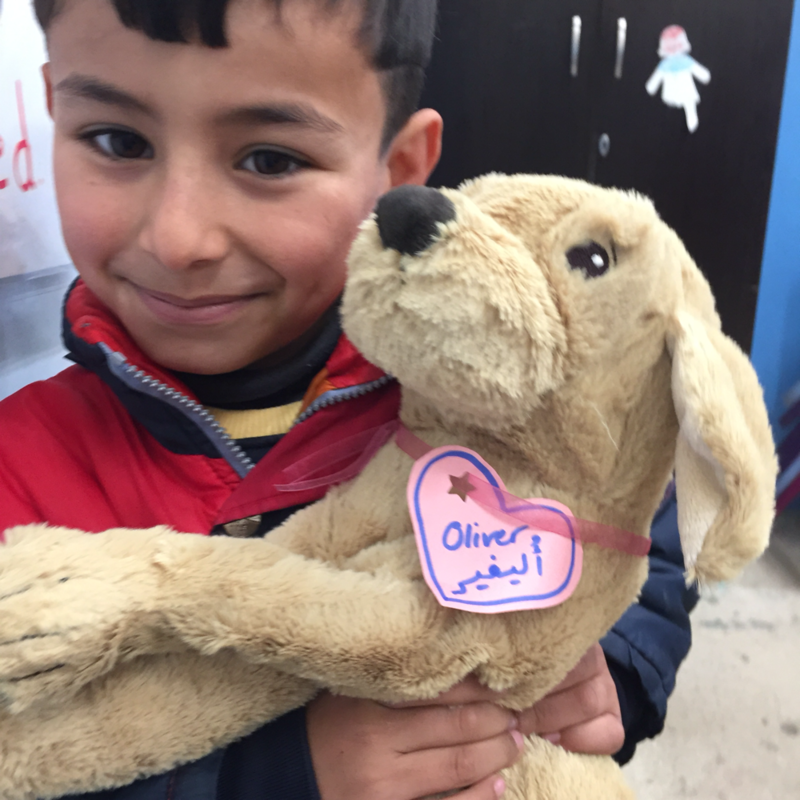 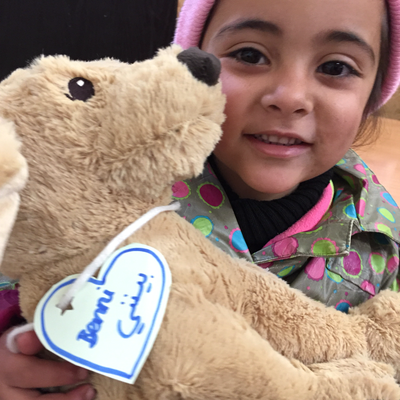 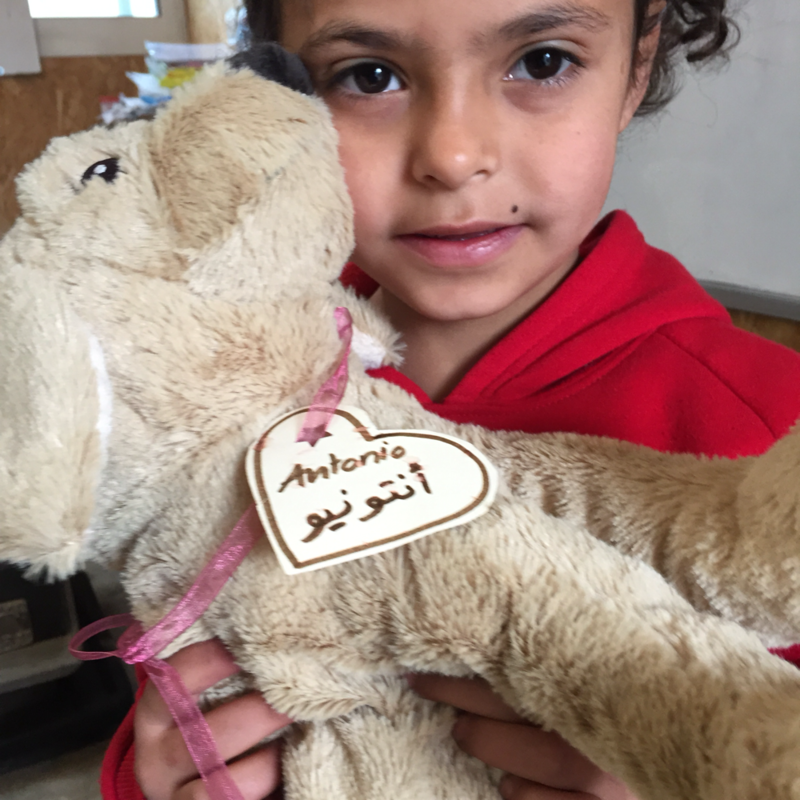 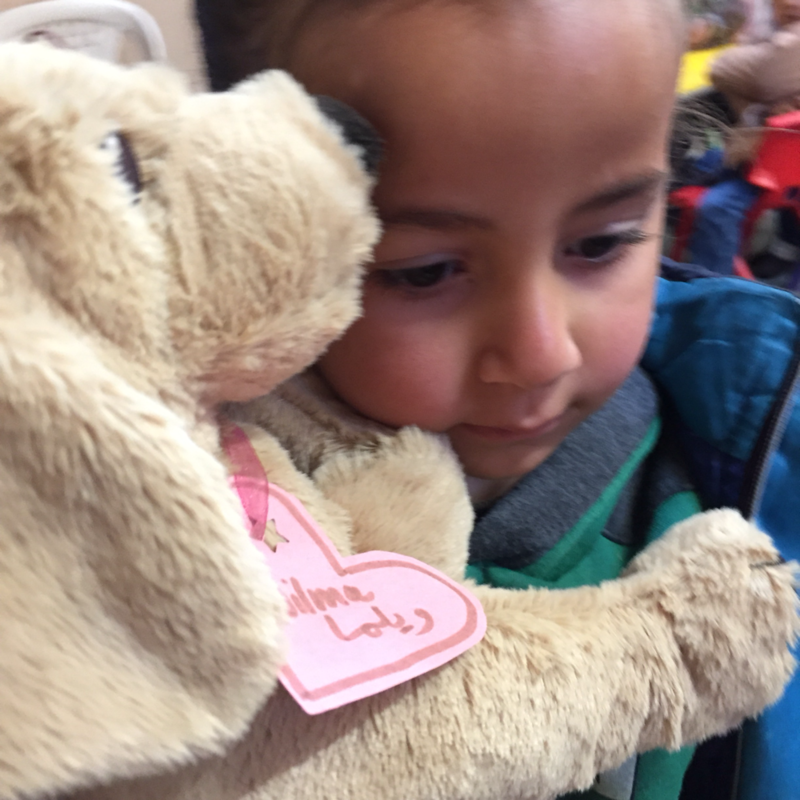 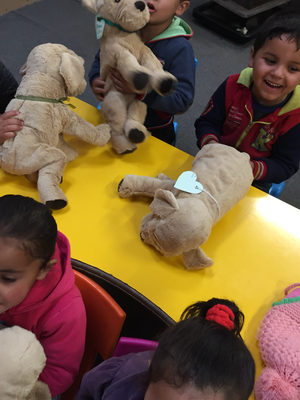 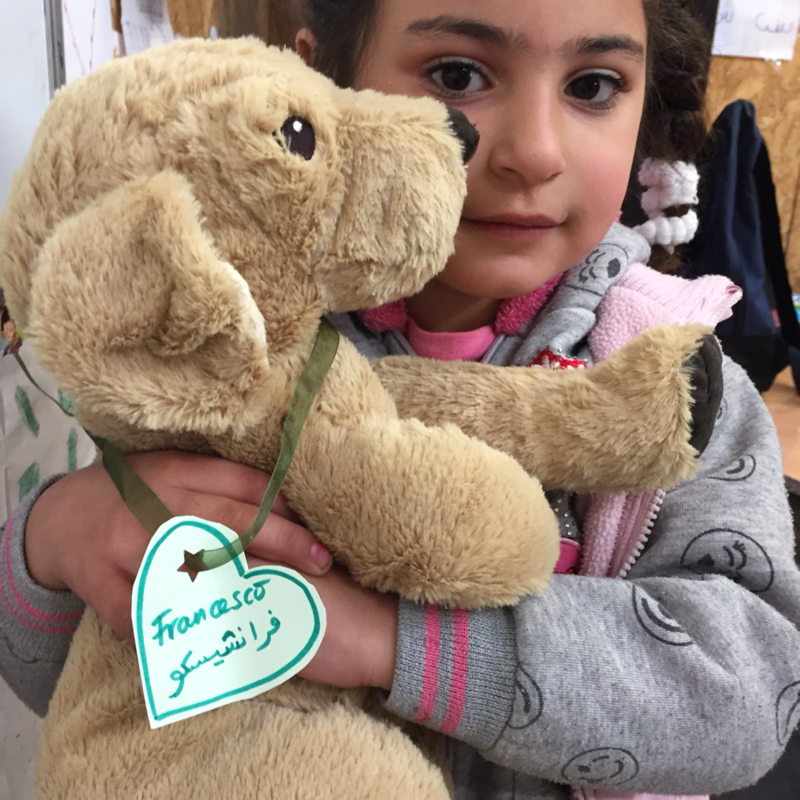 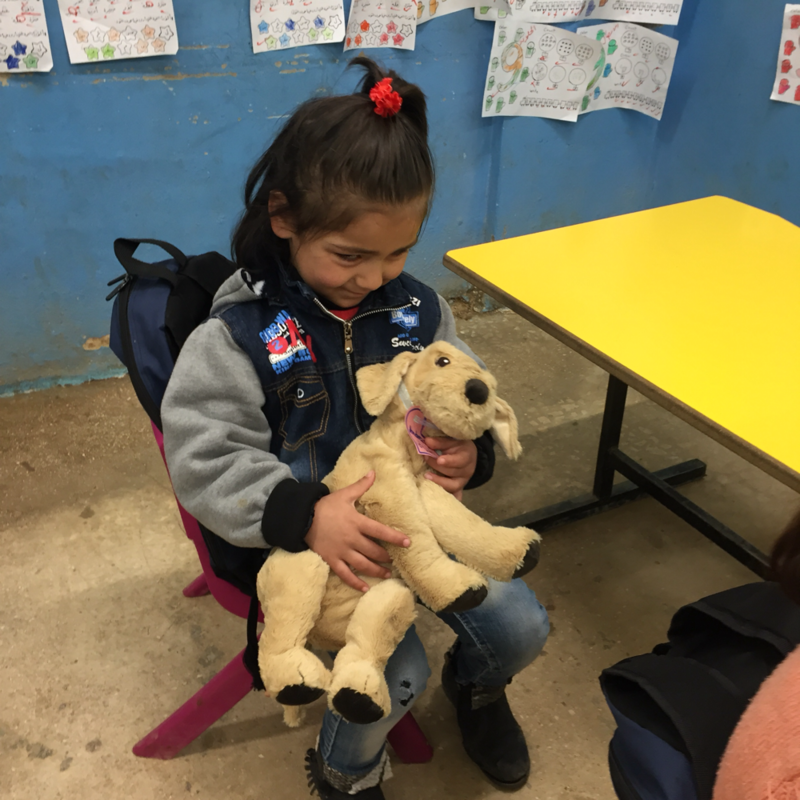 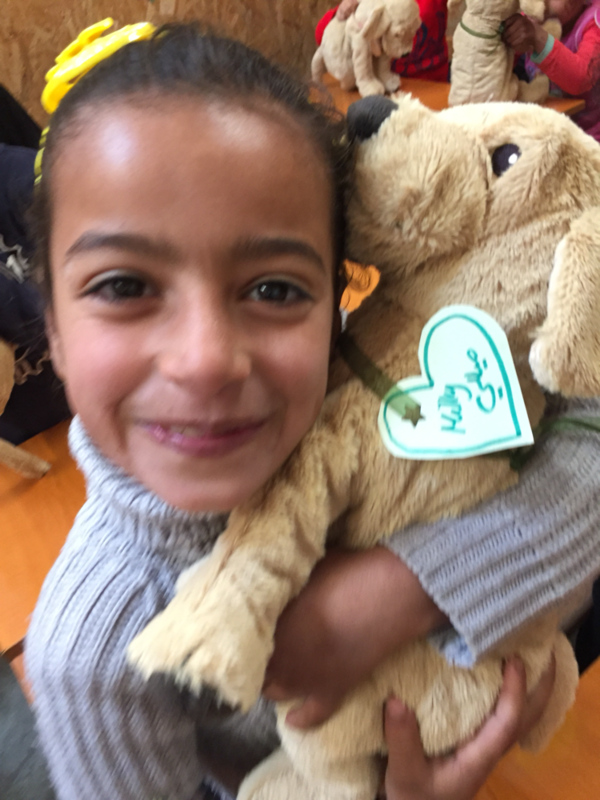 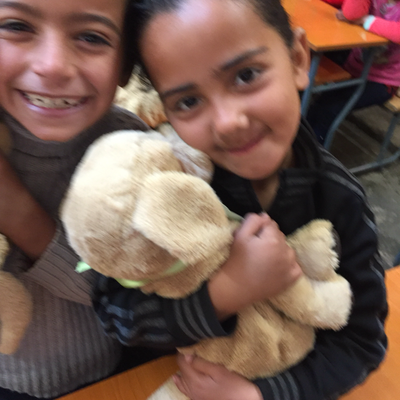 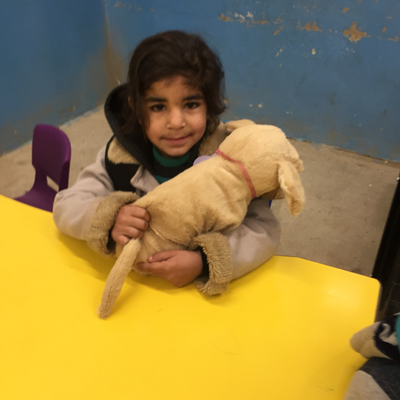 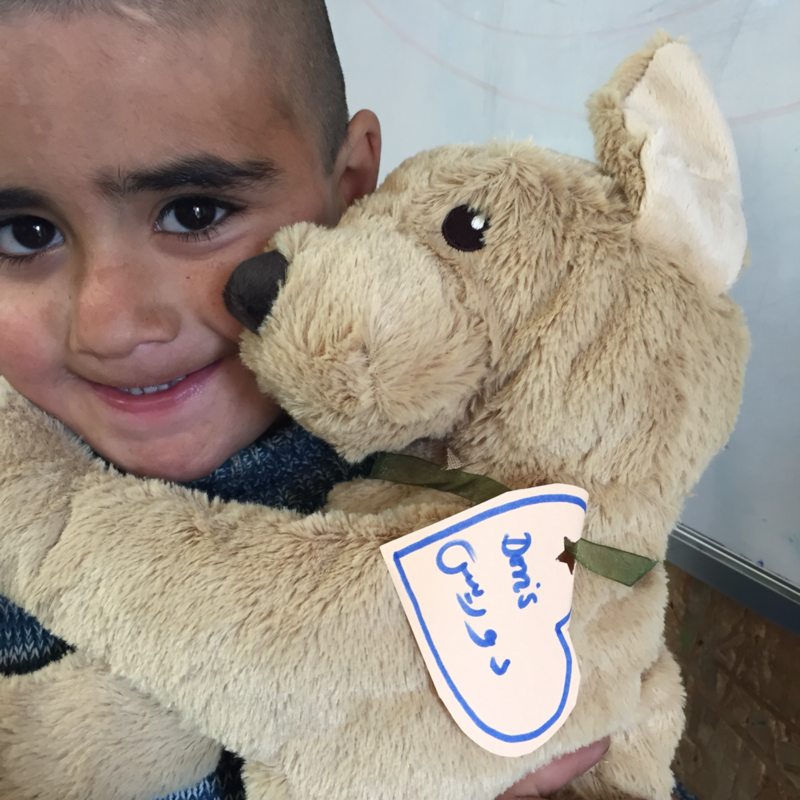 We went to two schools run by Jusoor NGO (NGO = Non governmental organisation) in the BEKAA (South of Lebanon) and distributed the donated fluffy friends to Syrian refugee children. 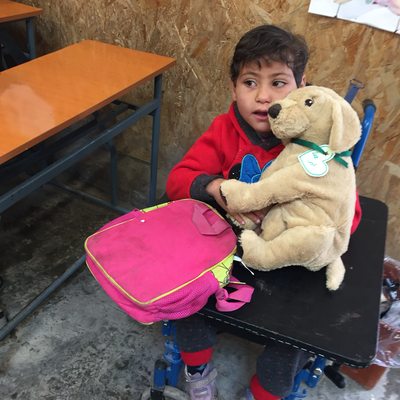 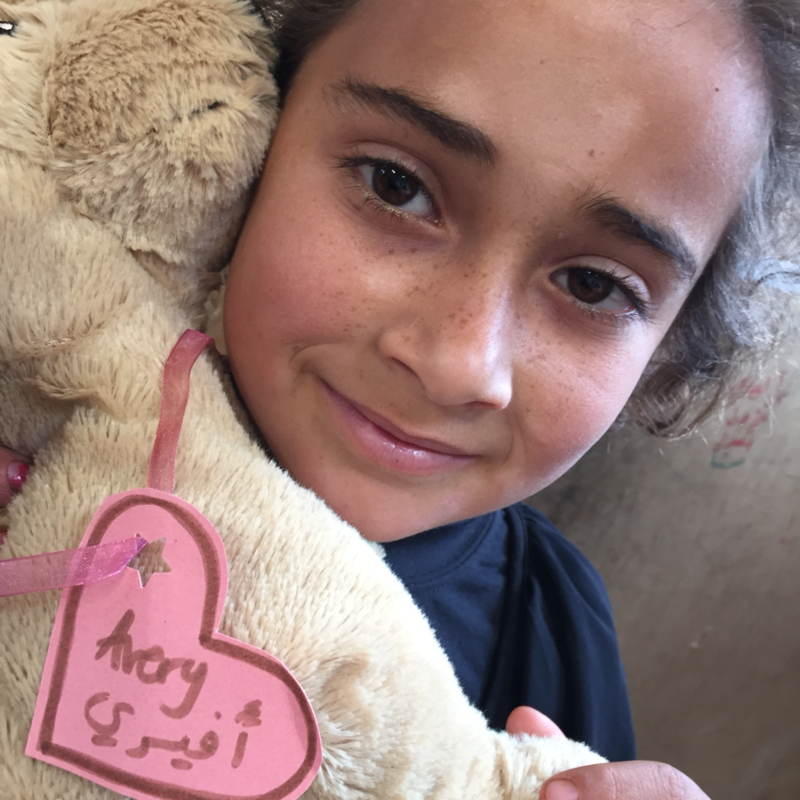 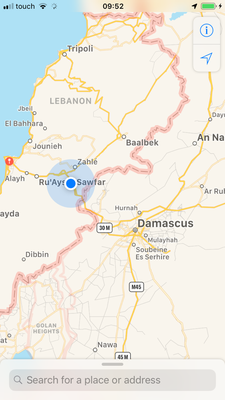 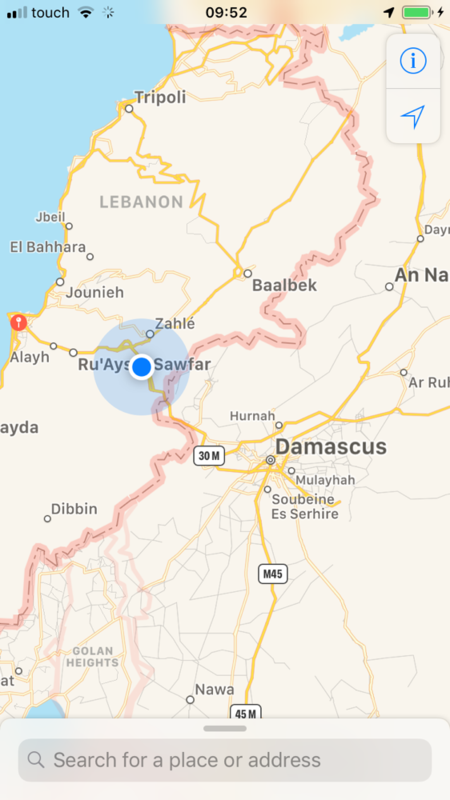 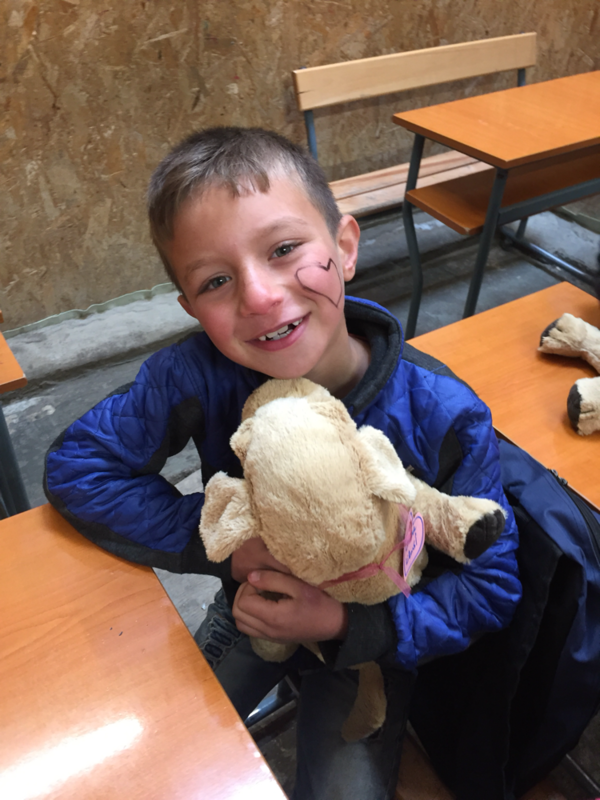 Both schools are located in the Bekaa (South of Lebanon) and reach out to Syrian refugee children providing them with school education as well as recreational programmes.